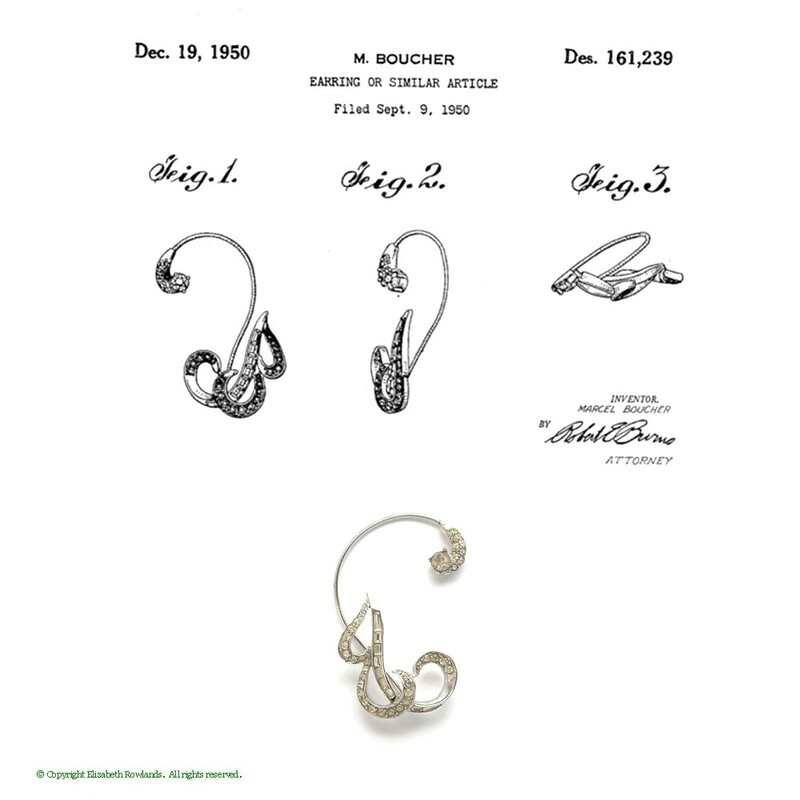 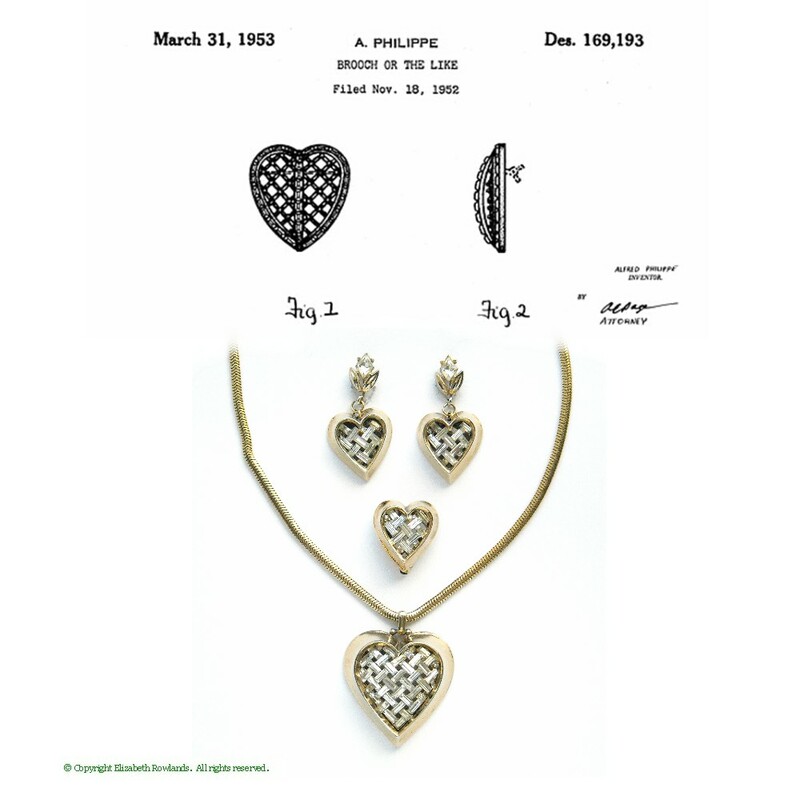 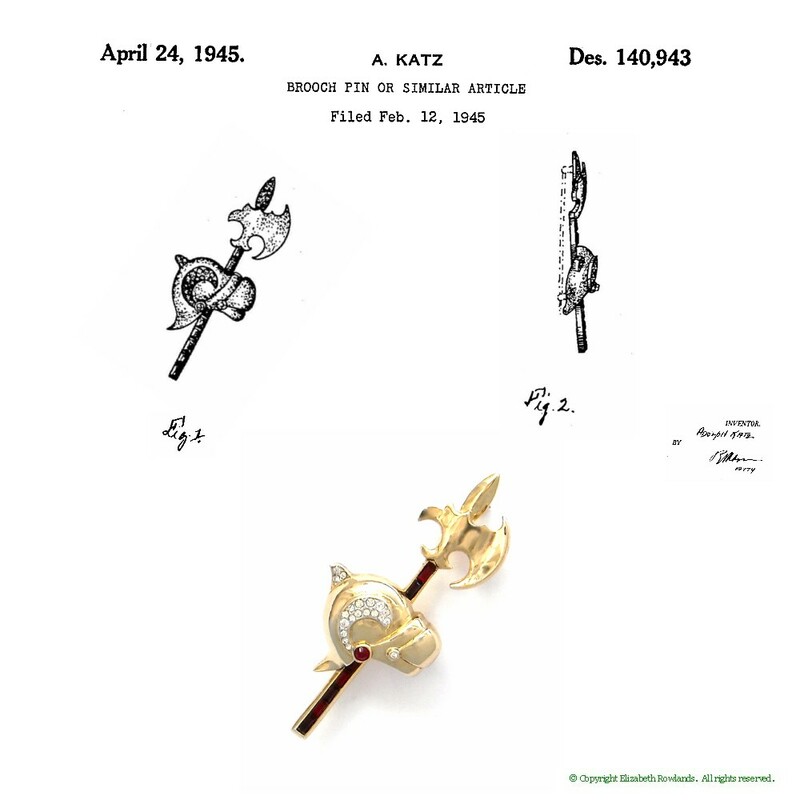 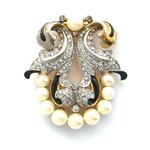 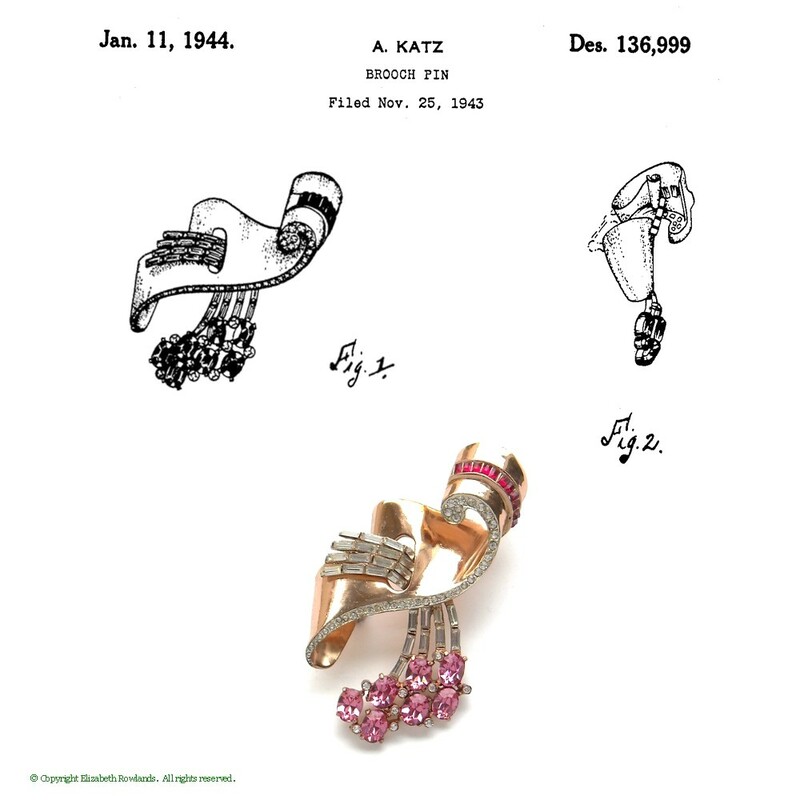 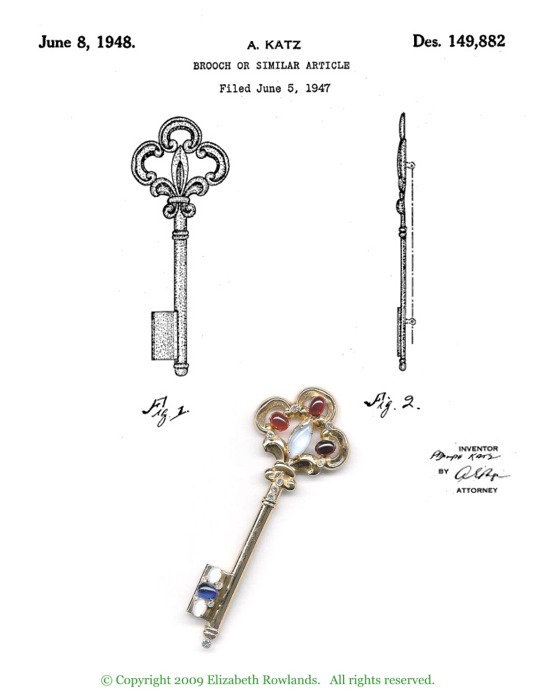 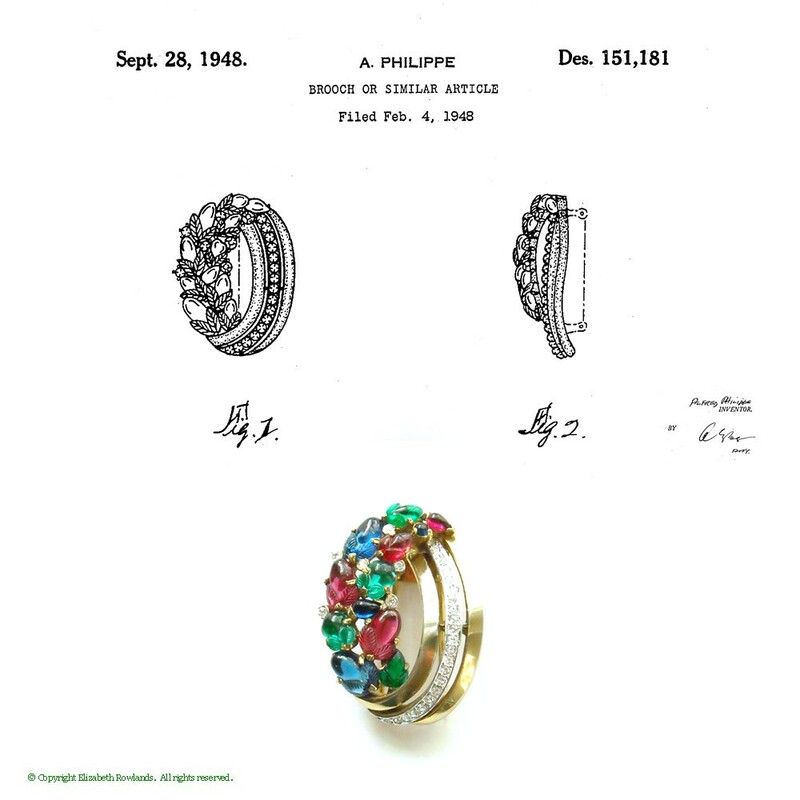 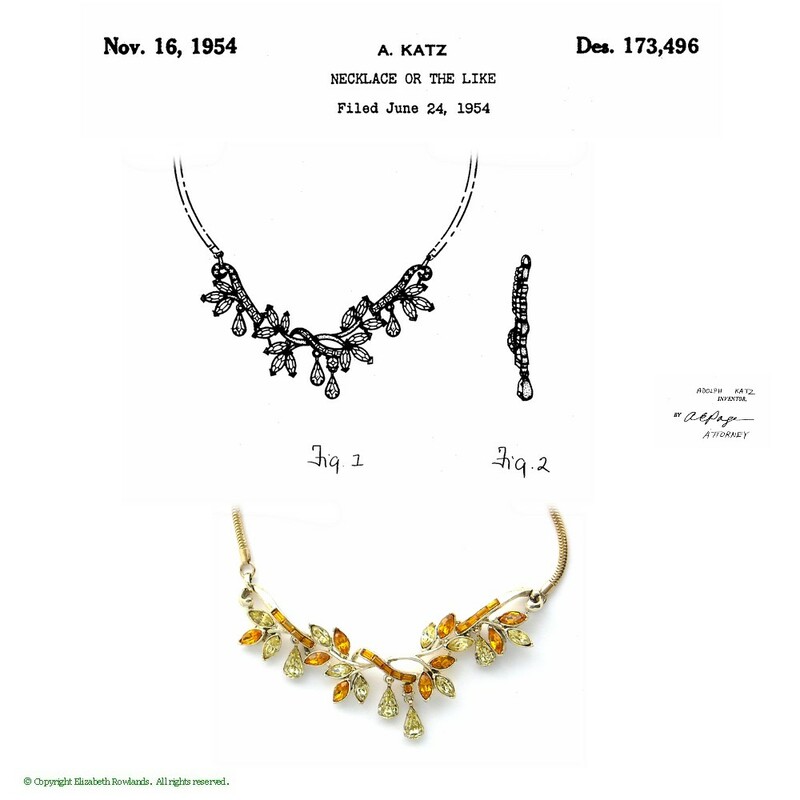 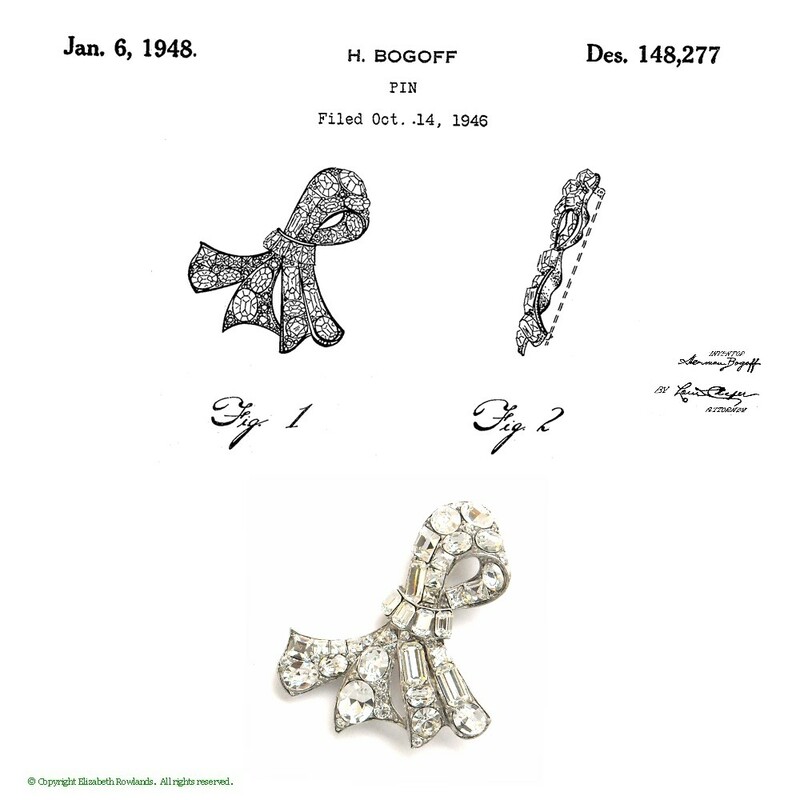 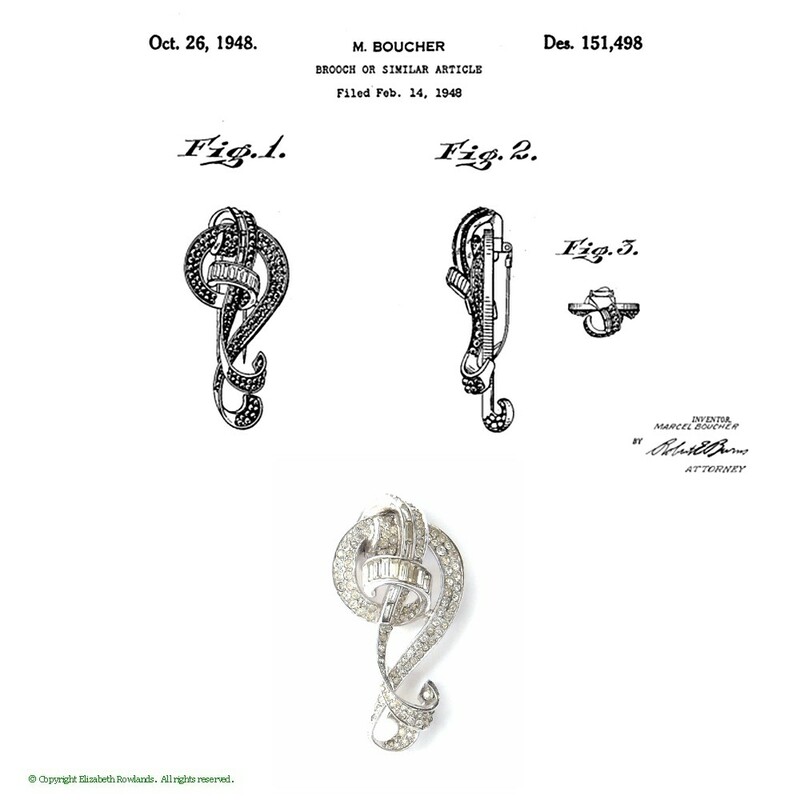 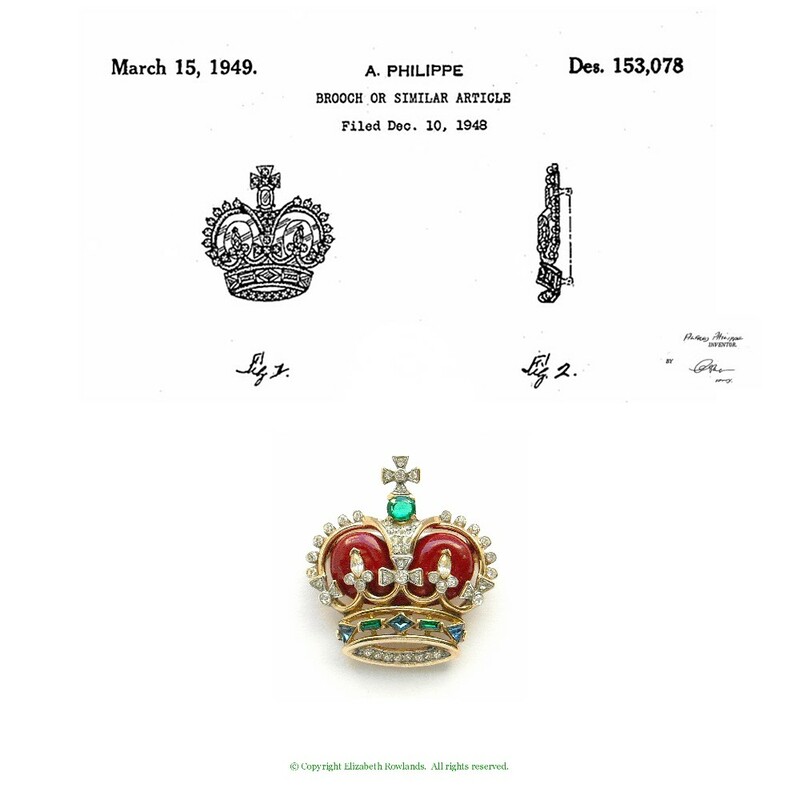 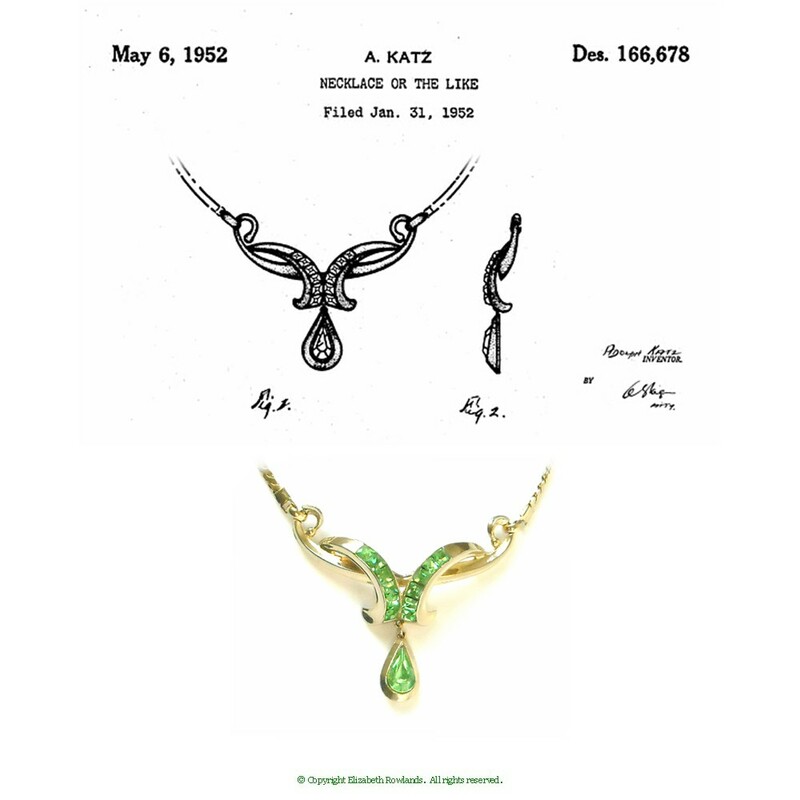 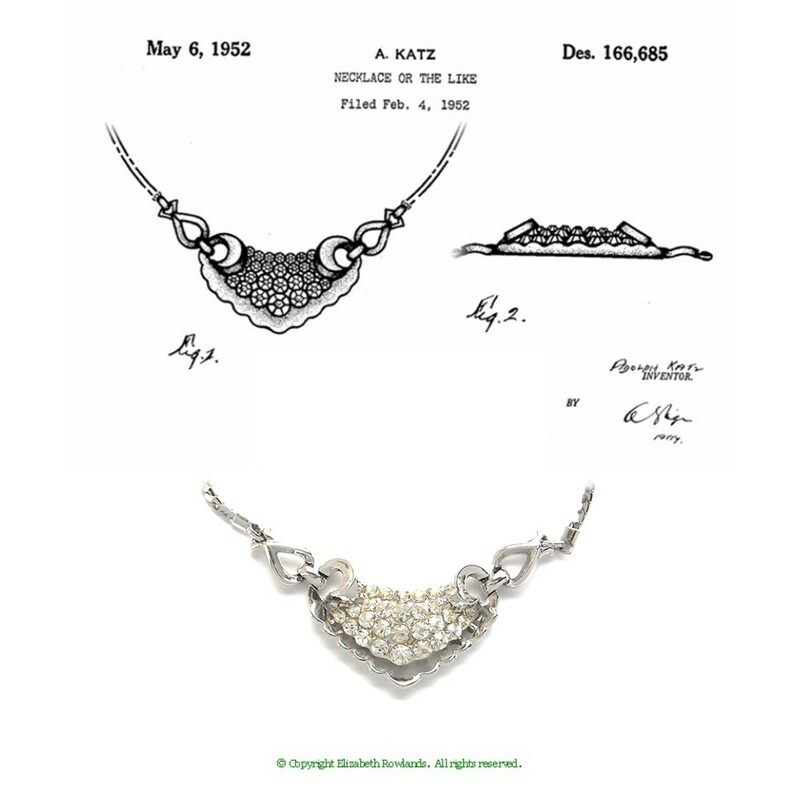 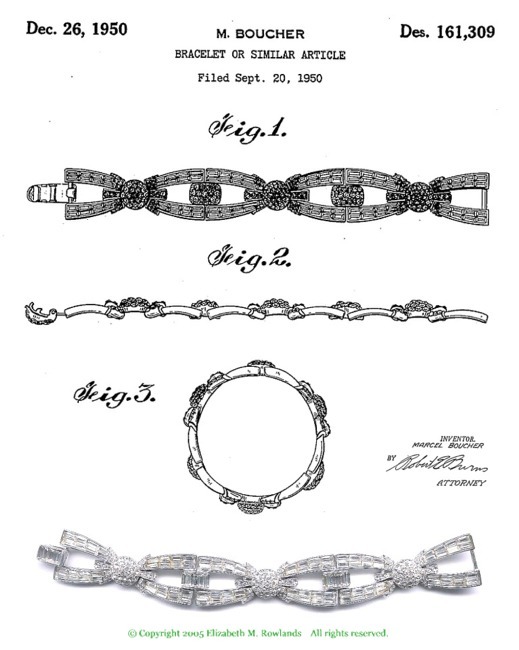 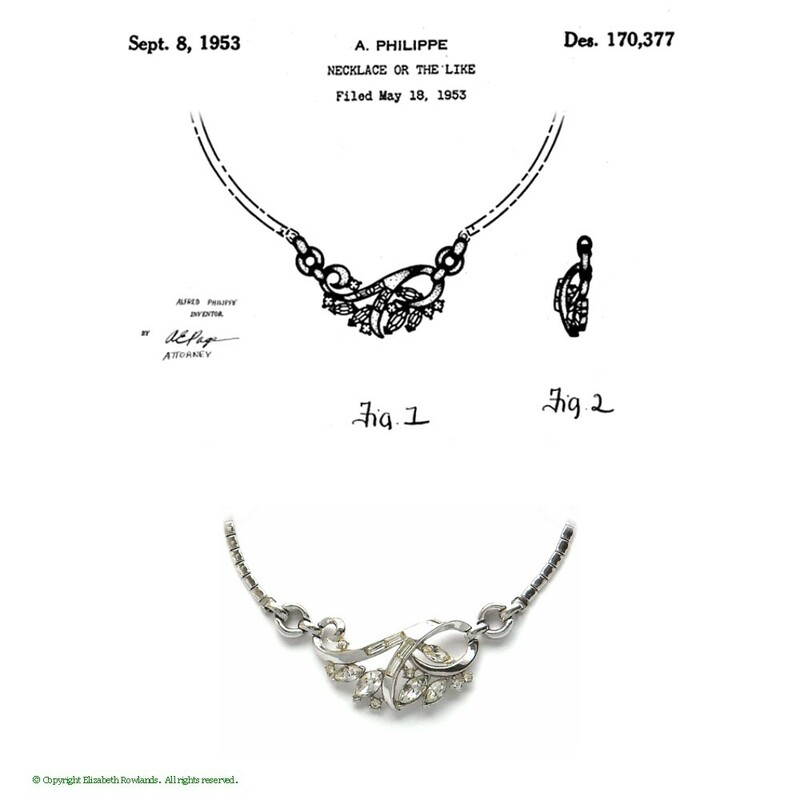 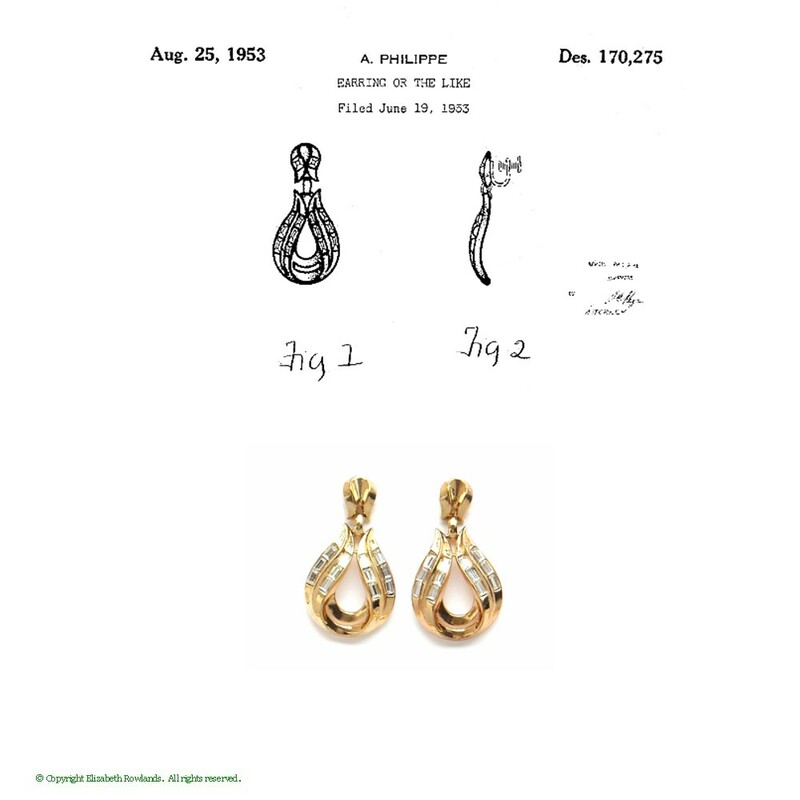 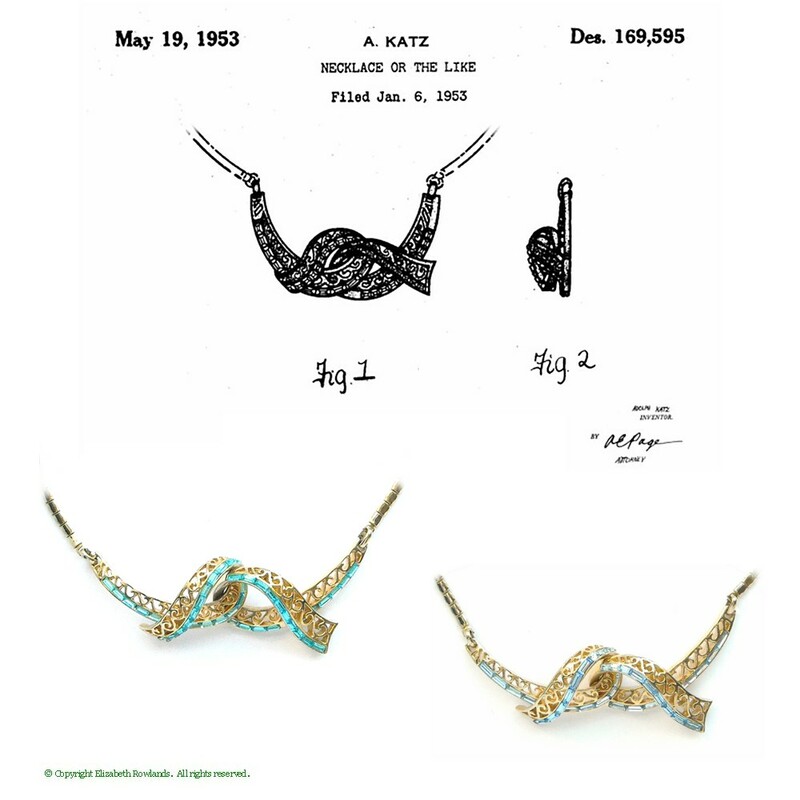 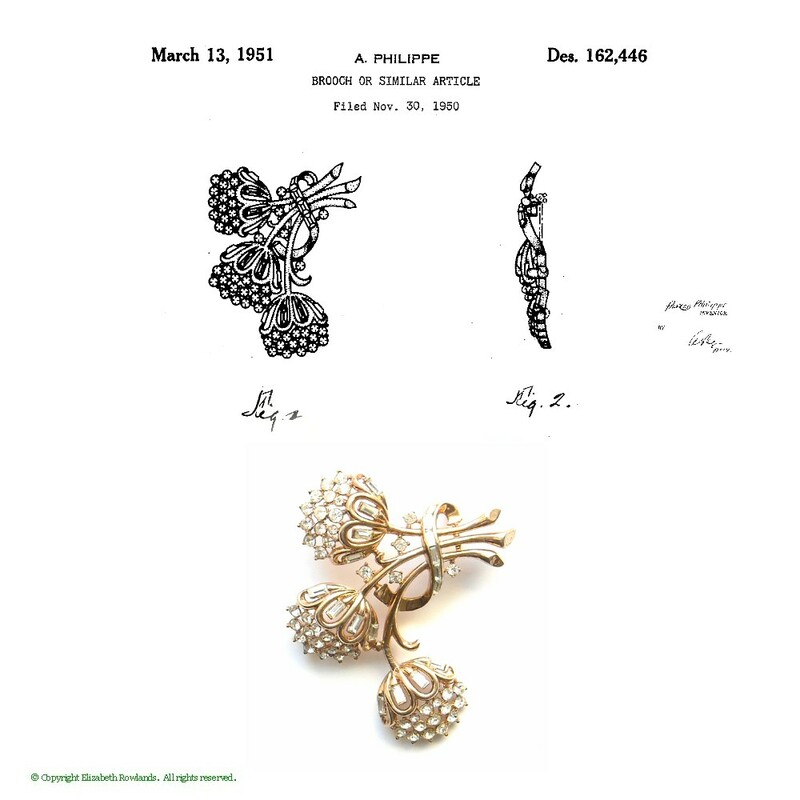 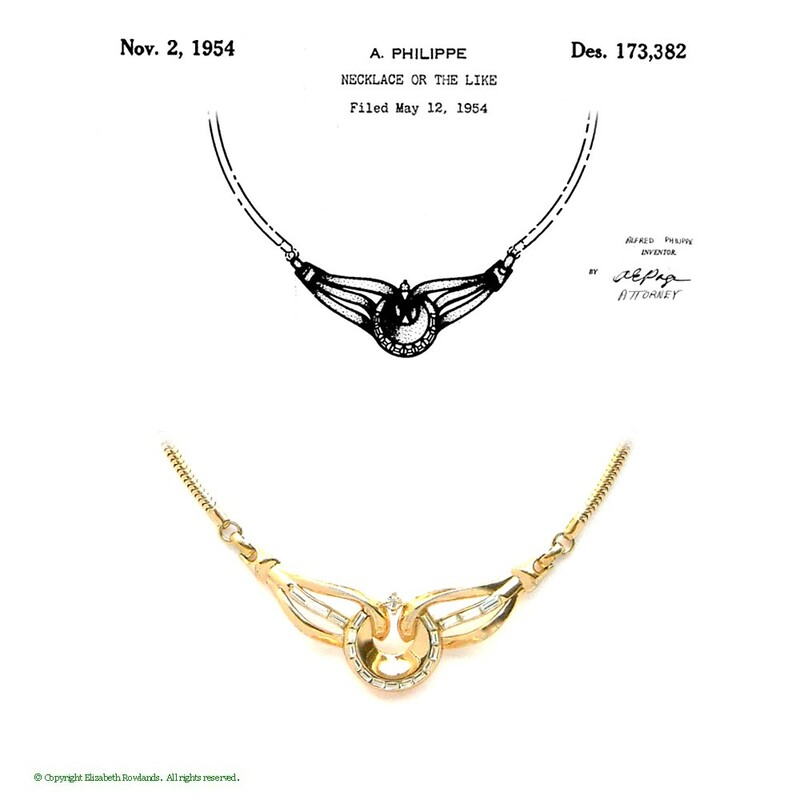 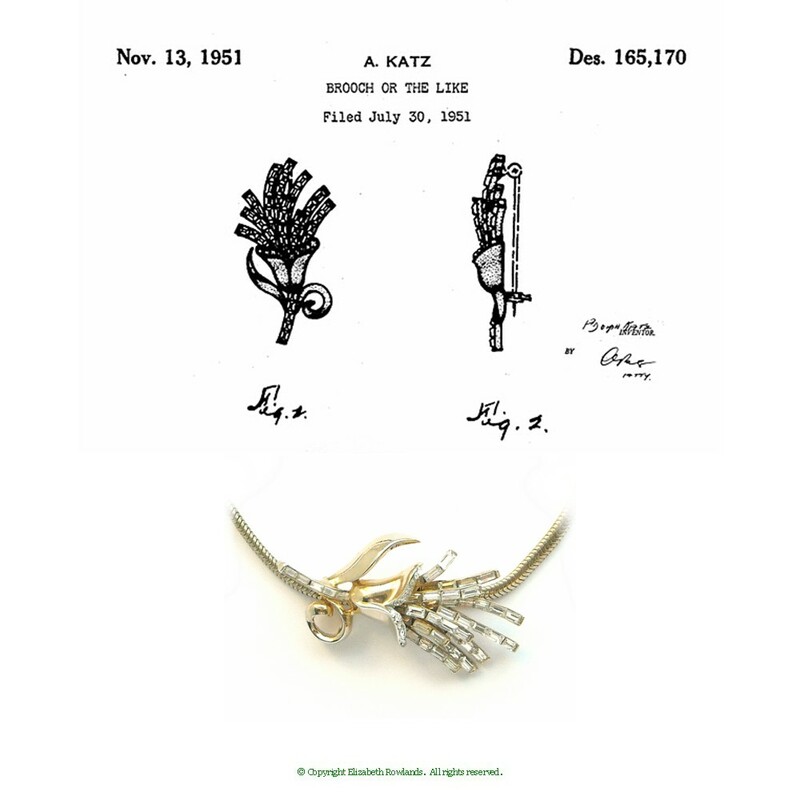 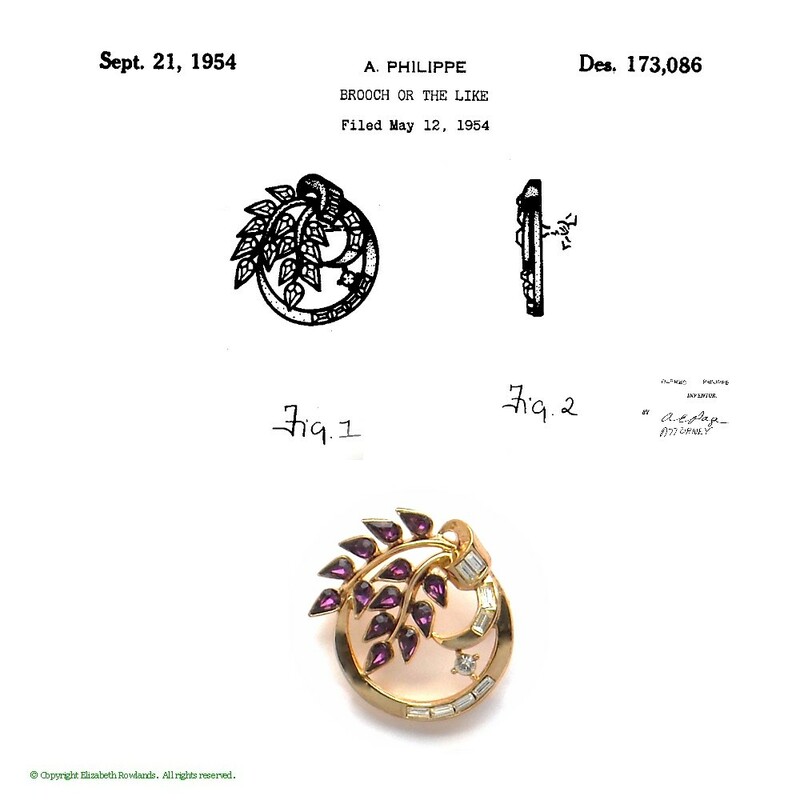 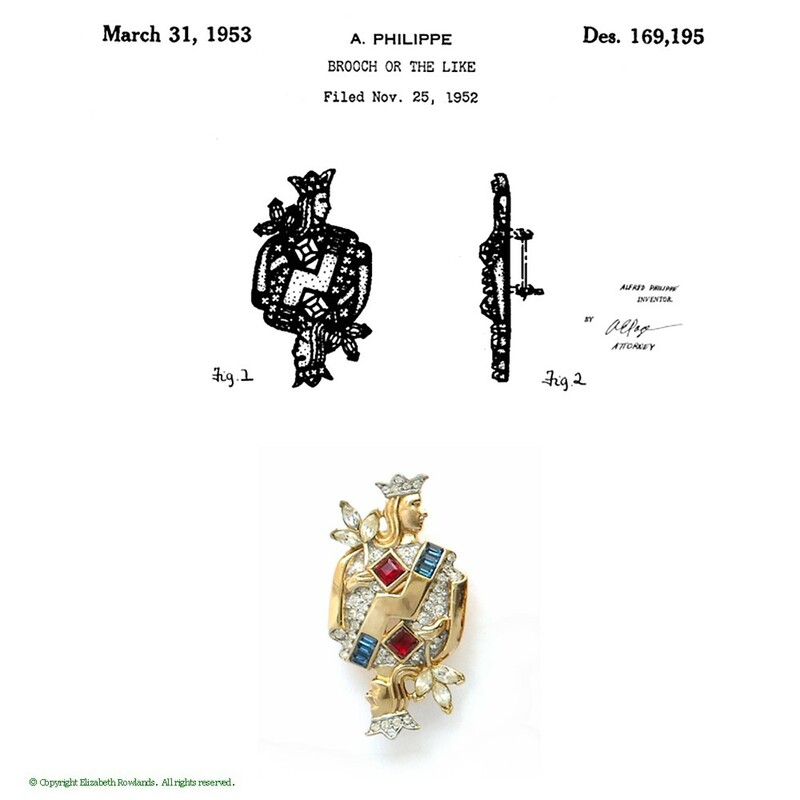 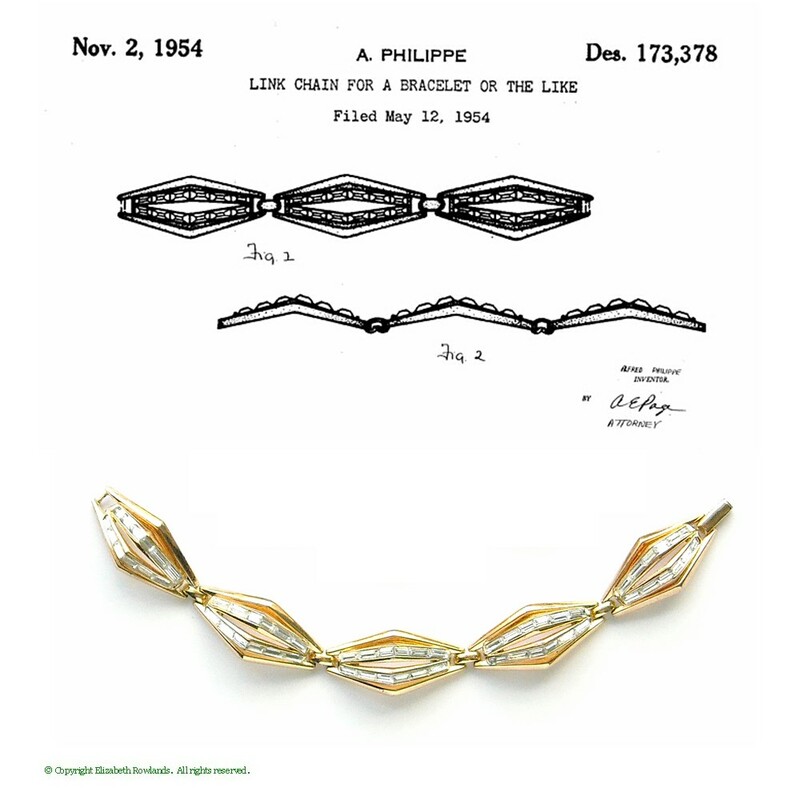 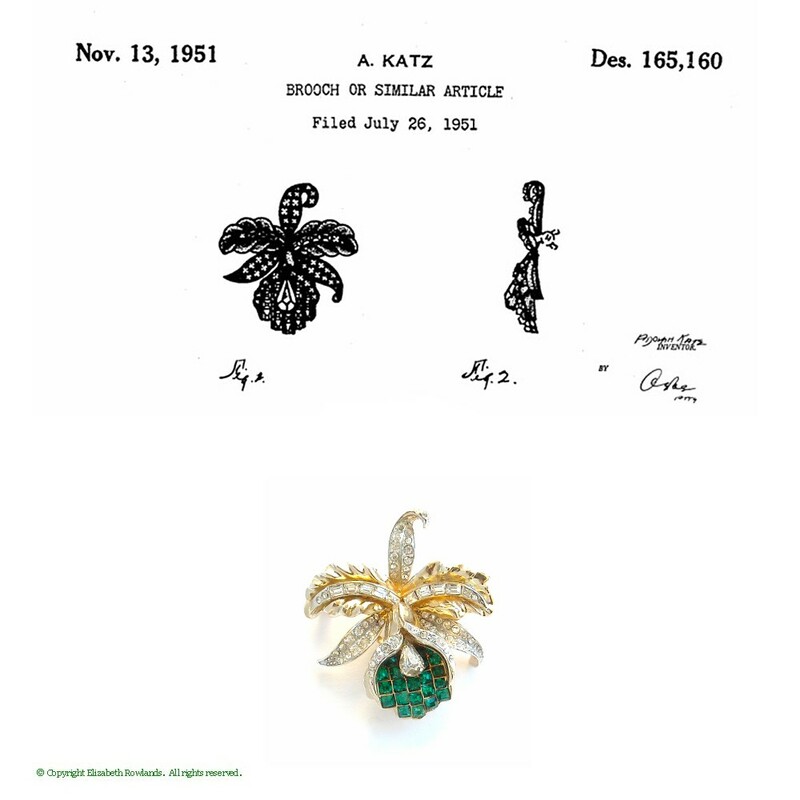 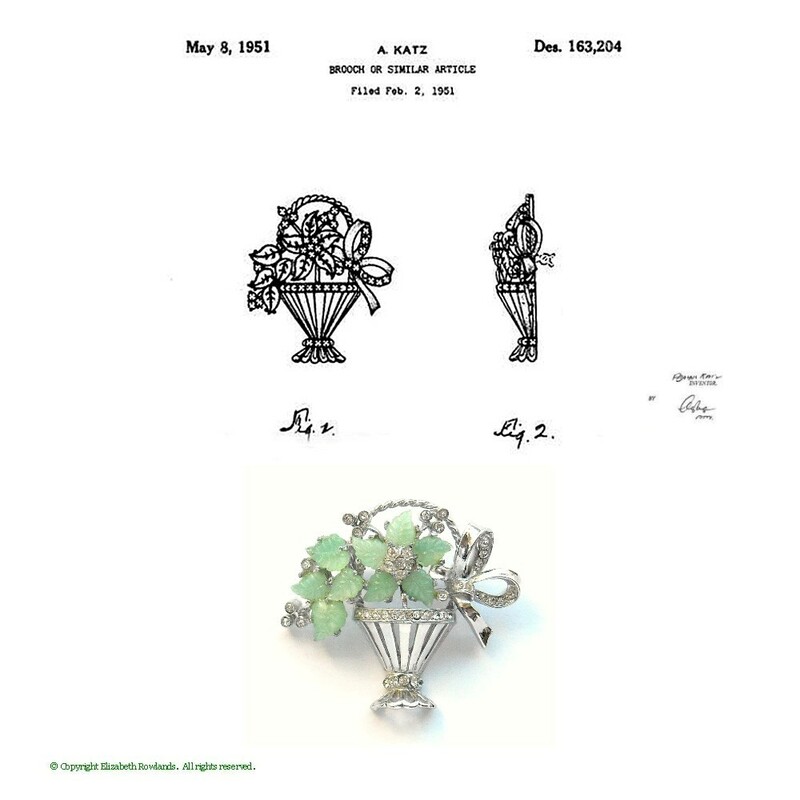 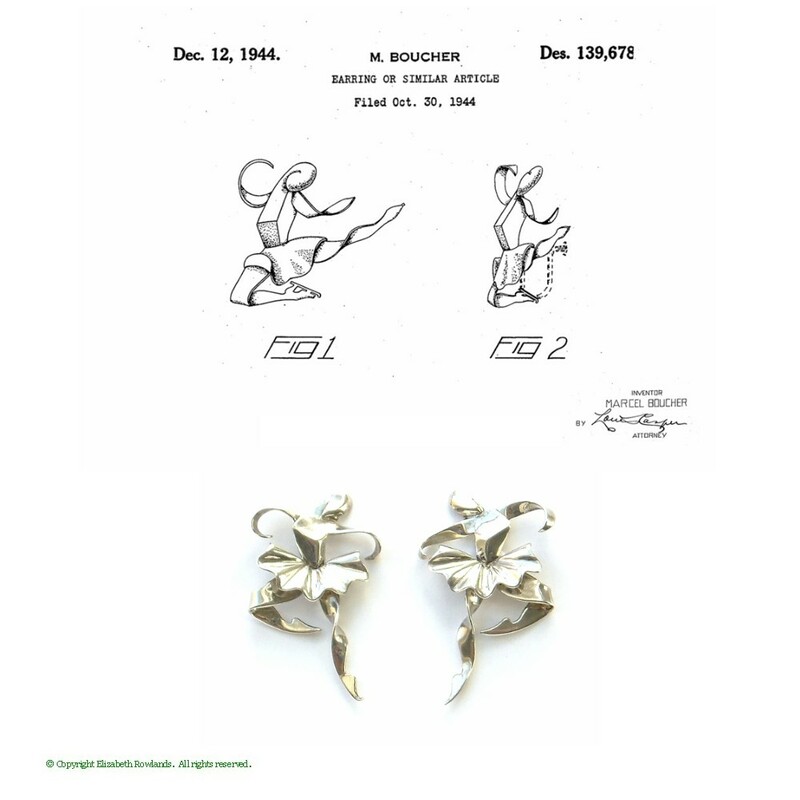 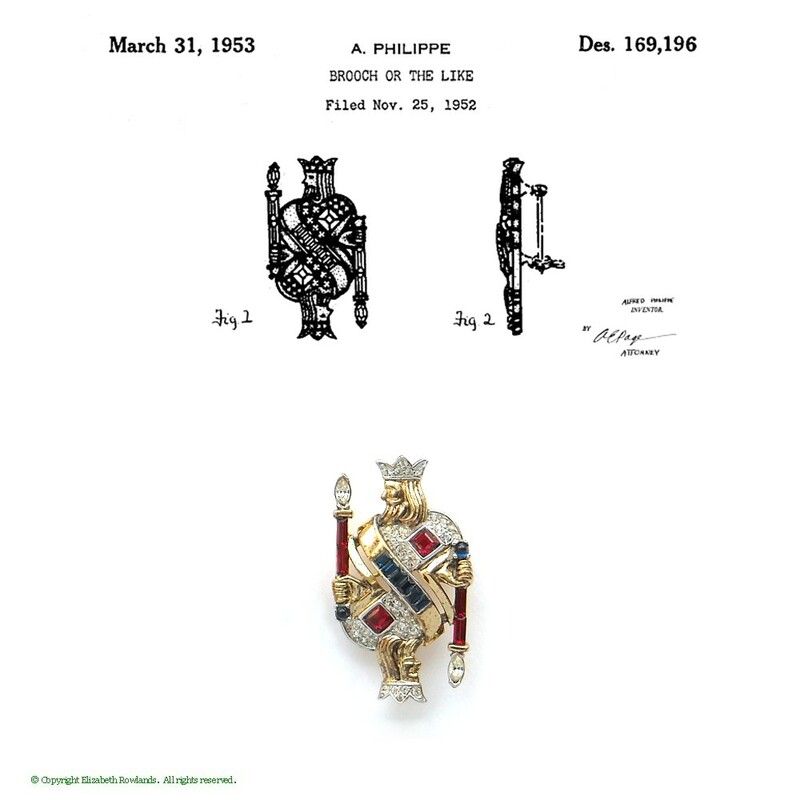 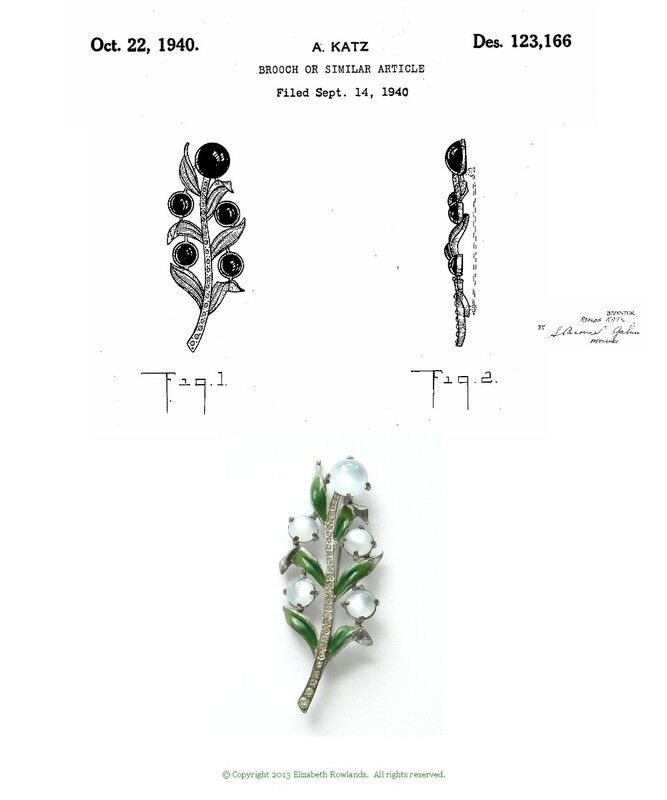 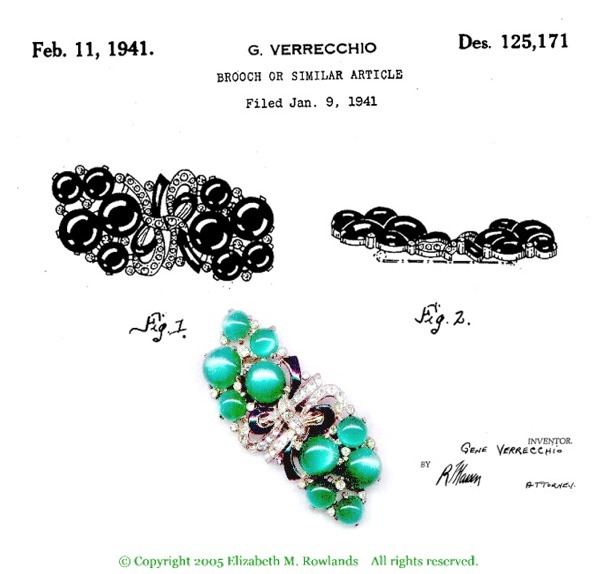 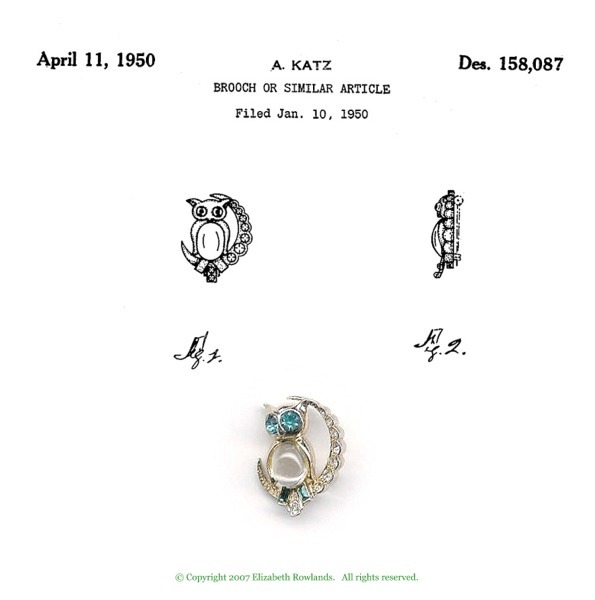 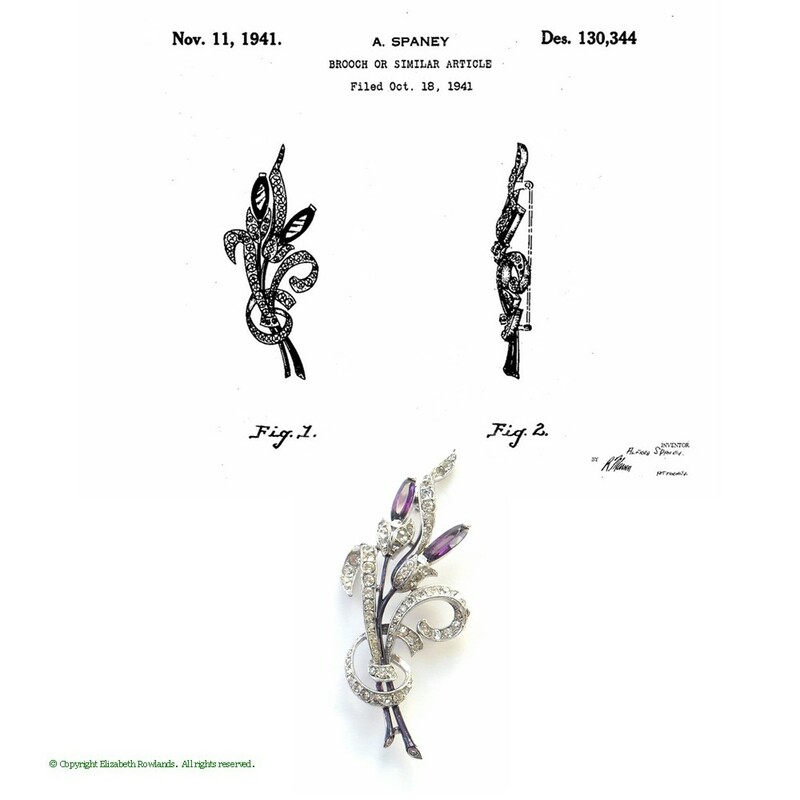 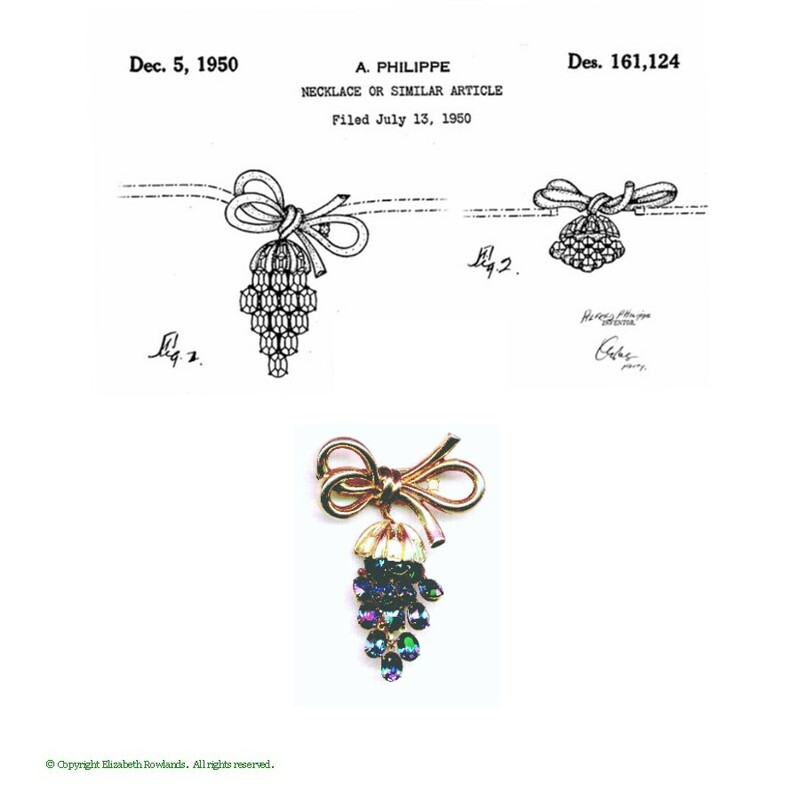 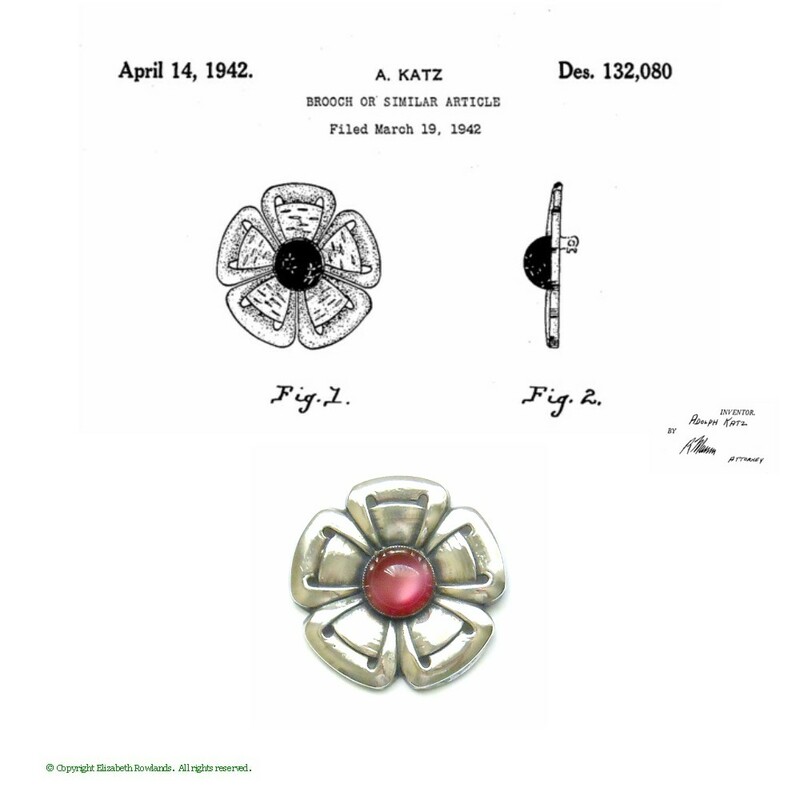 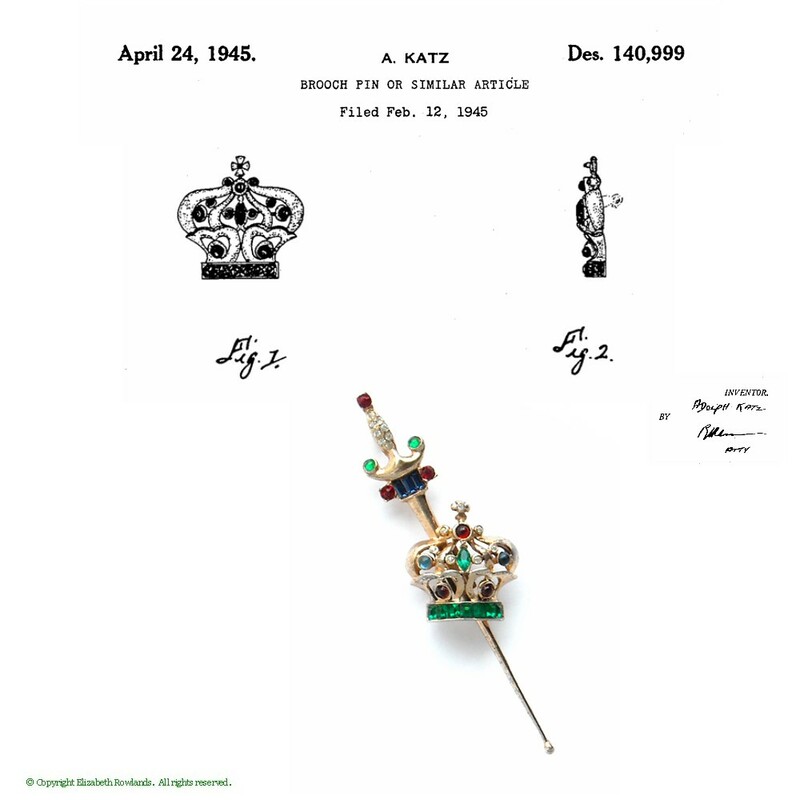 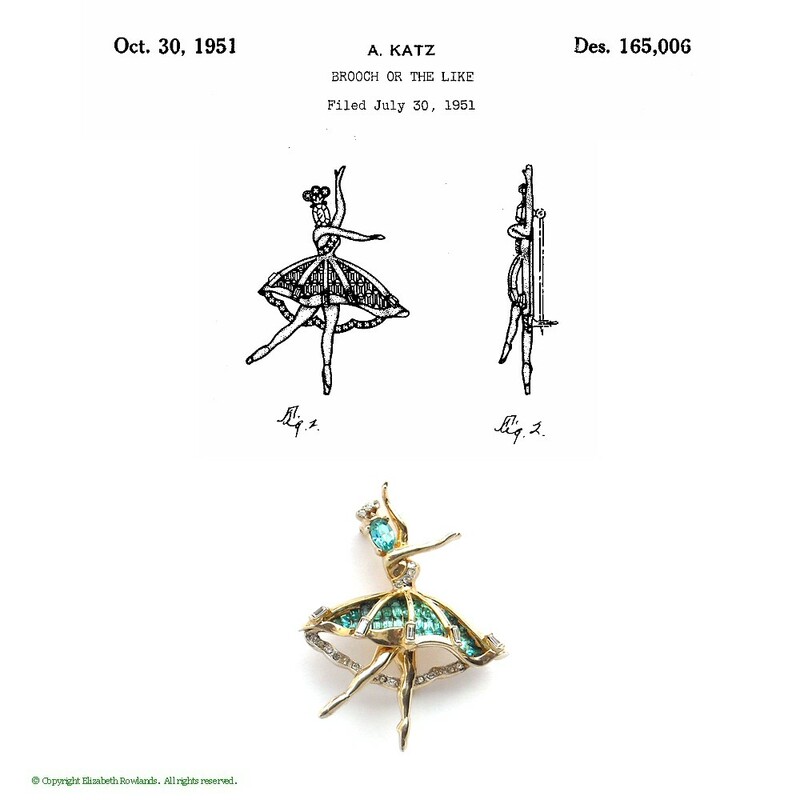 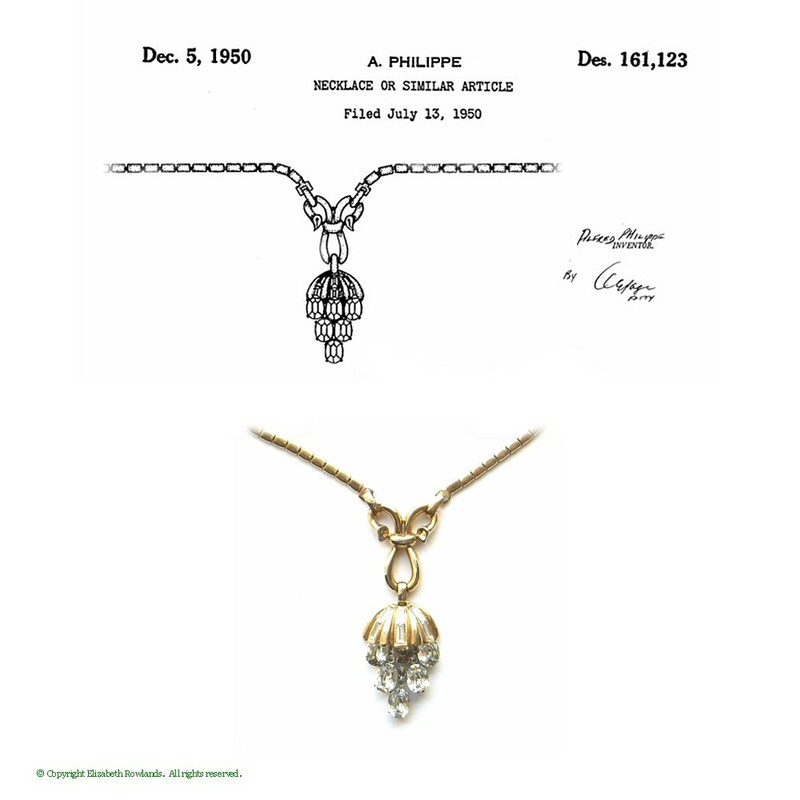 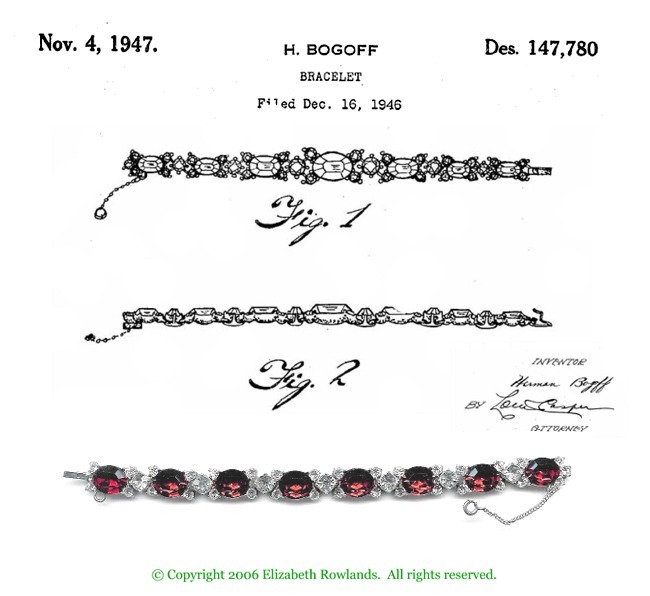 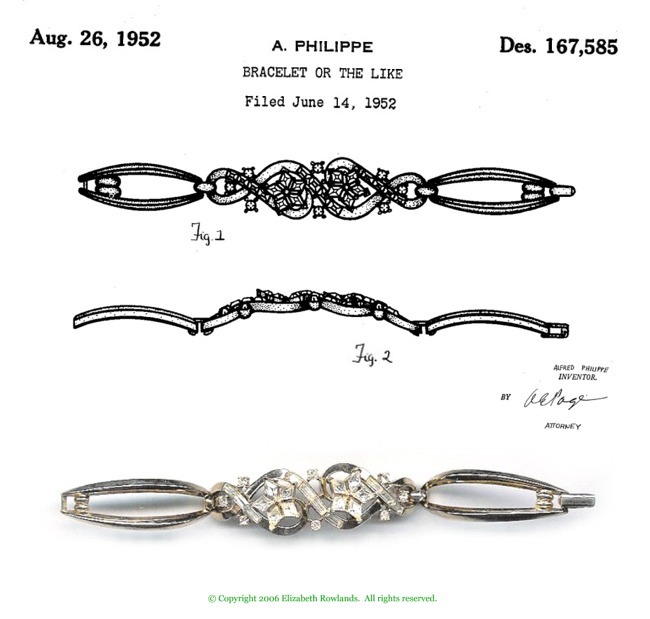 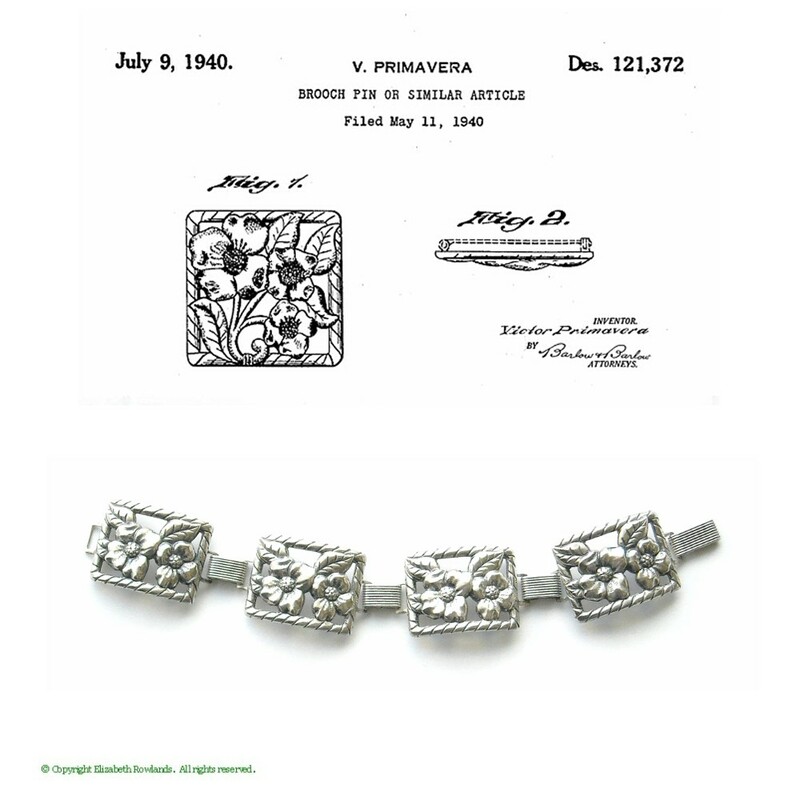 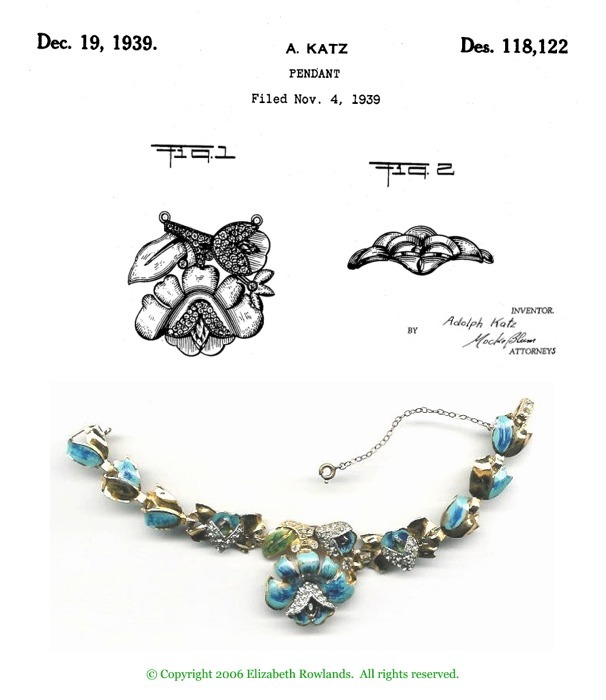 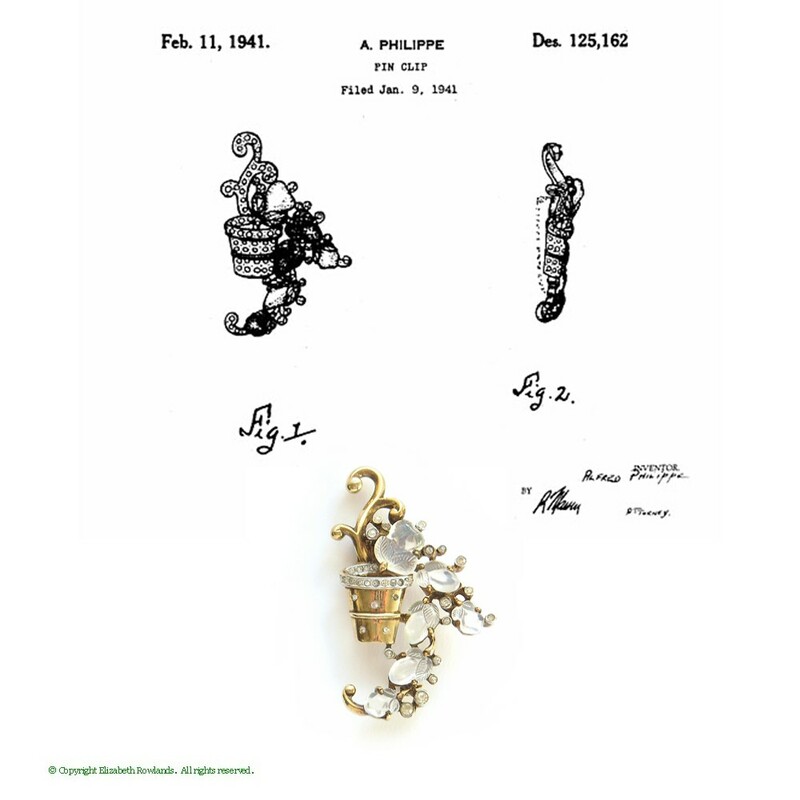 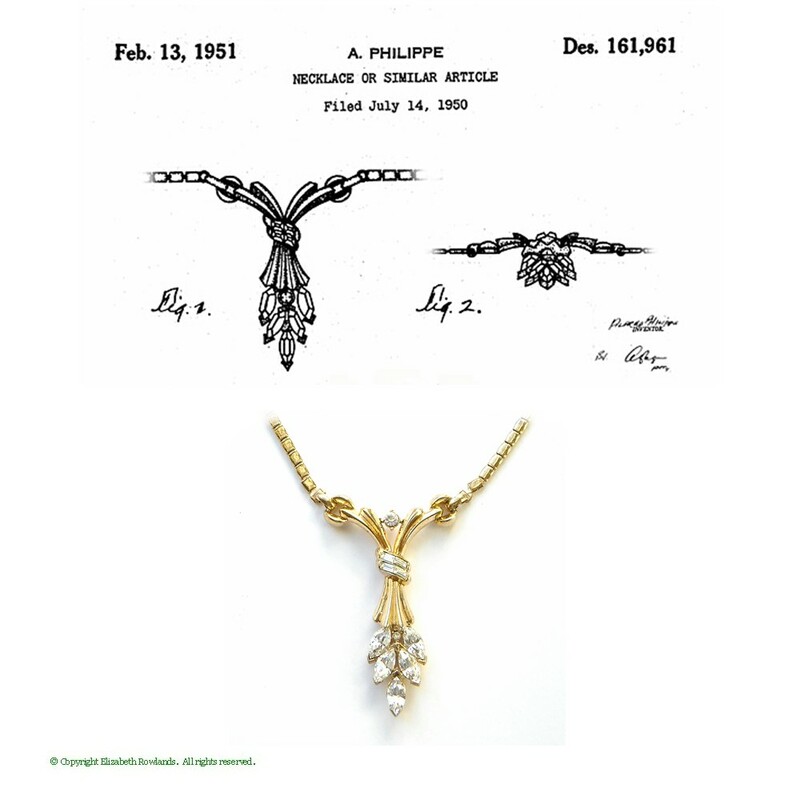 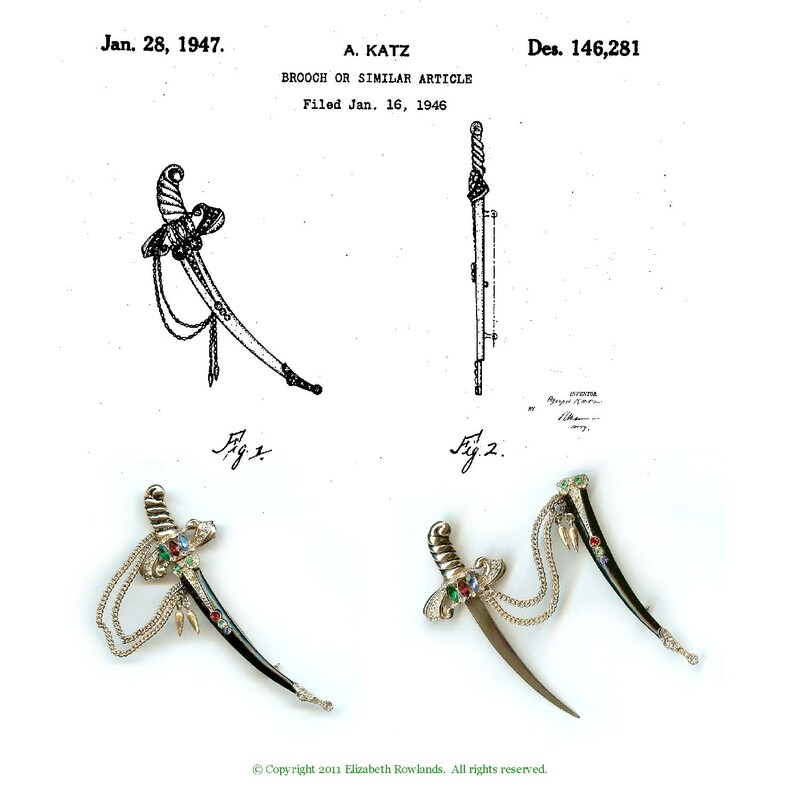 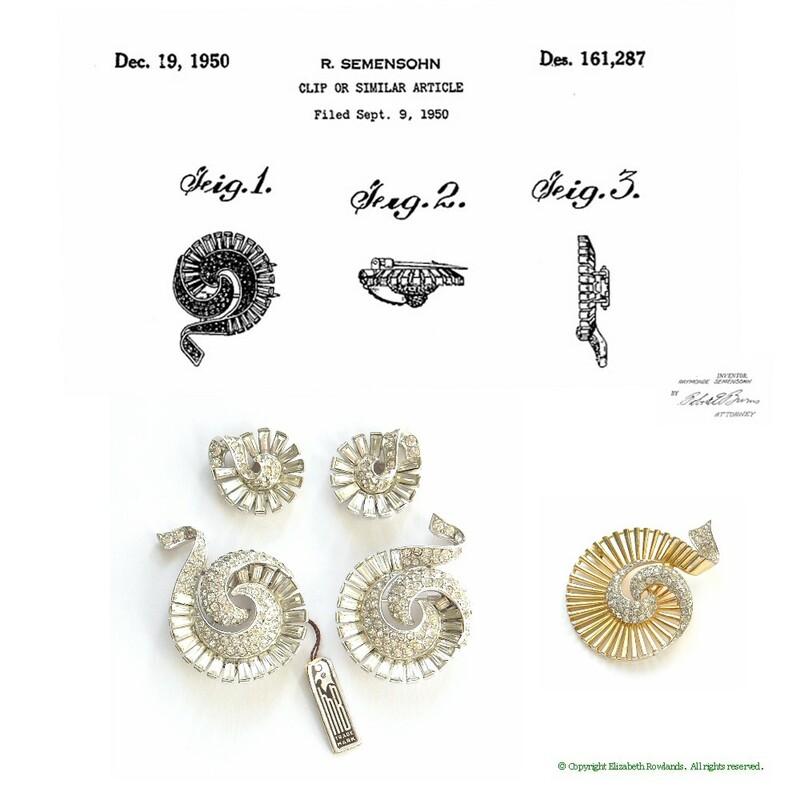 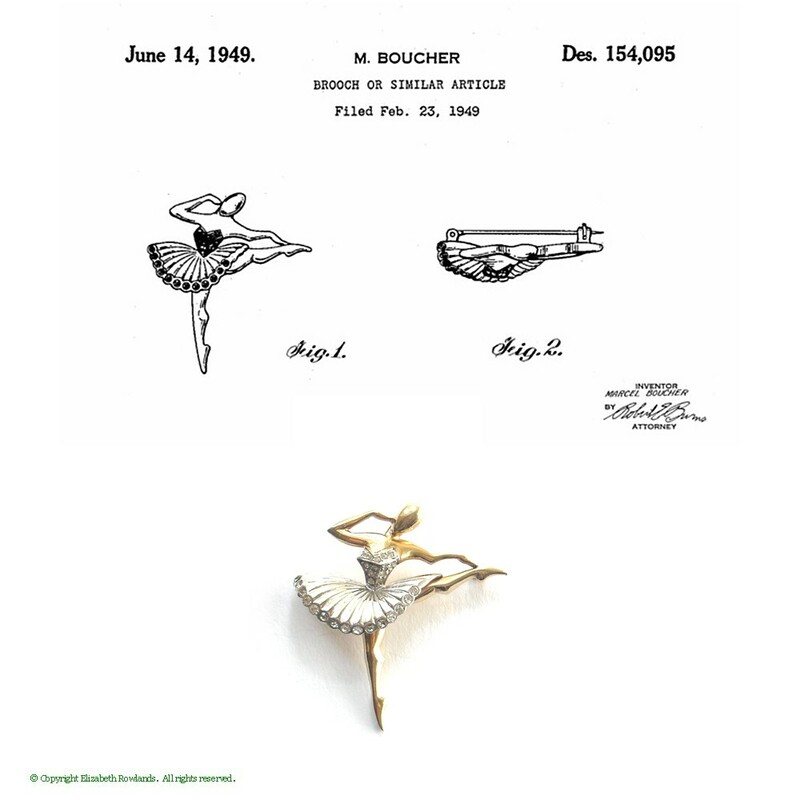 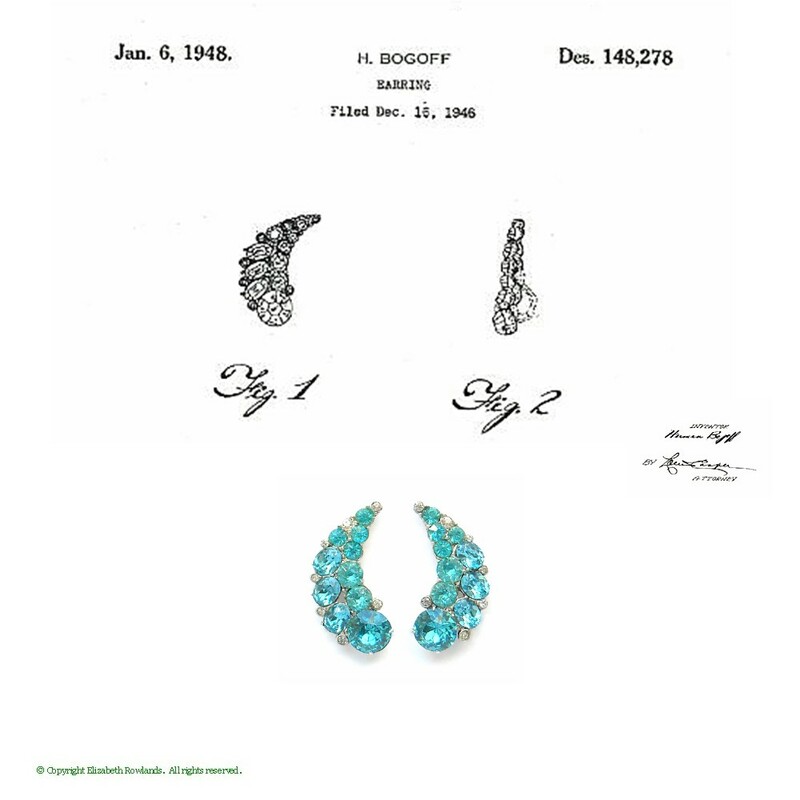 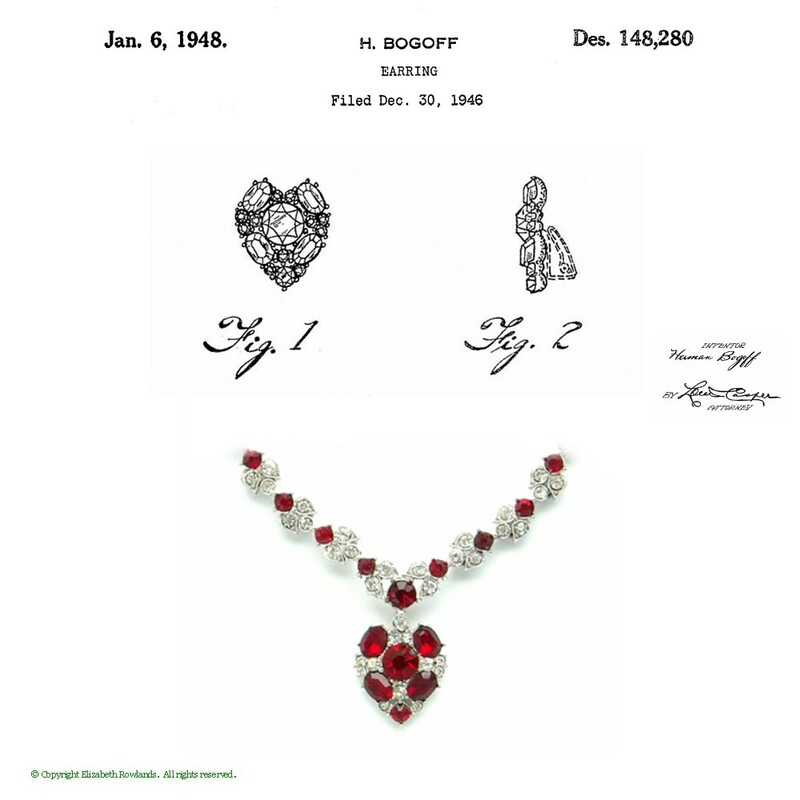 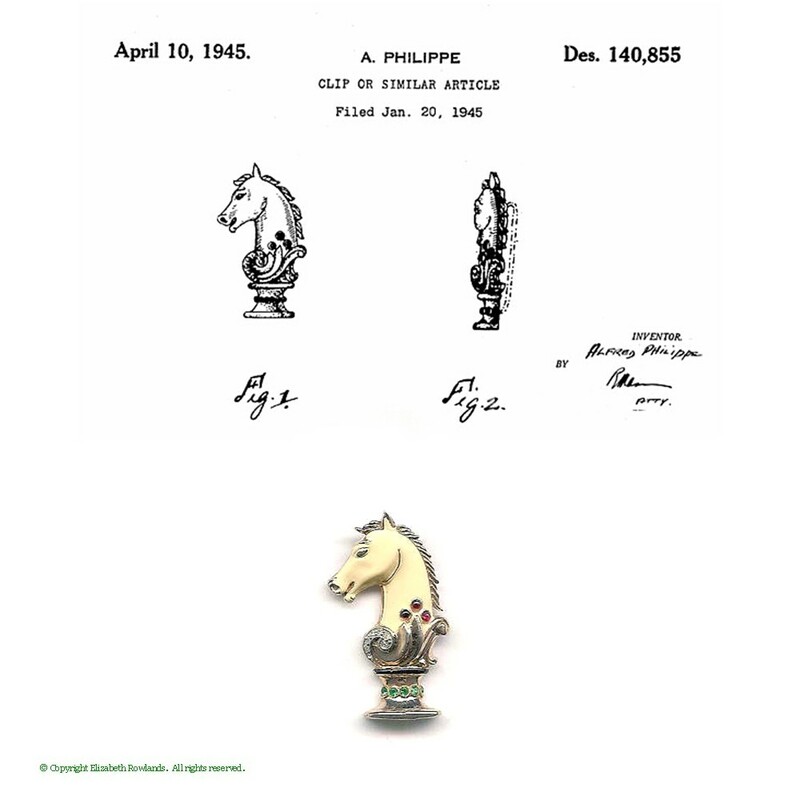 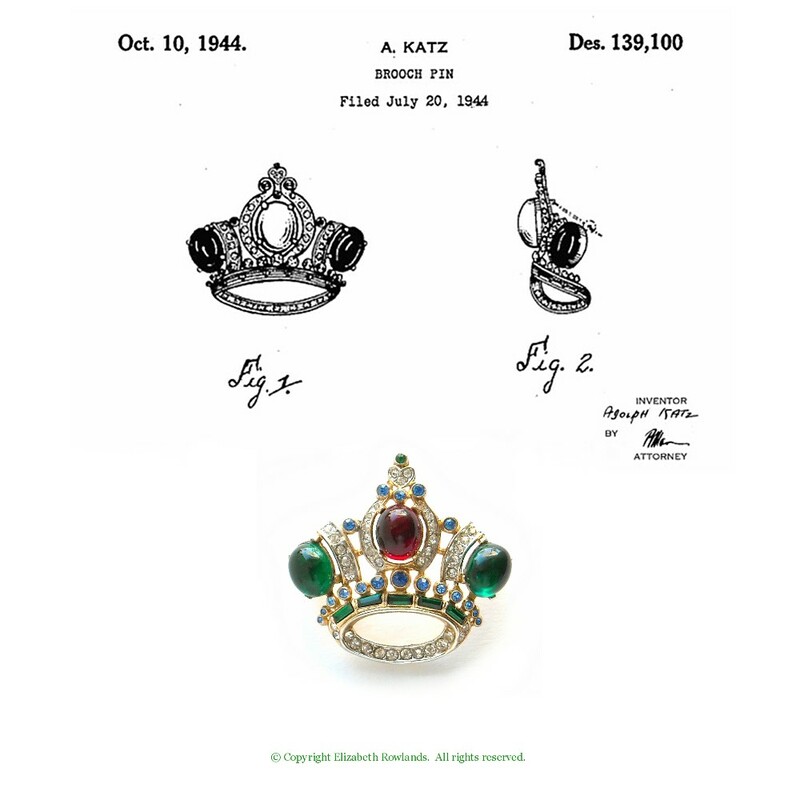 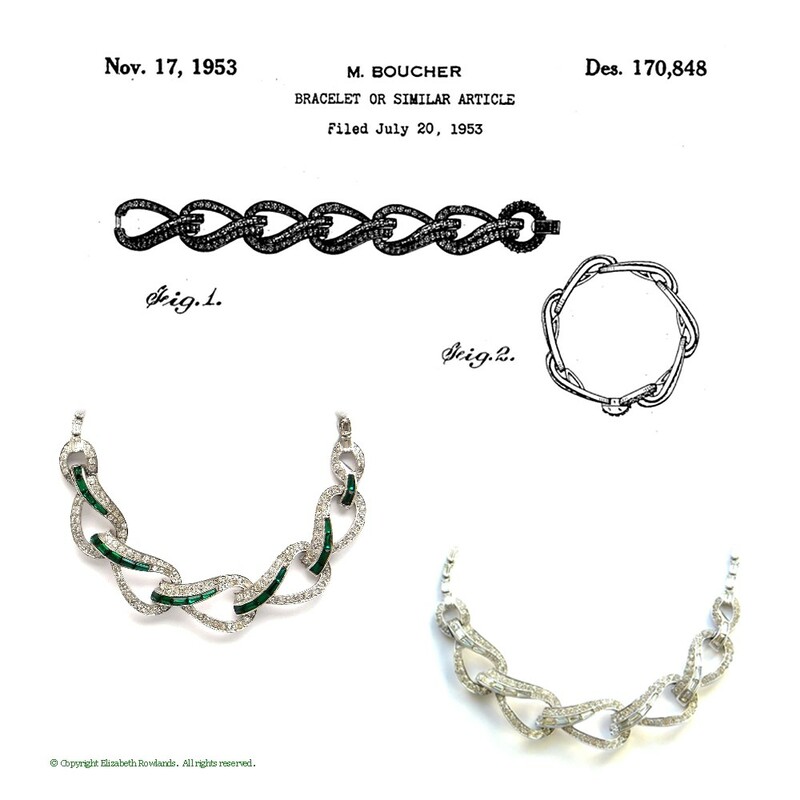 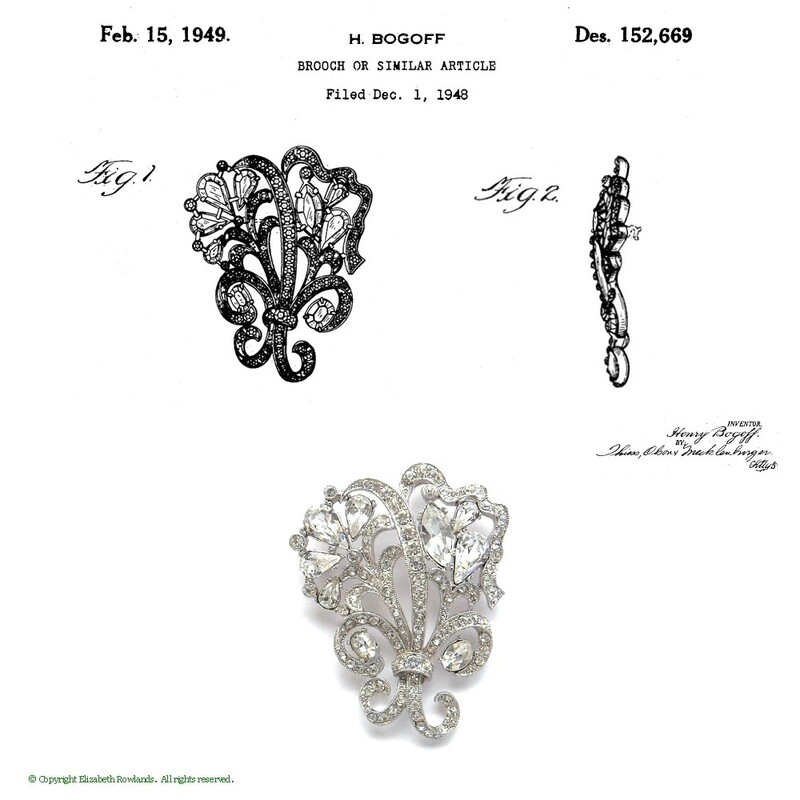 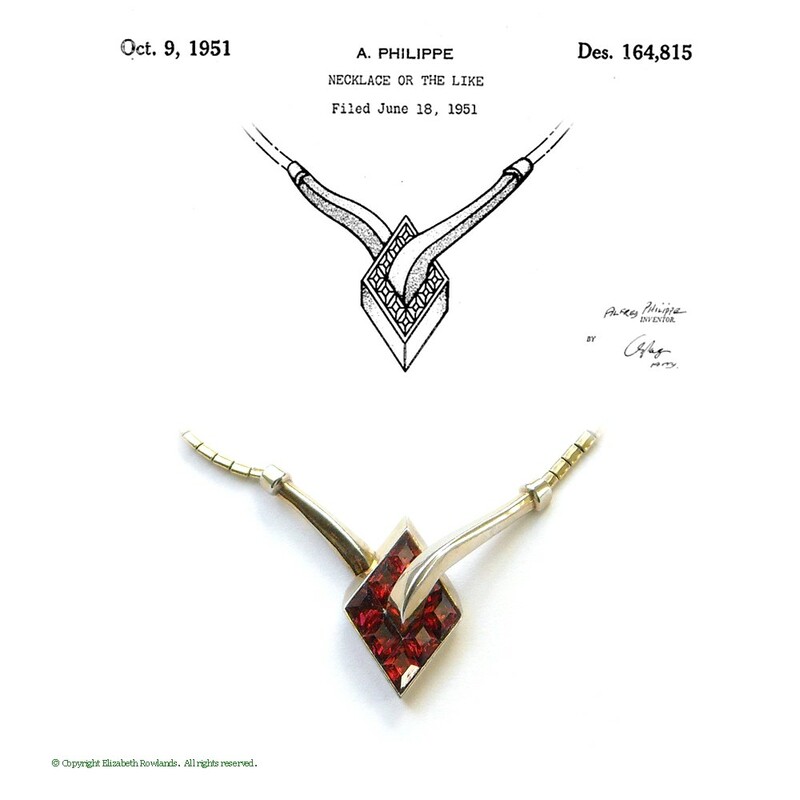 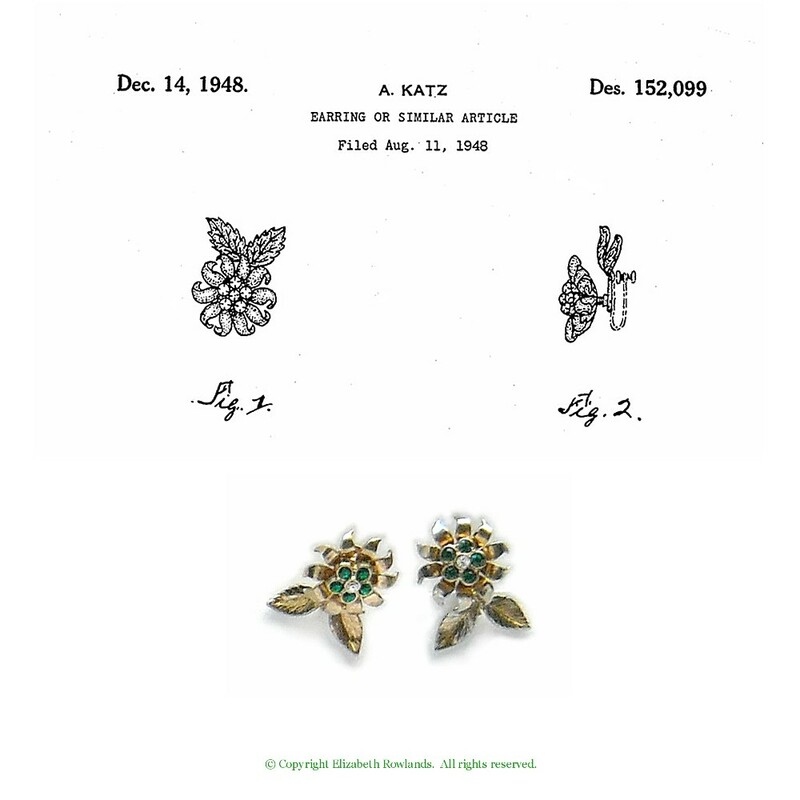 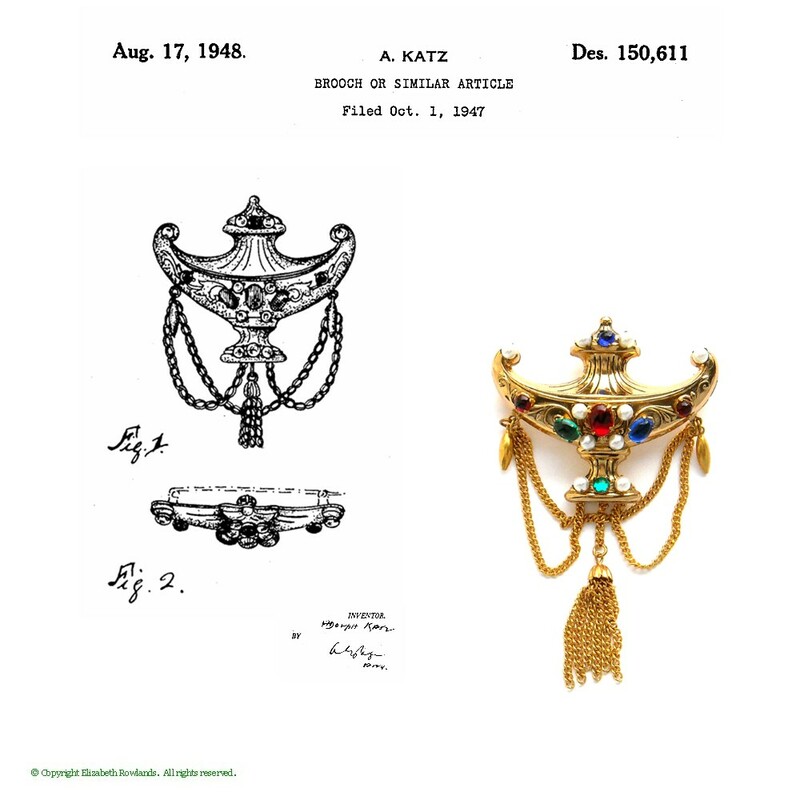 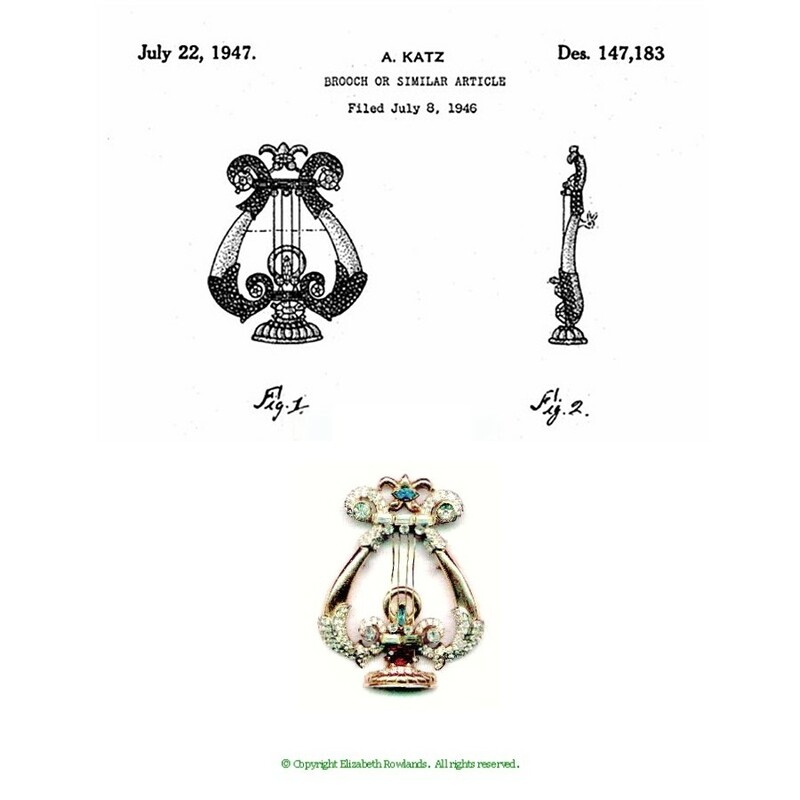 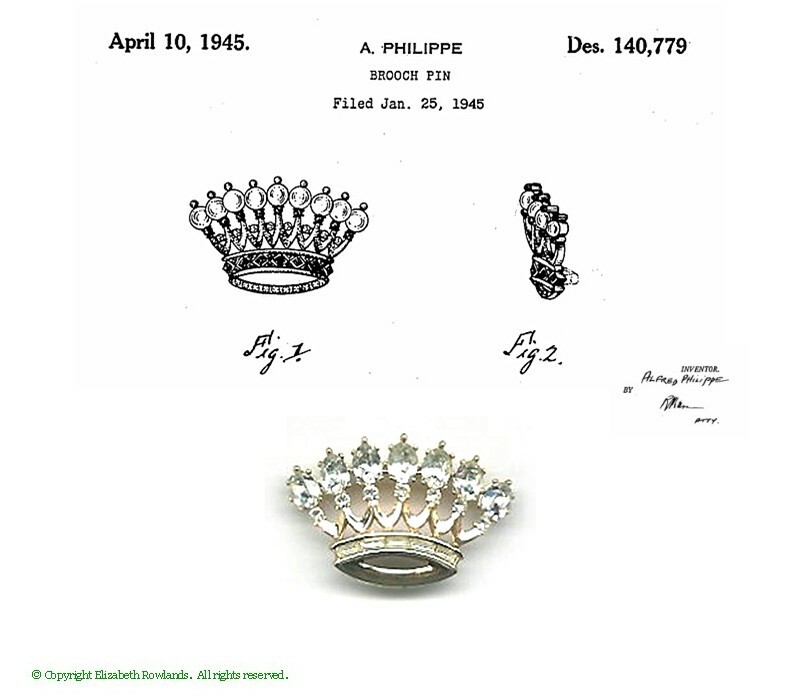 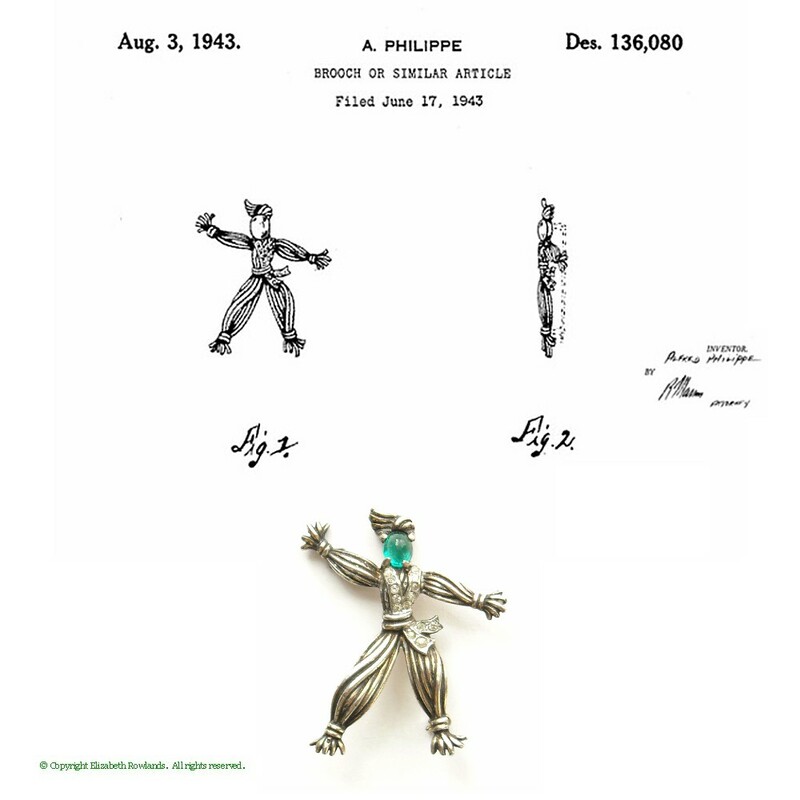 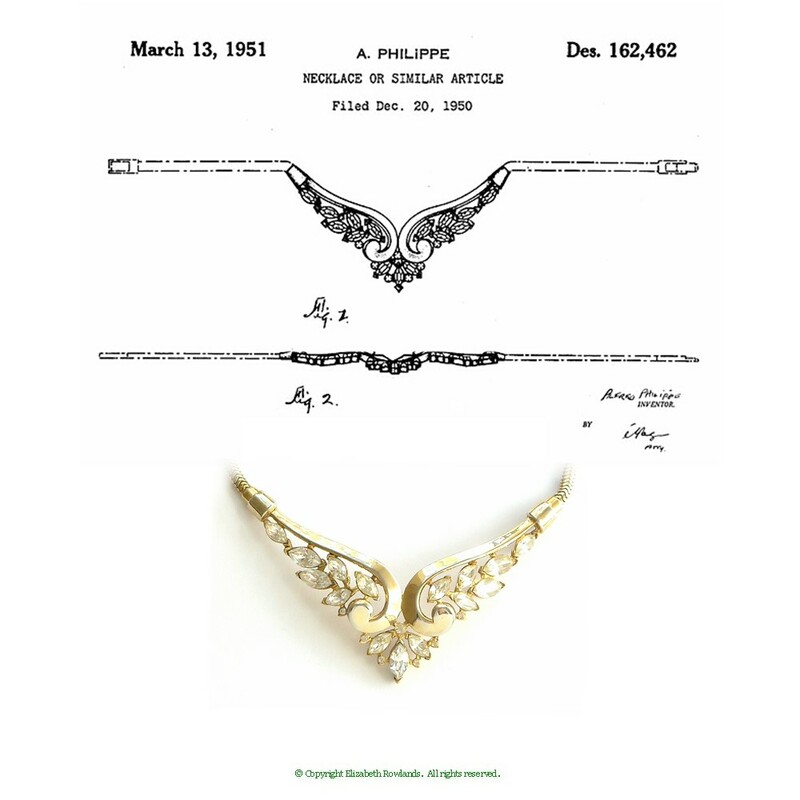 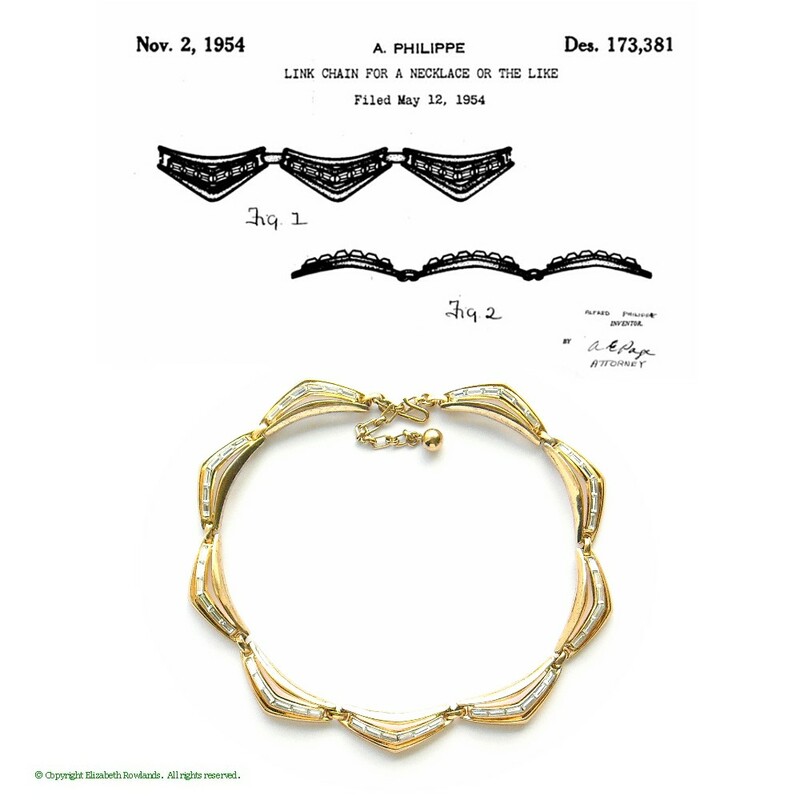 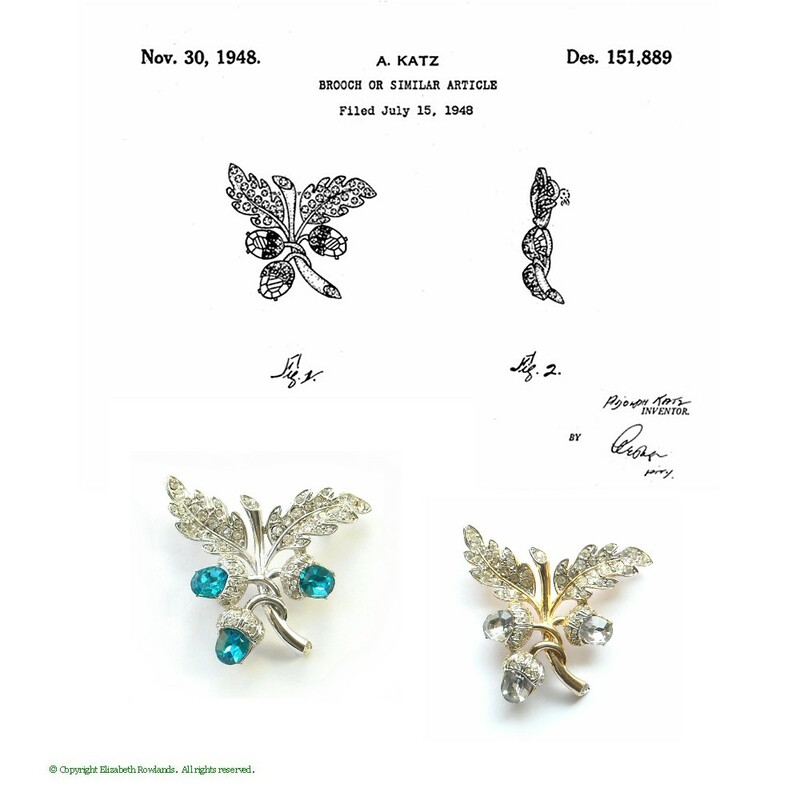 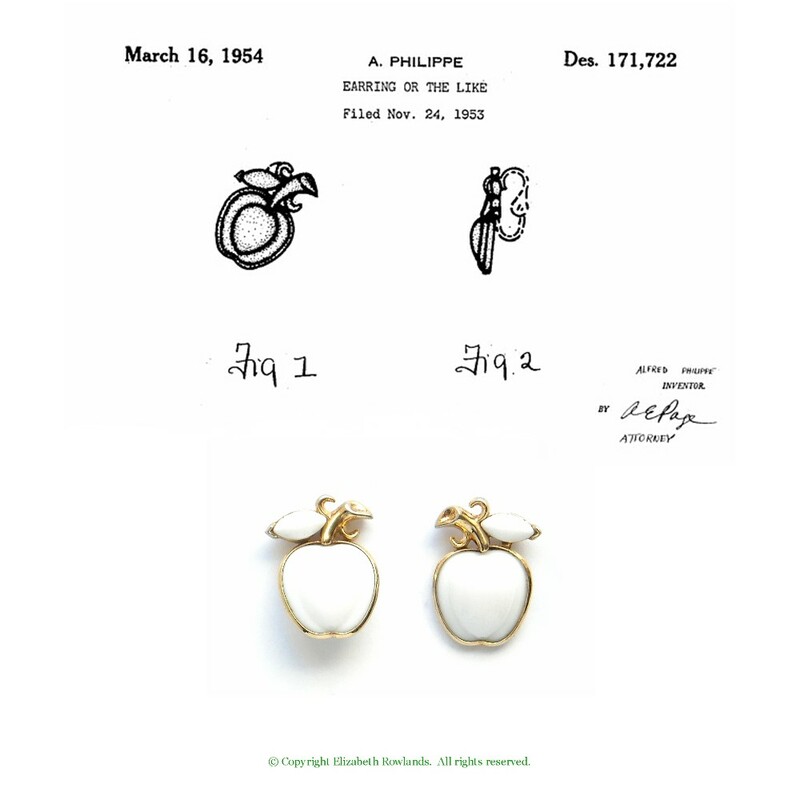 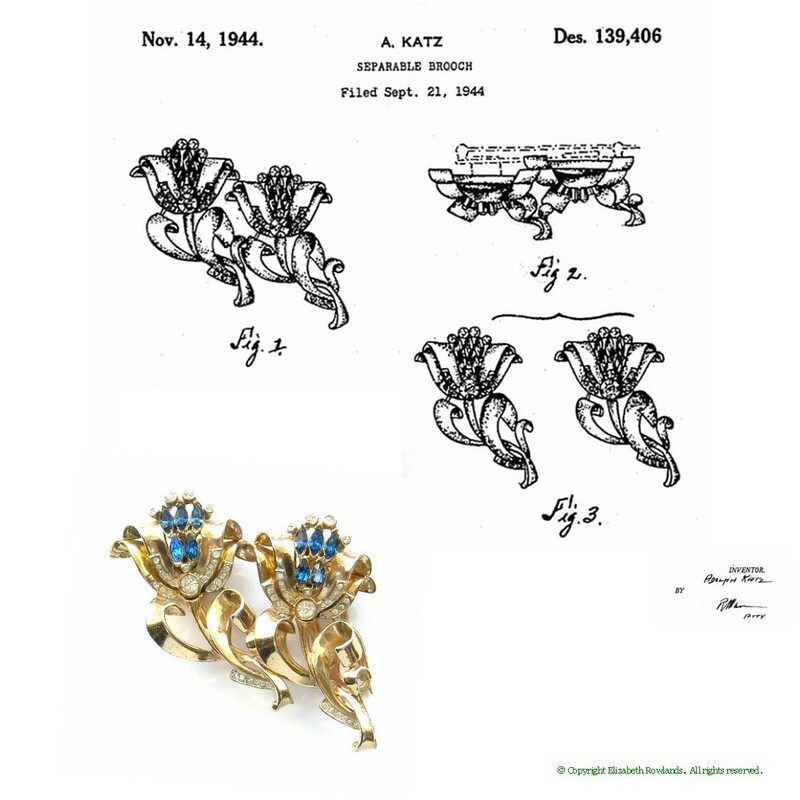 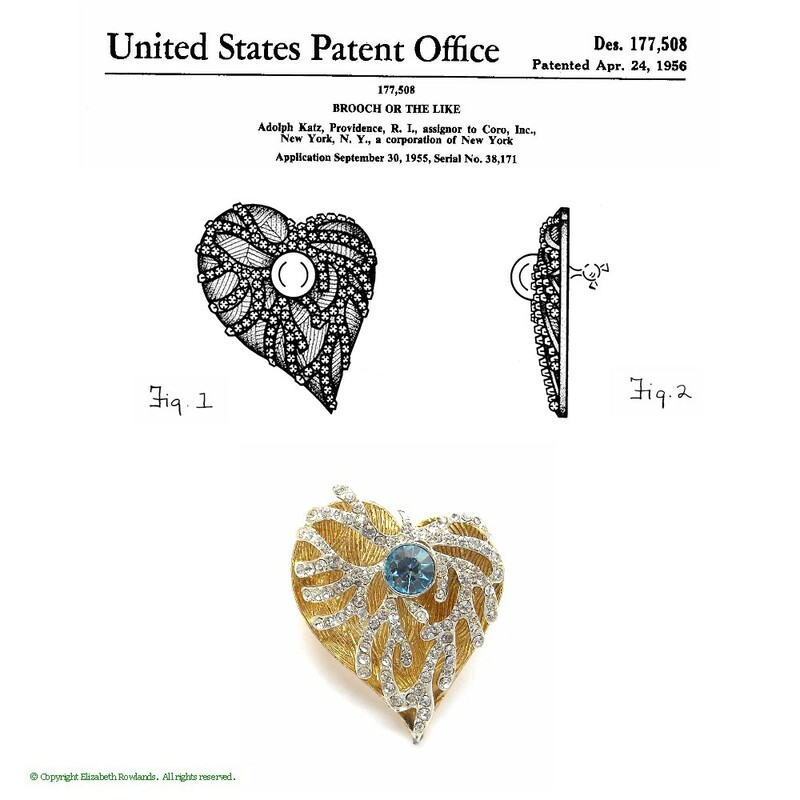 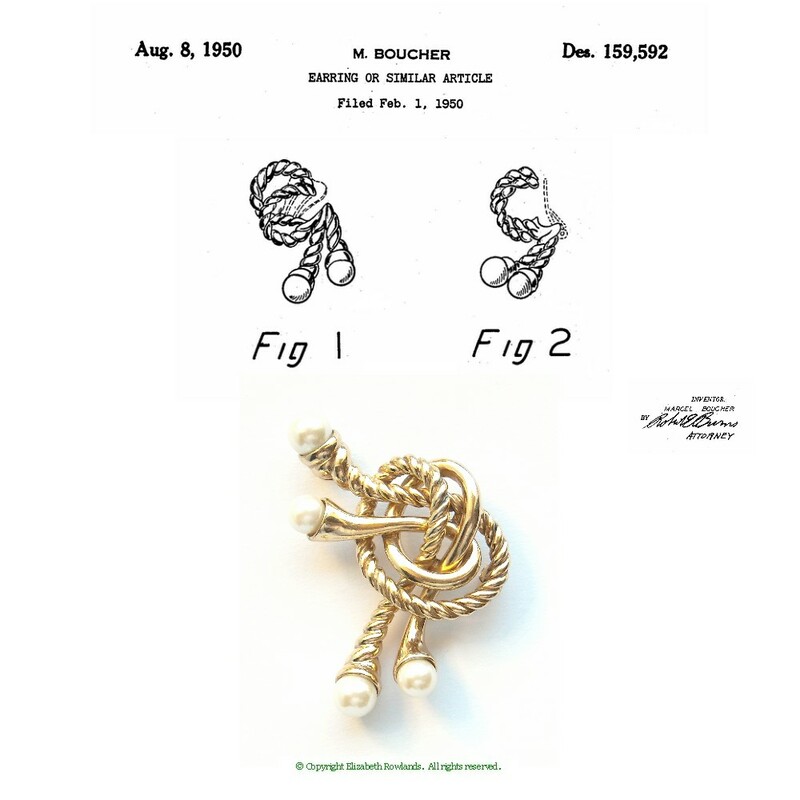 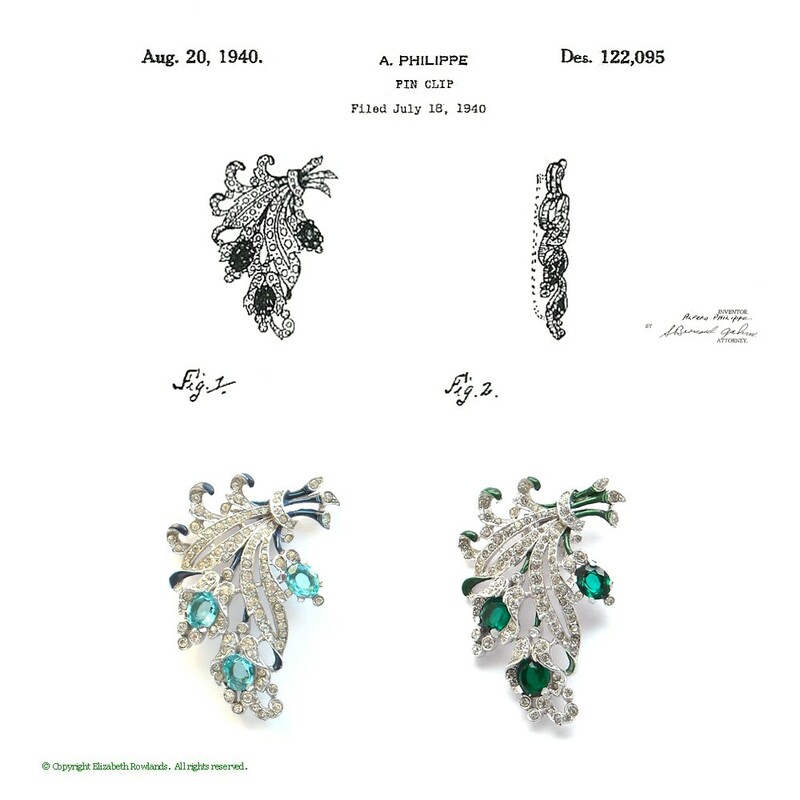 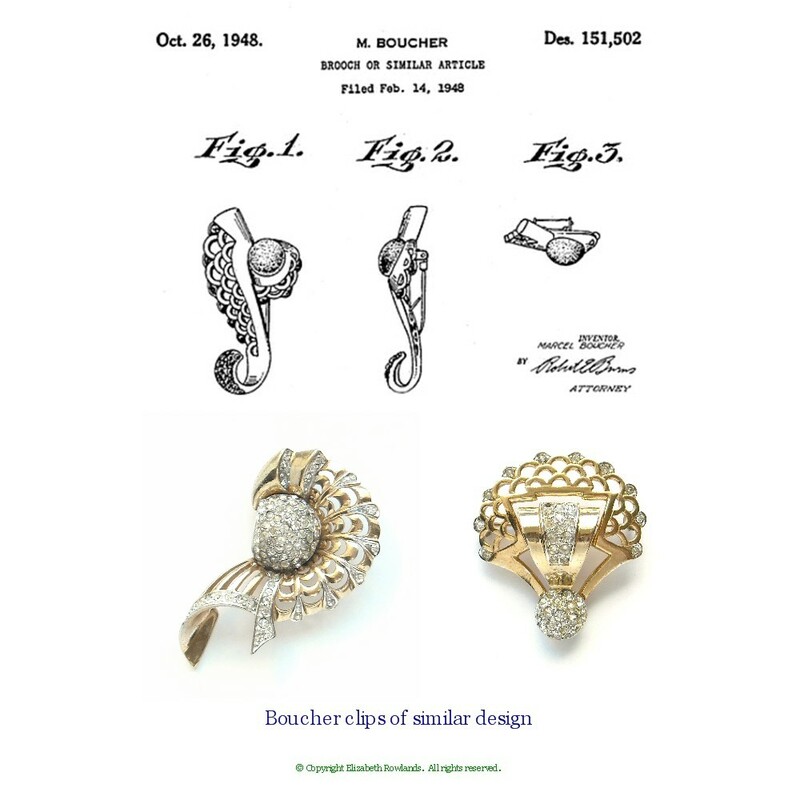 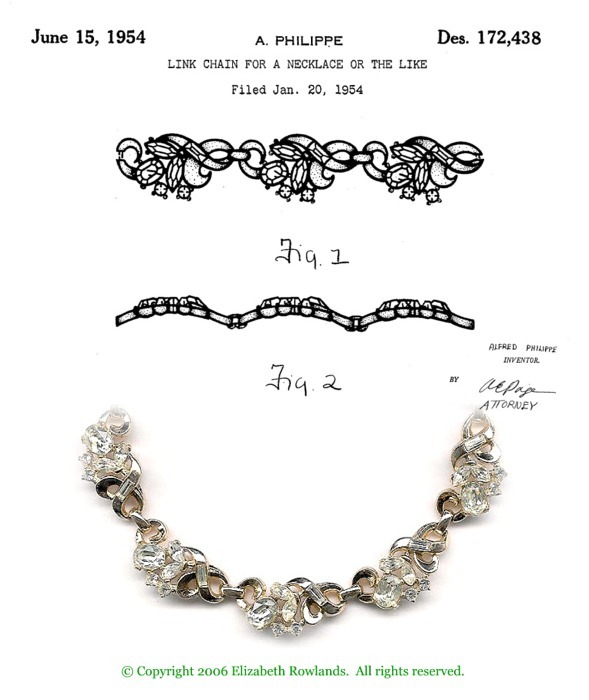 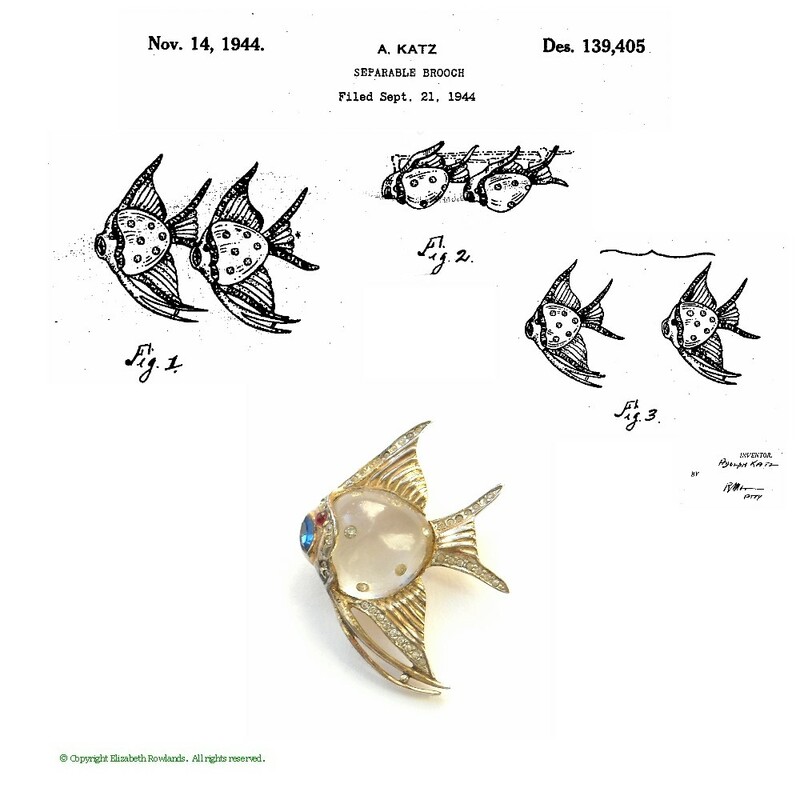 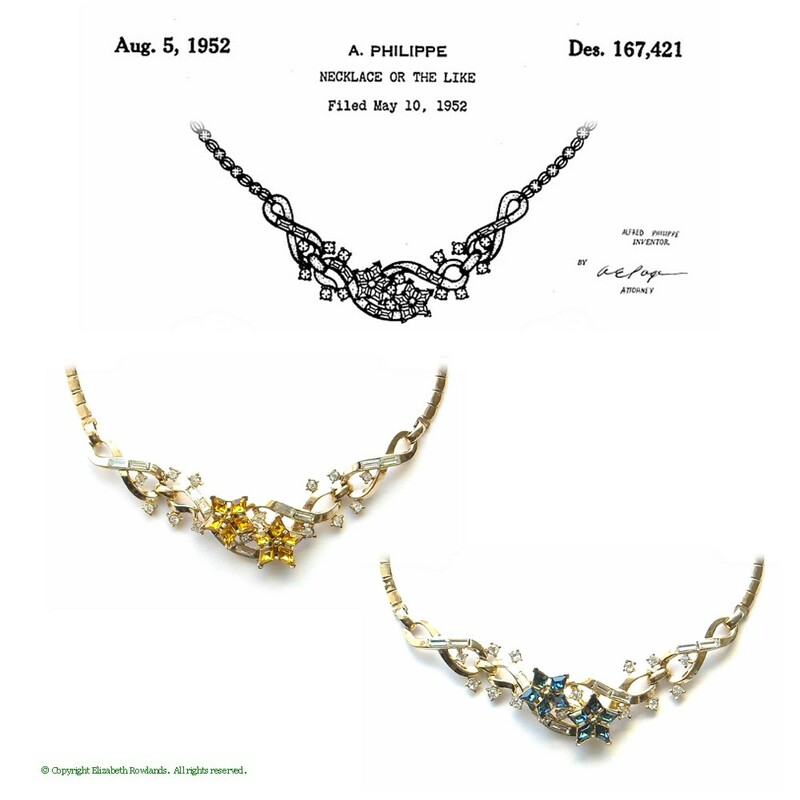 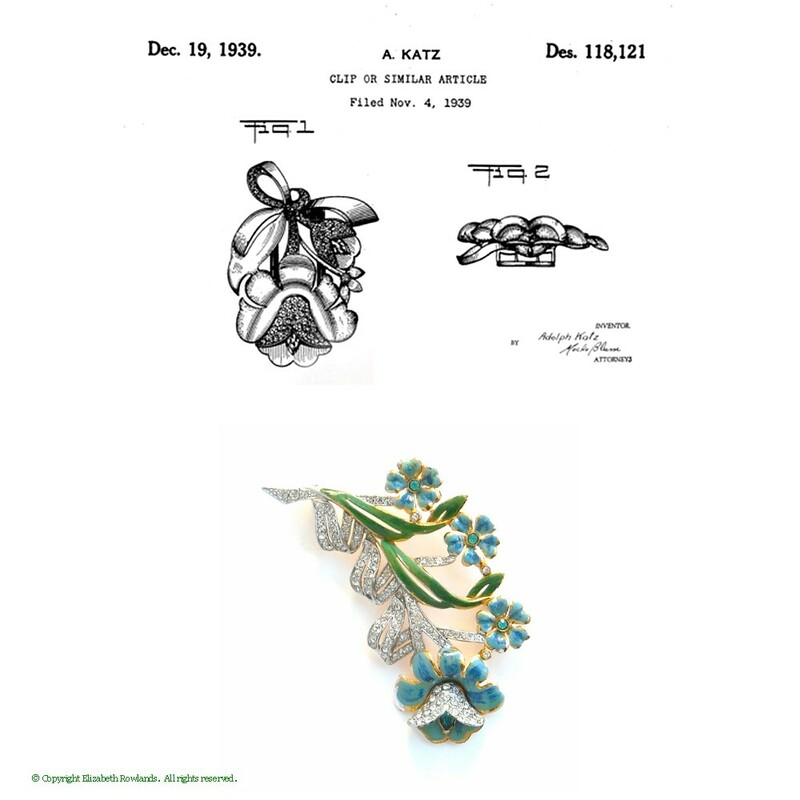 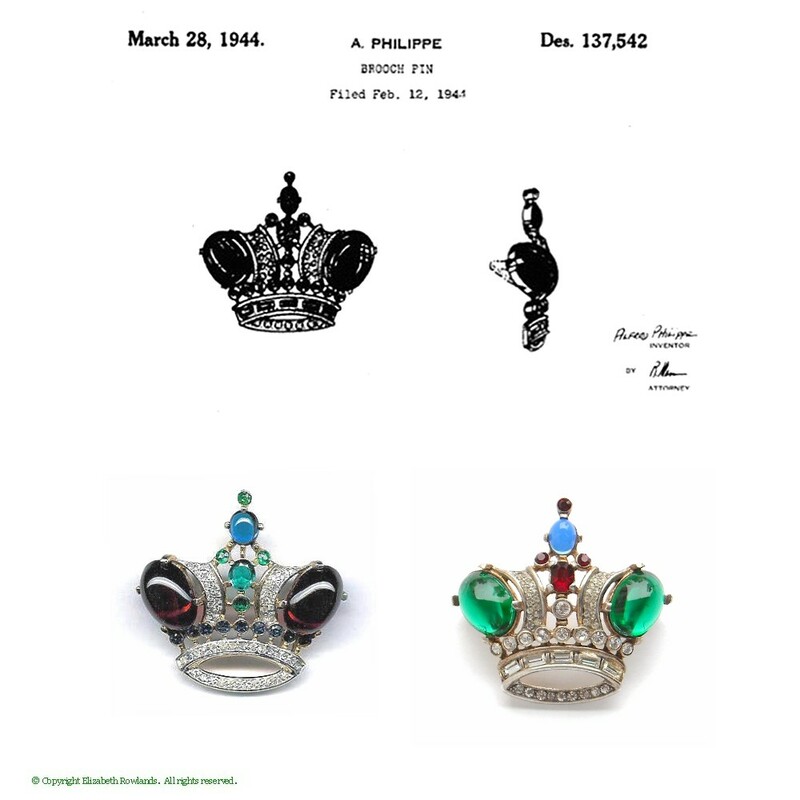 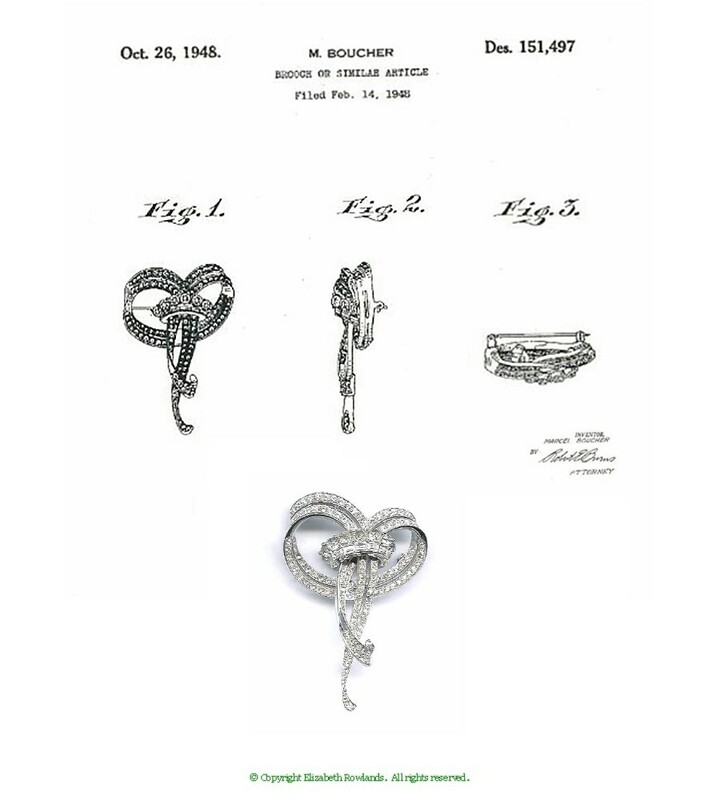 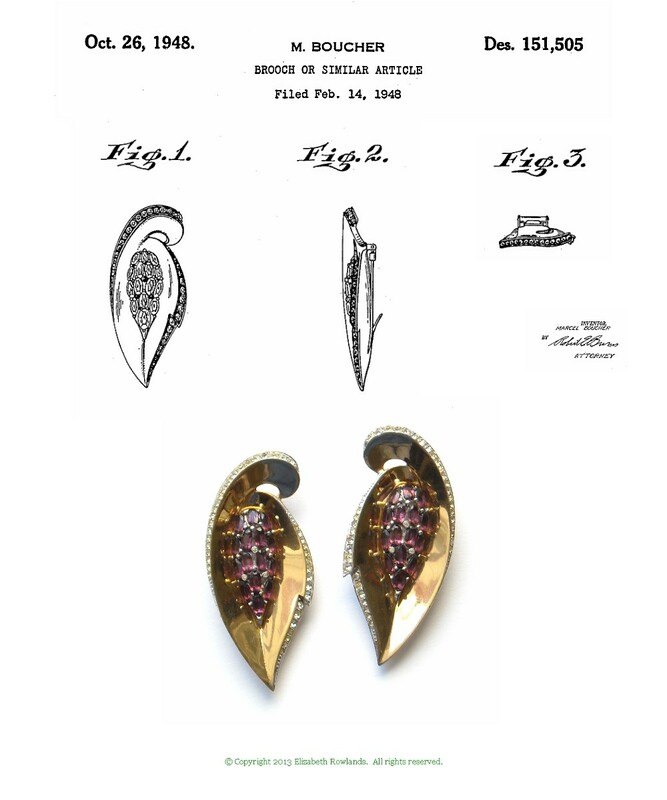 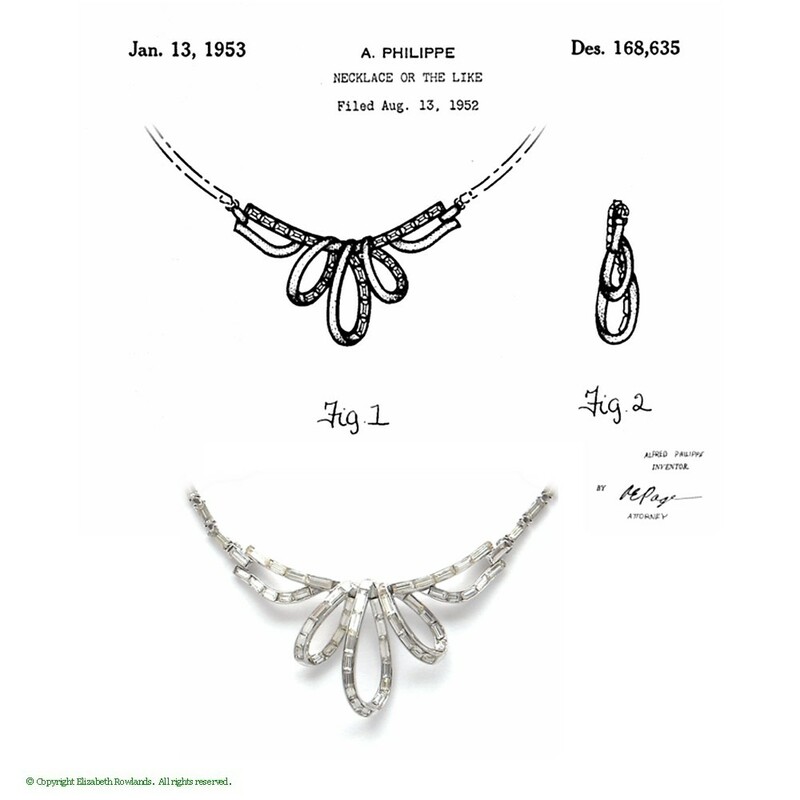 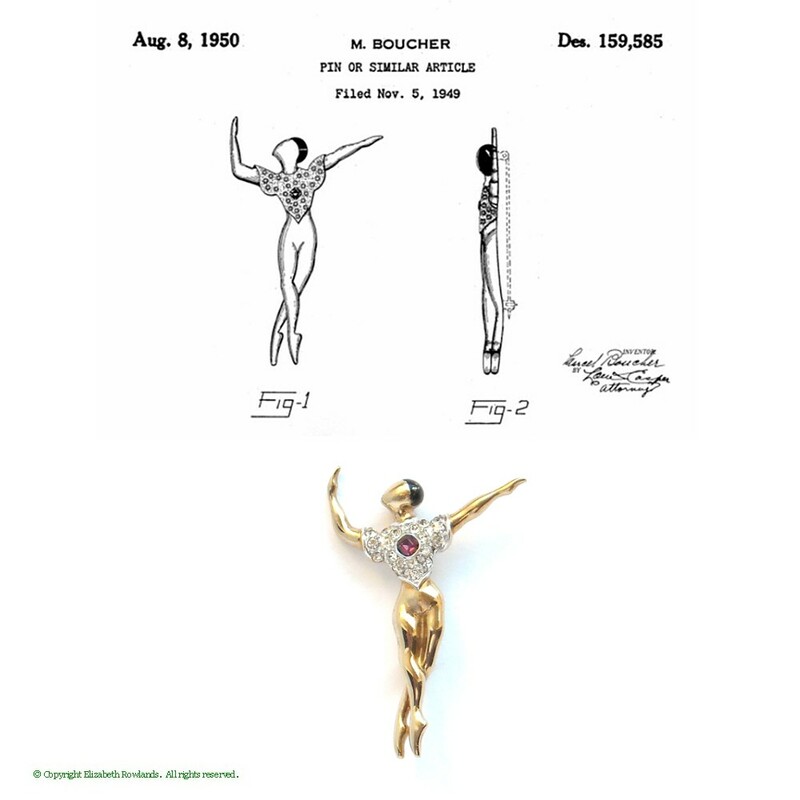 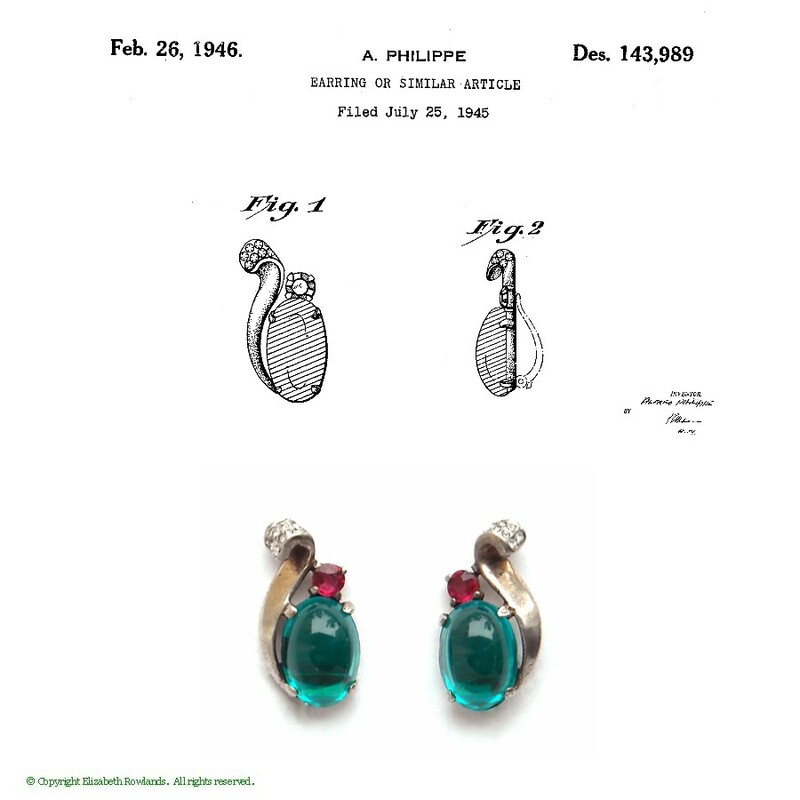 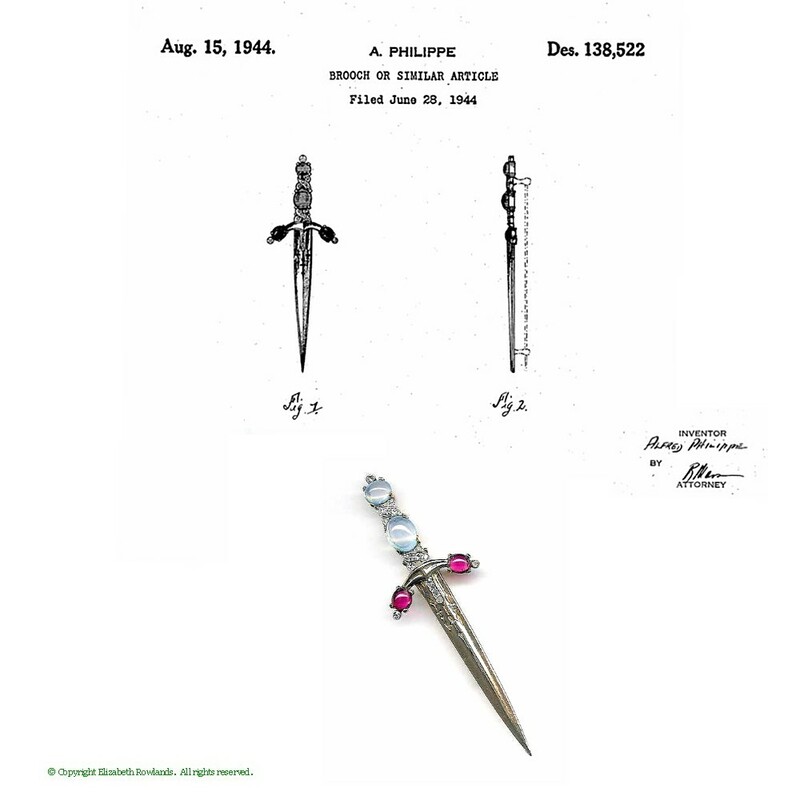 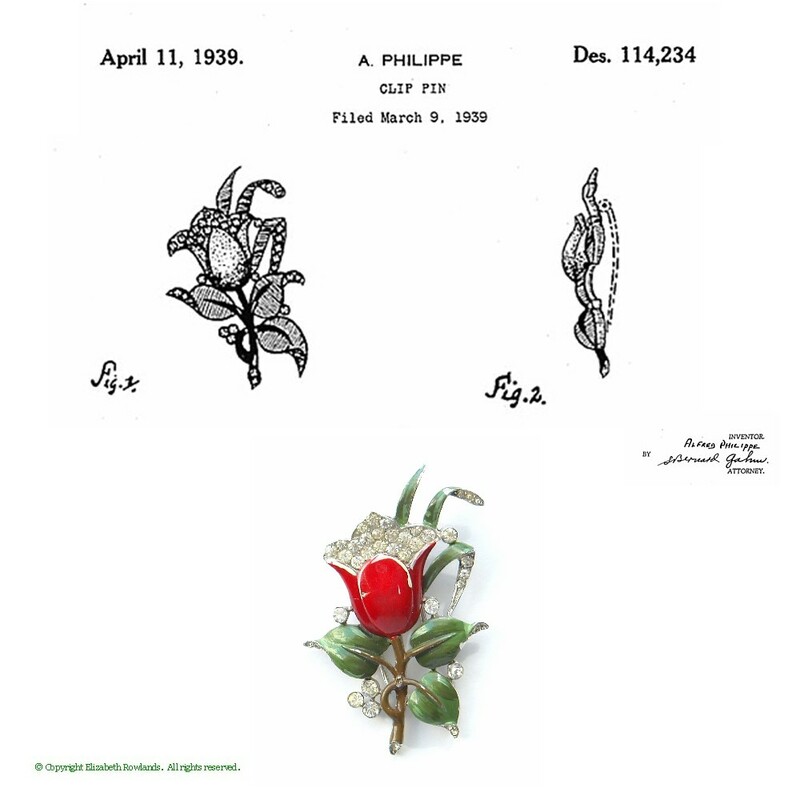 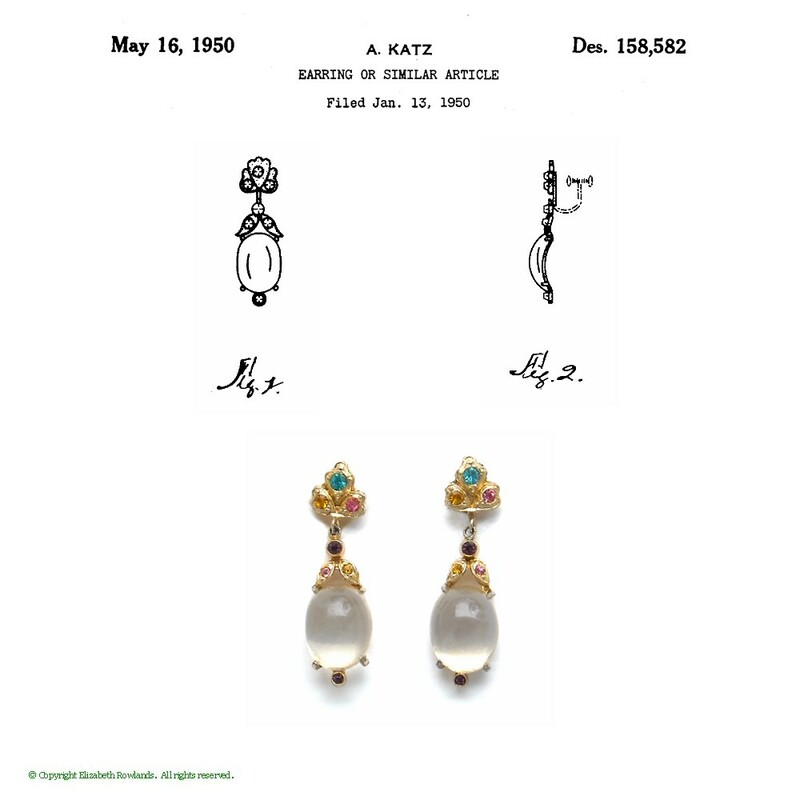 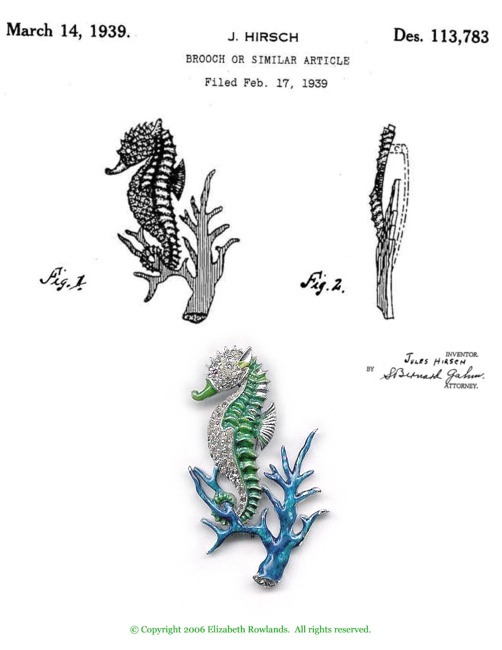 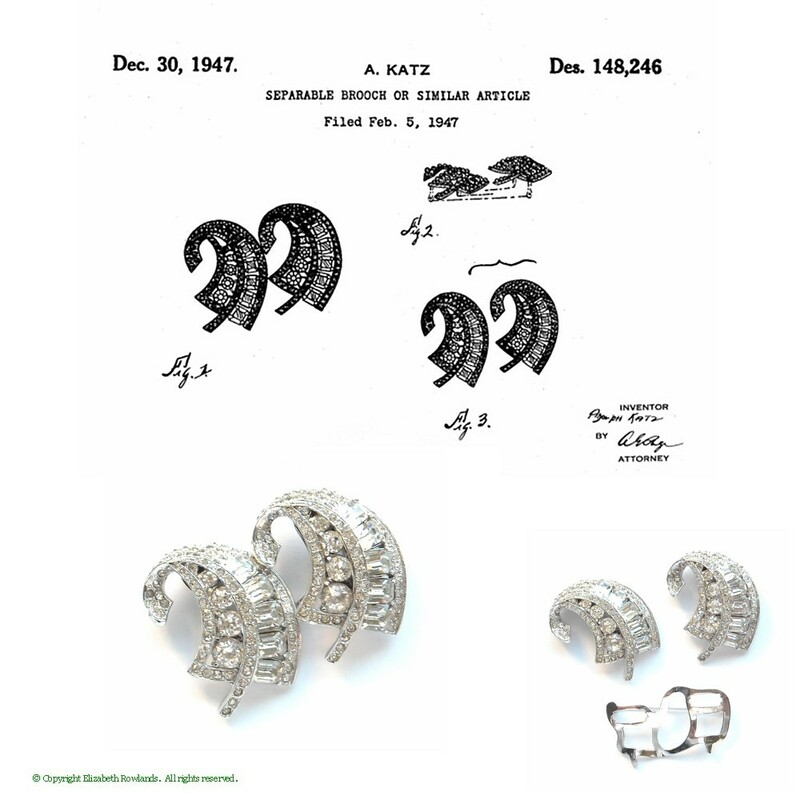 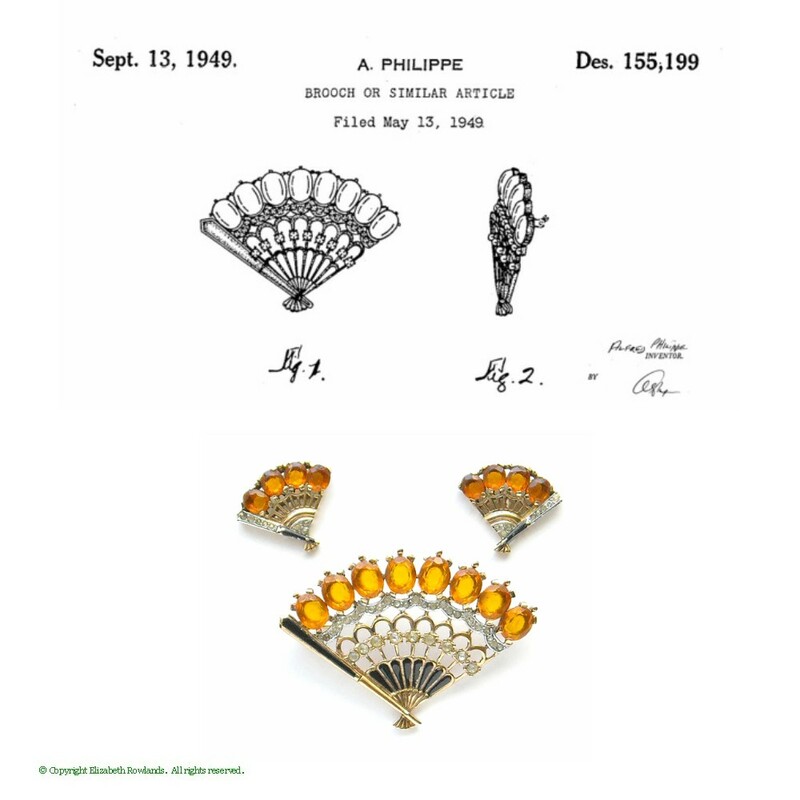 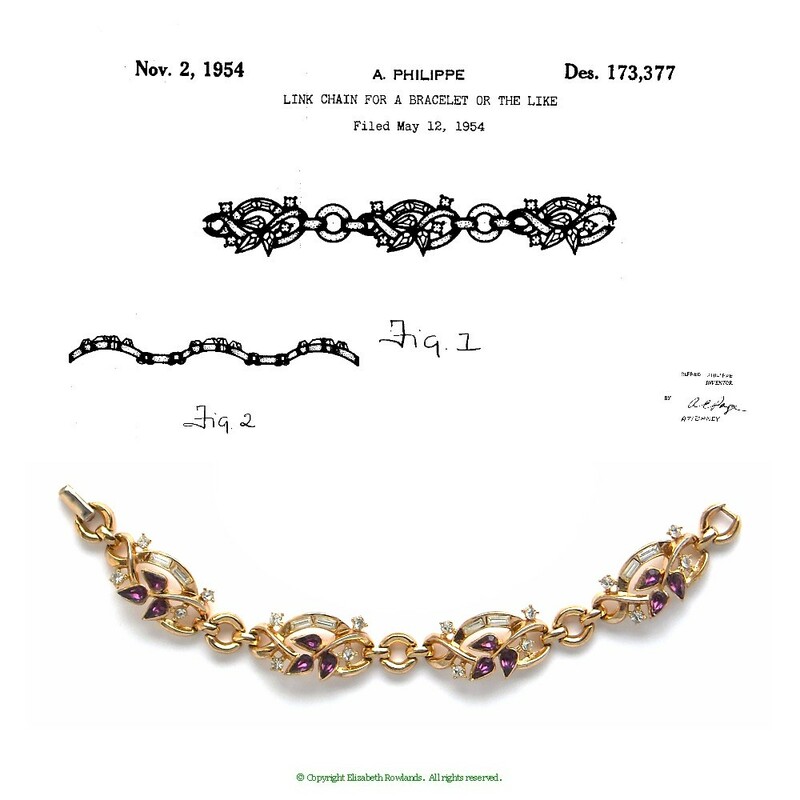 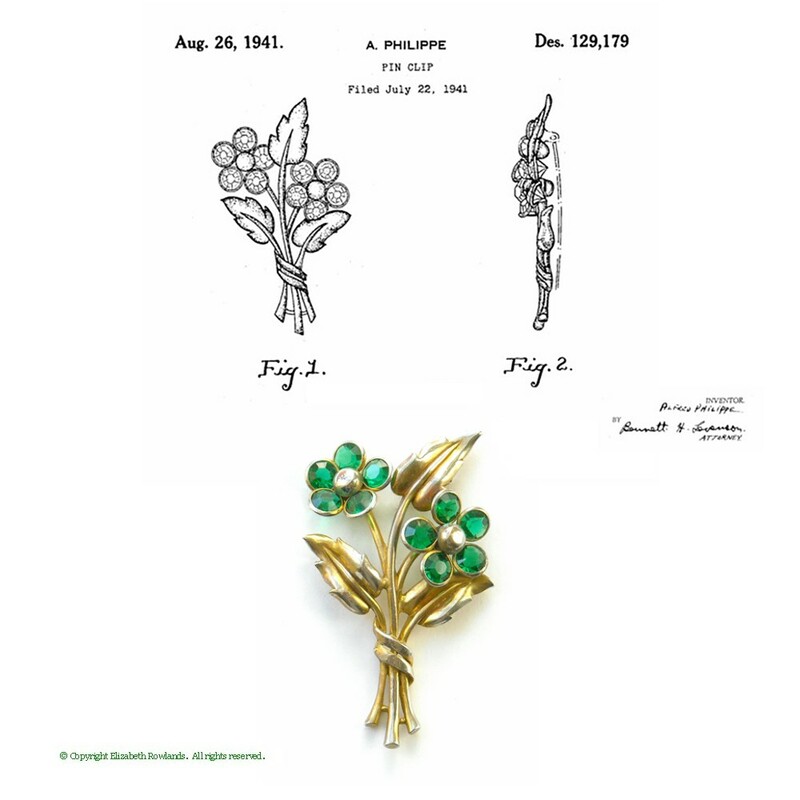 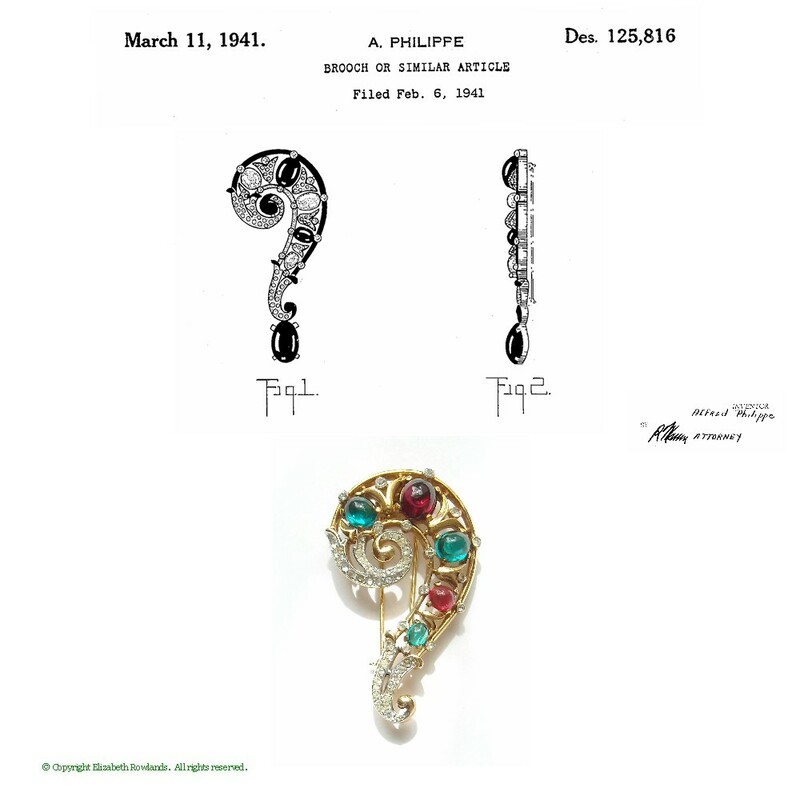 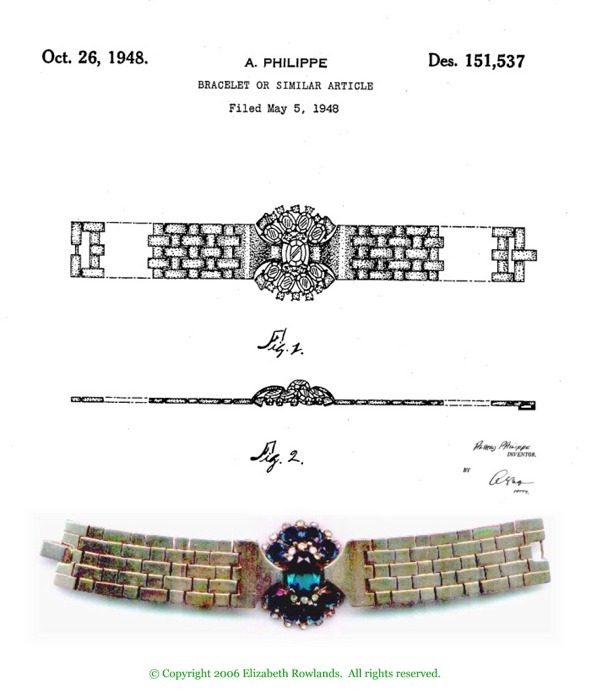 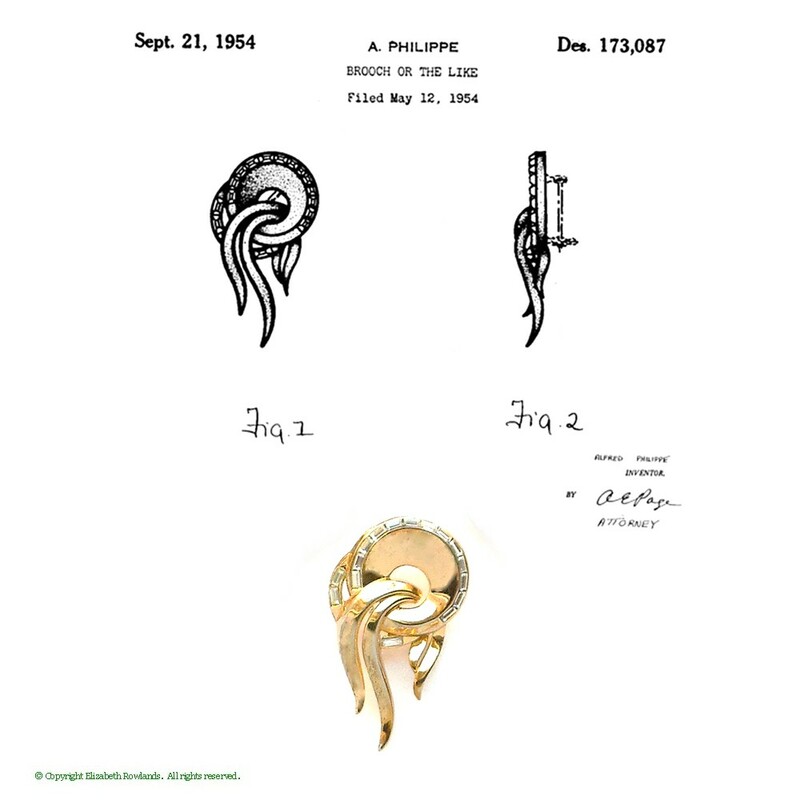 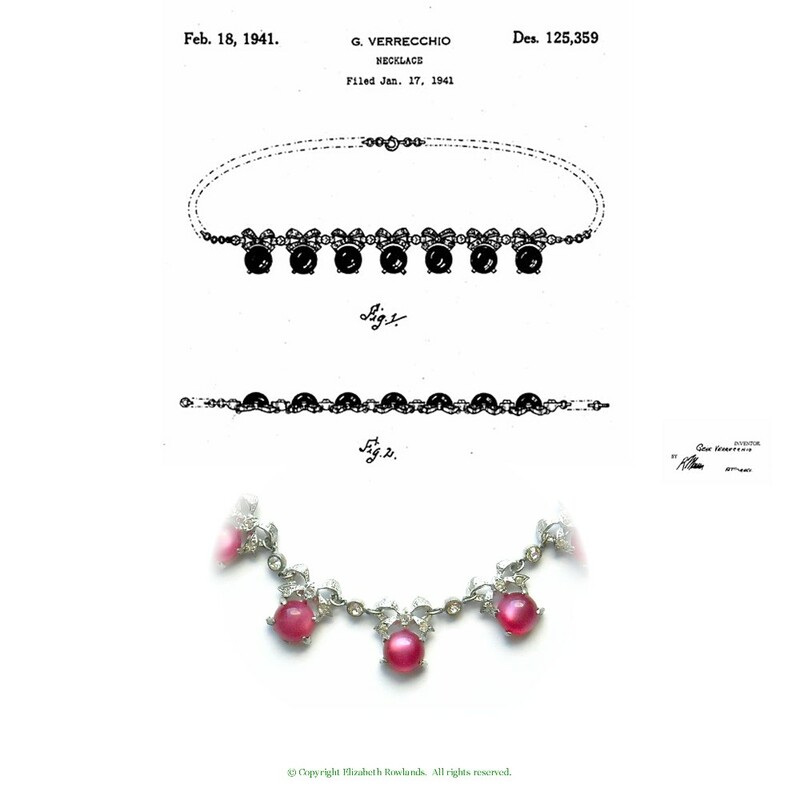 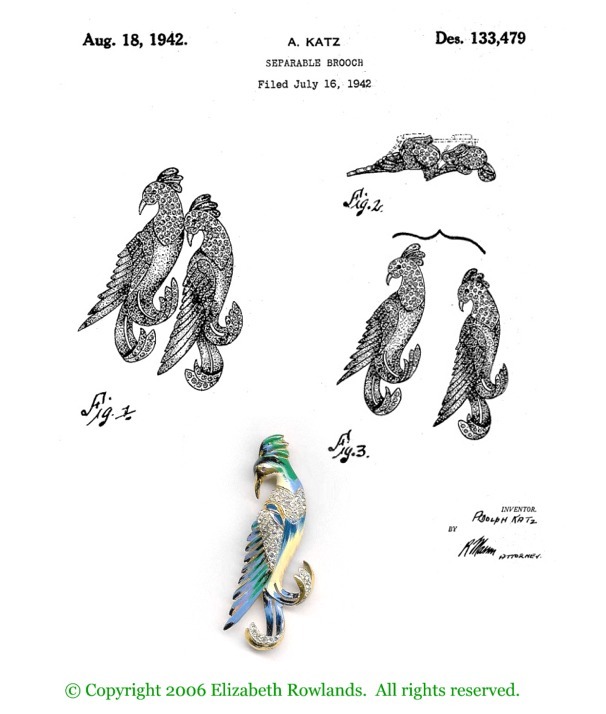 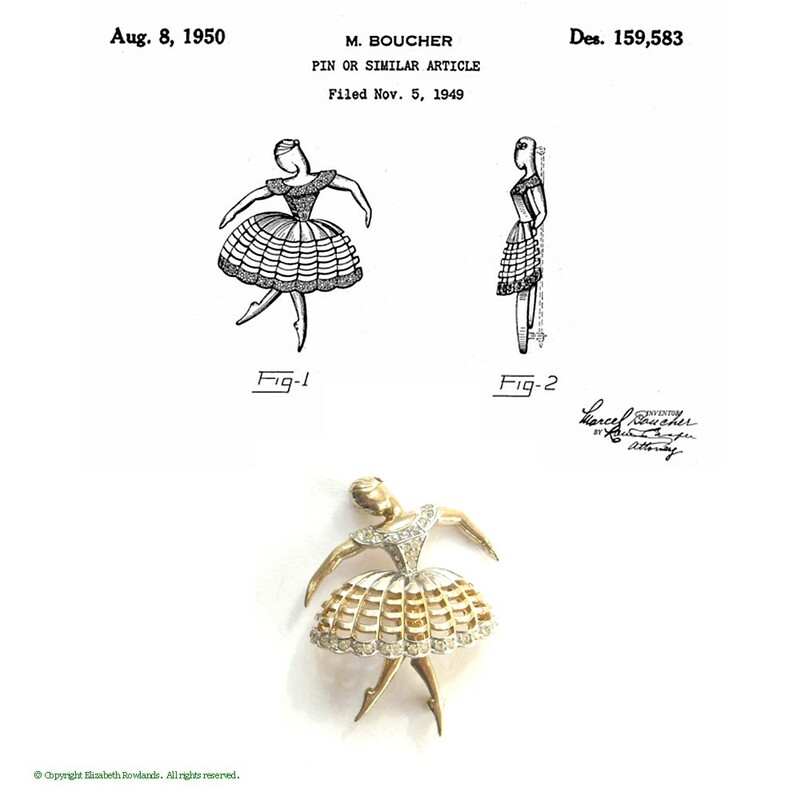 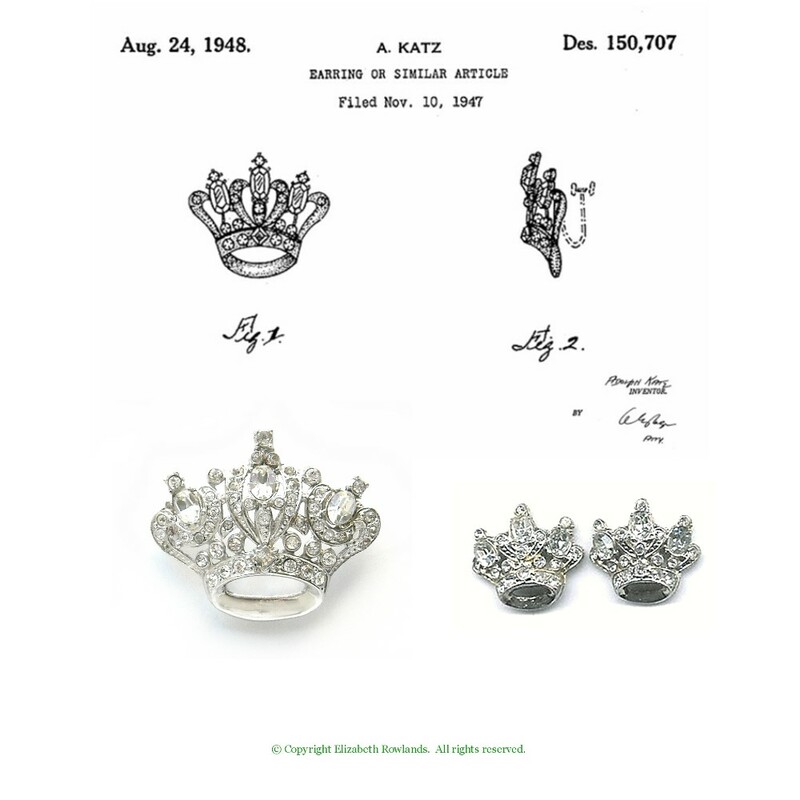 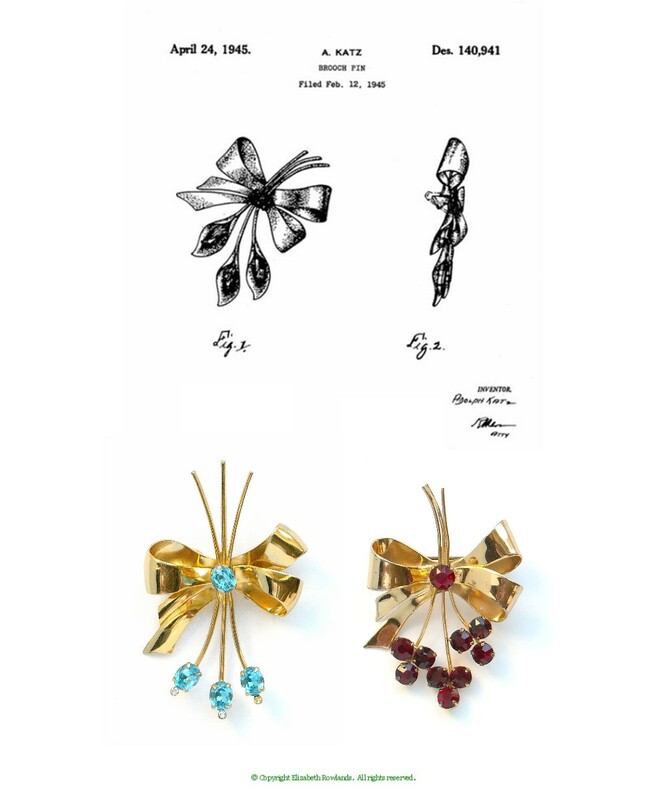 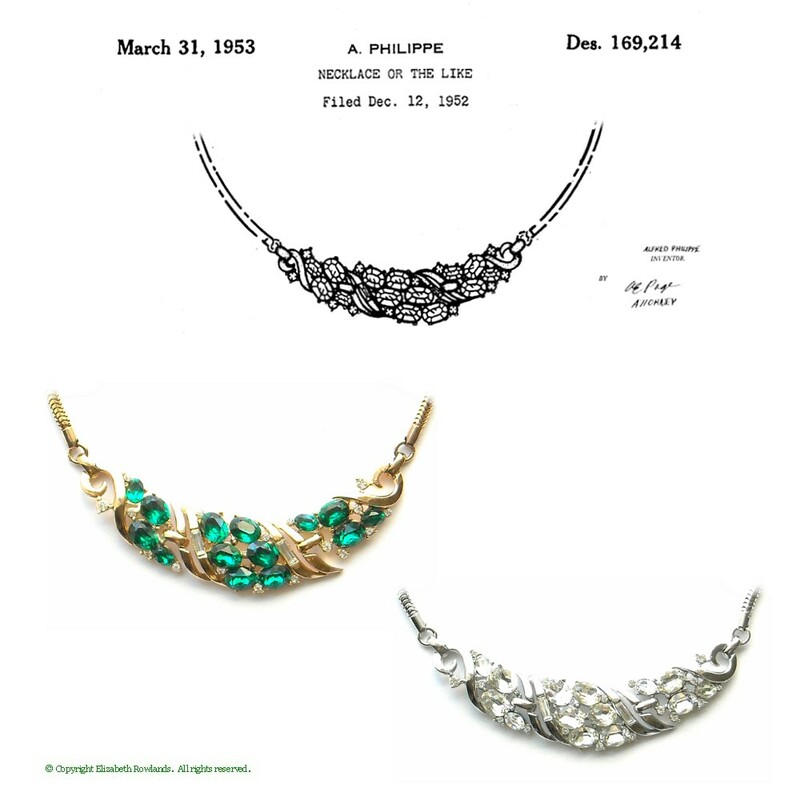 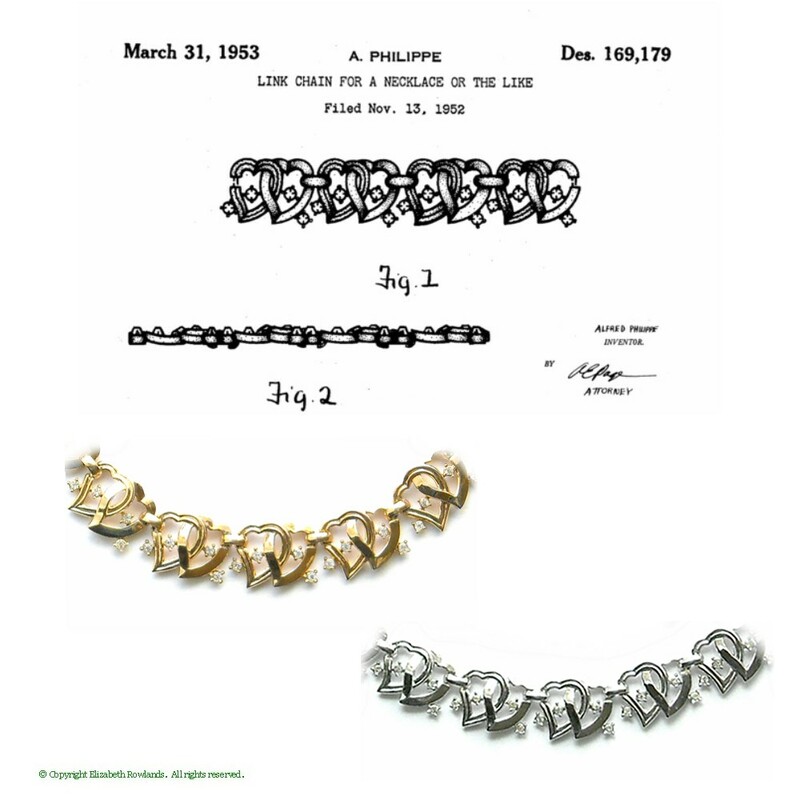 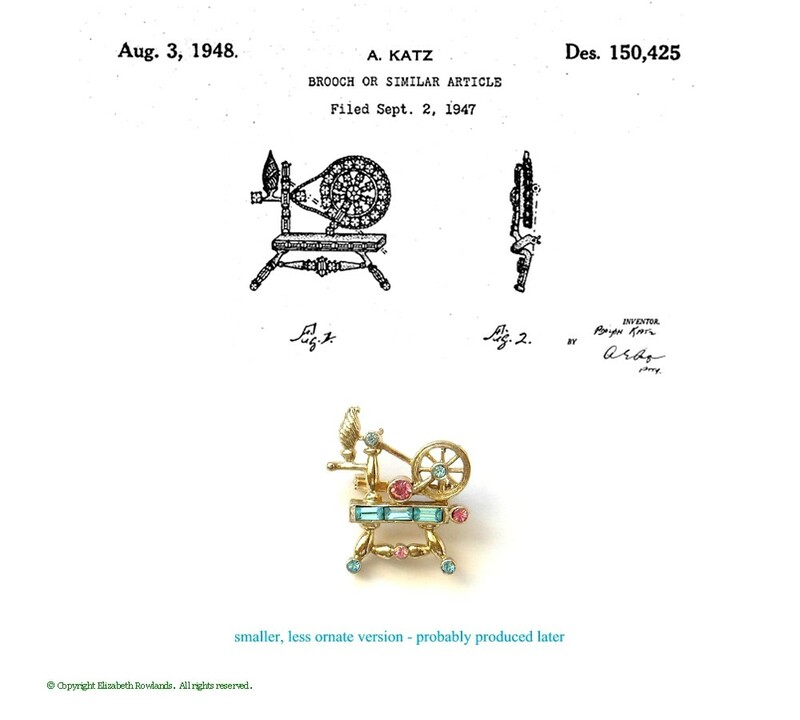 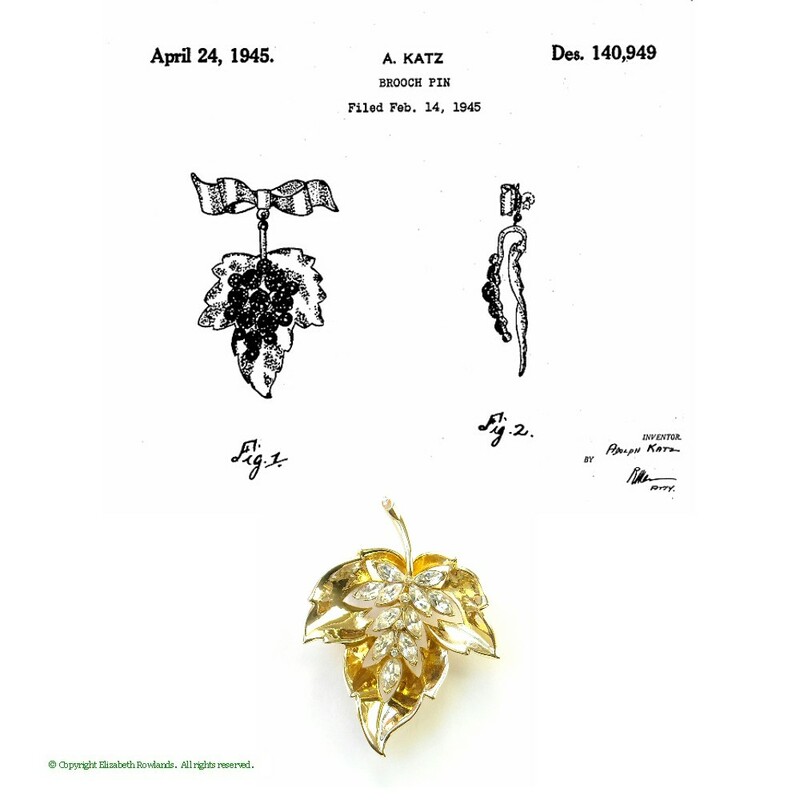 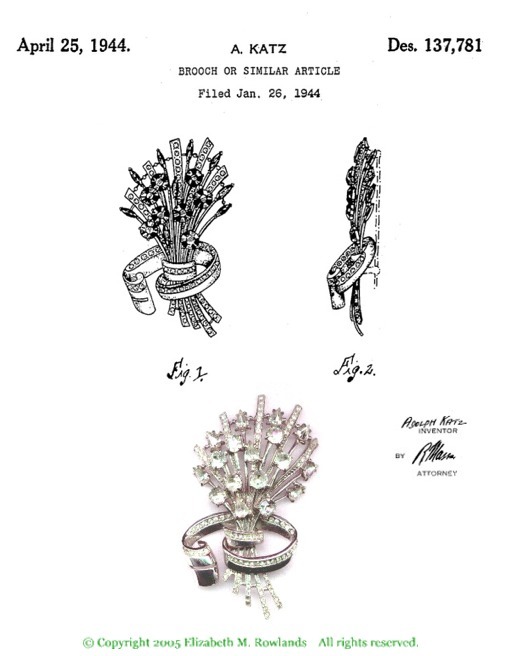 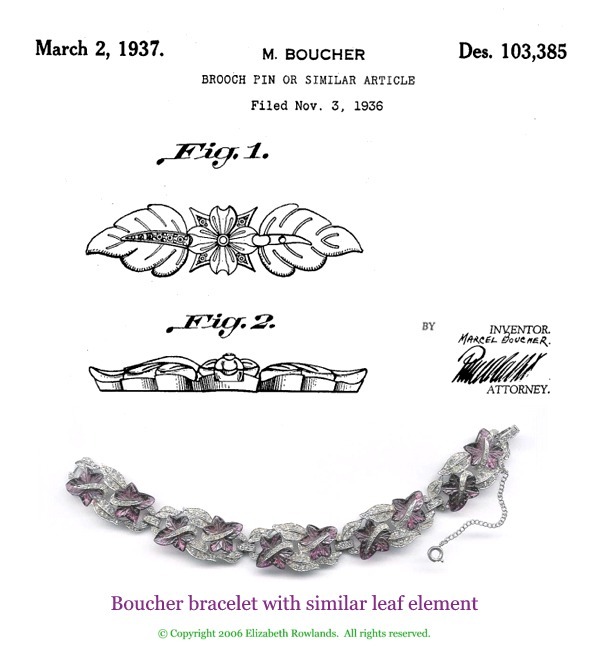 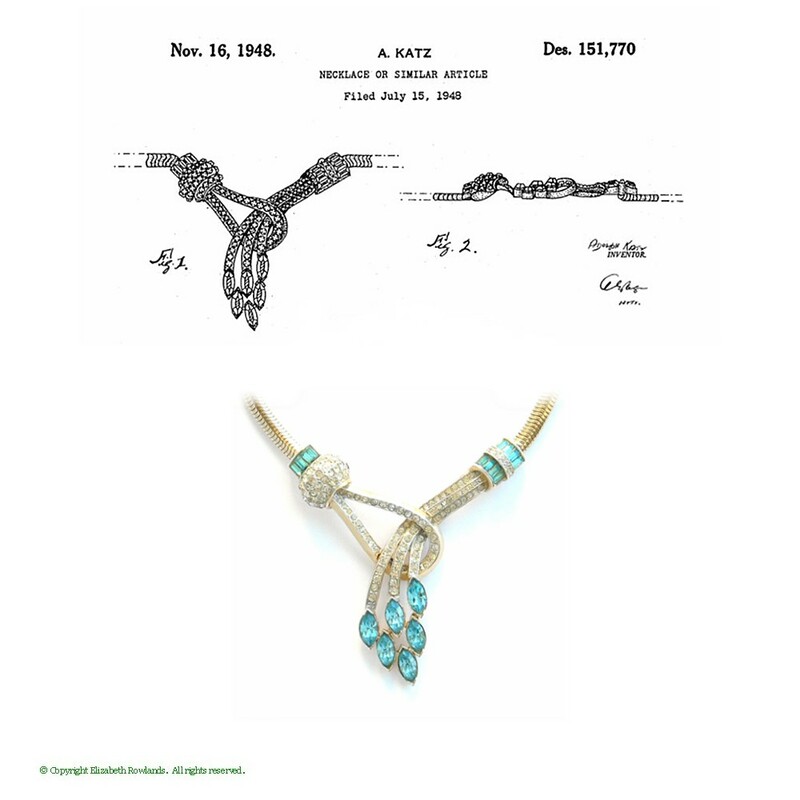 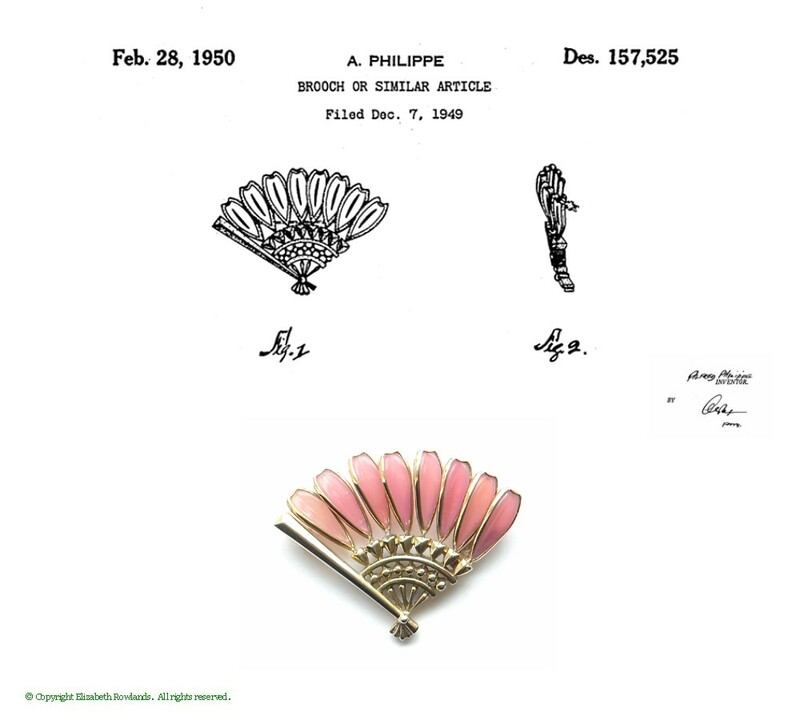 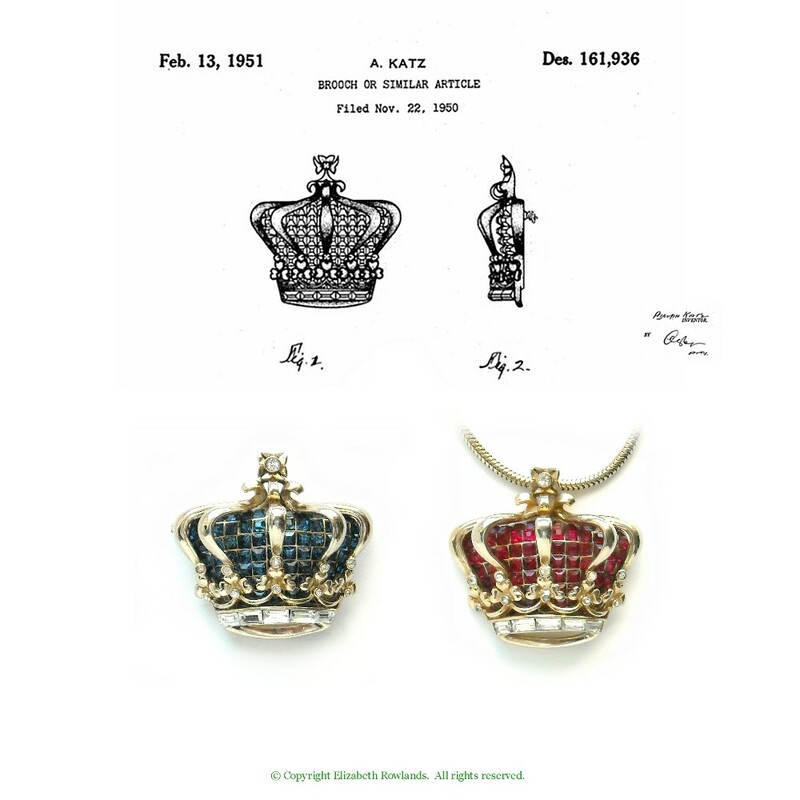 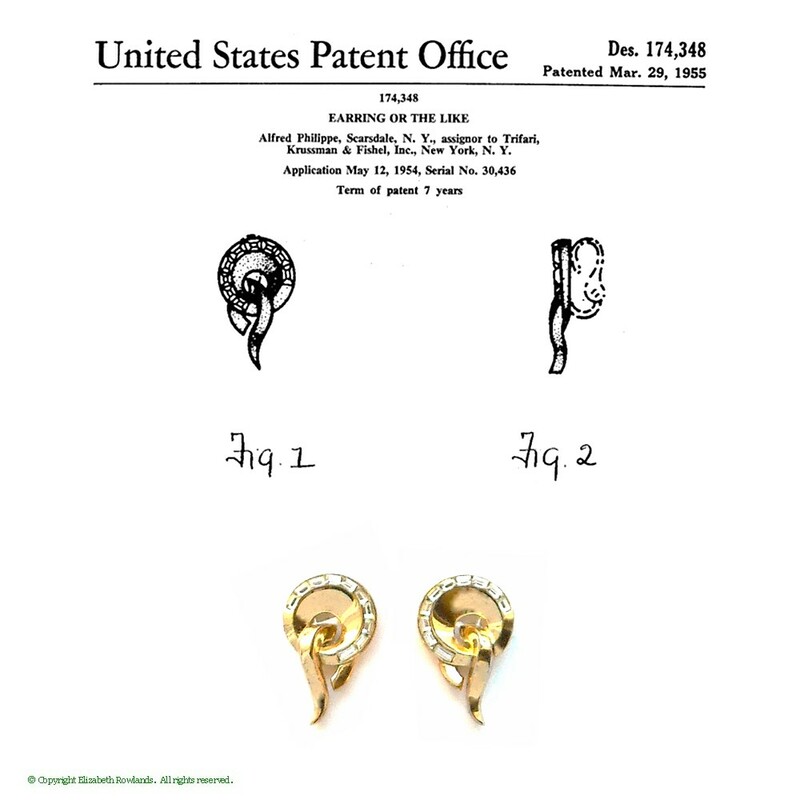 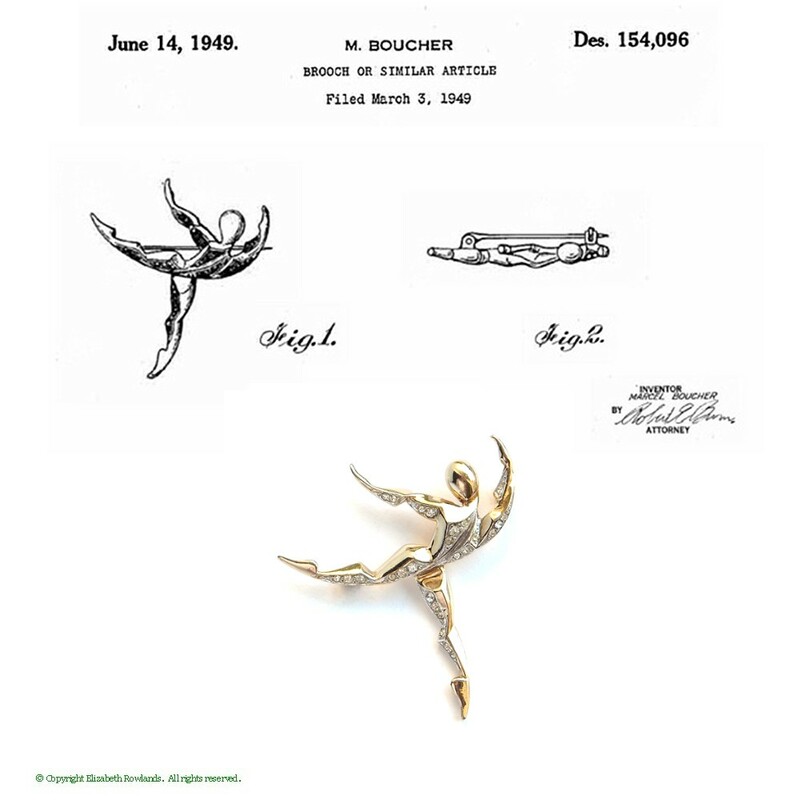 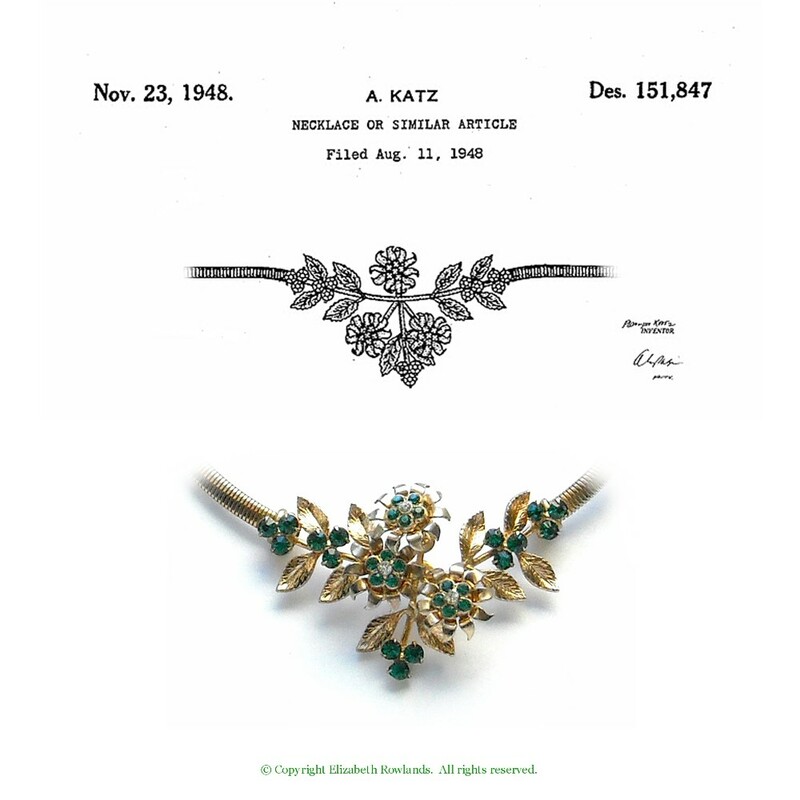 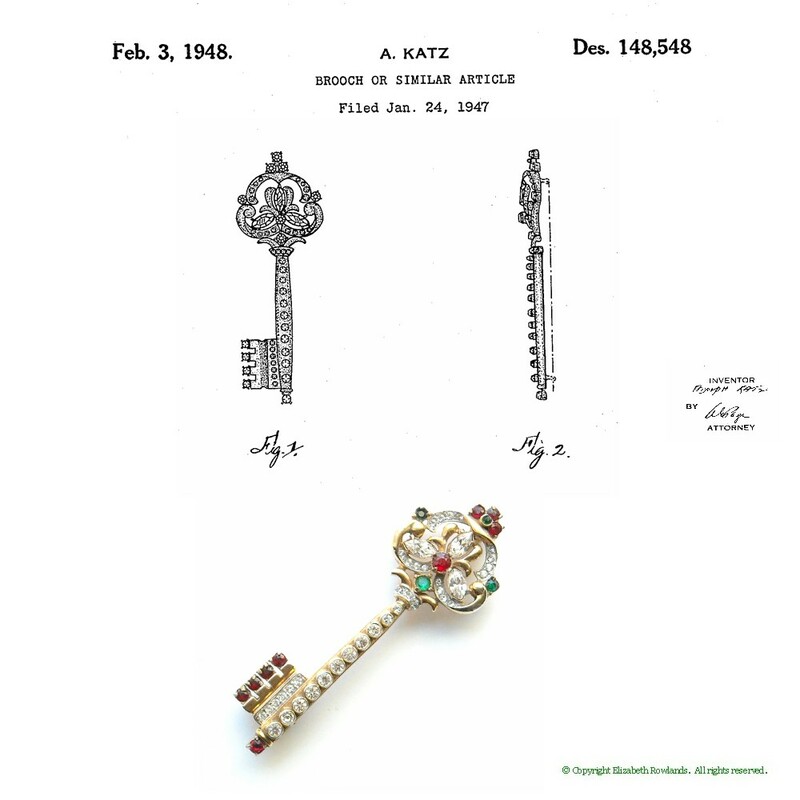 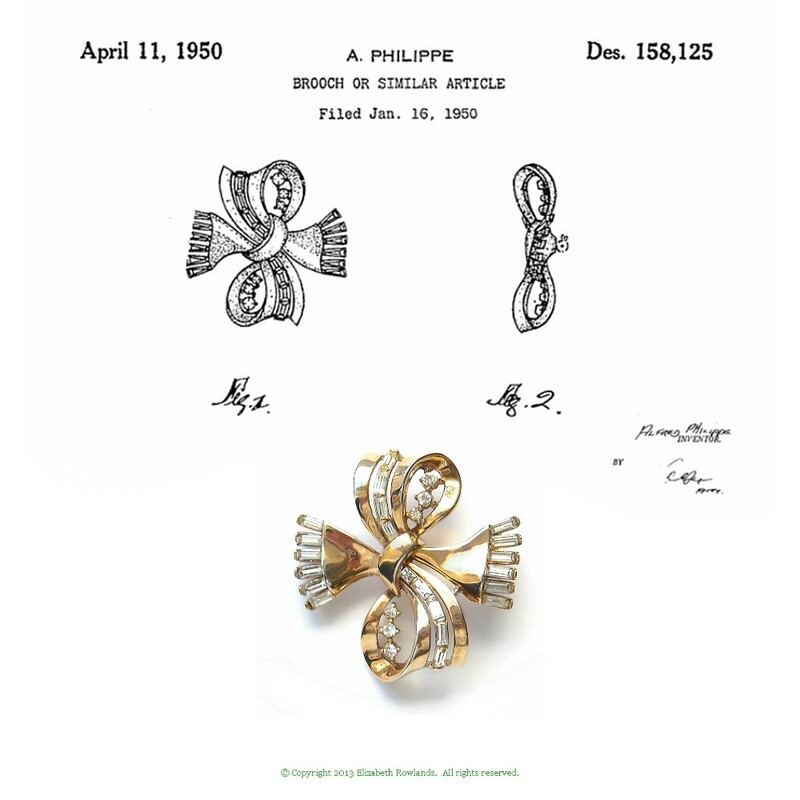 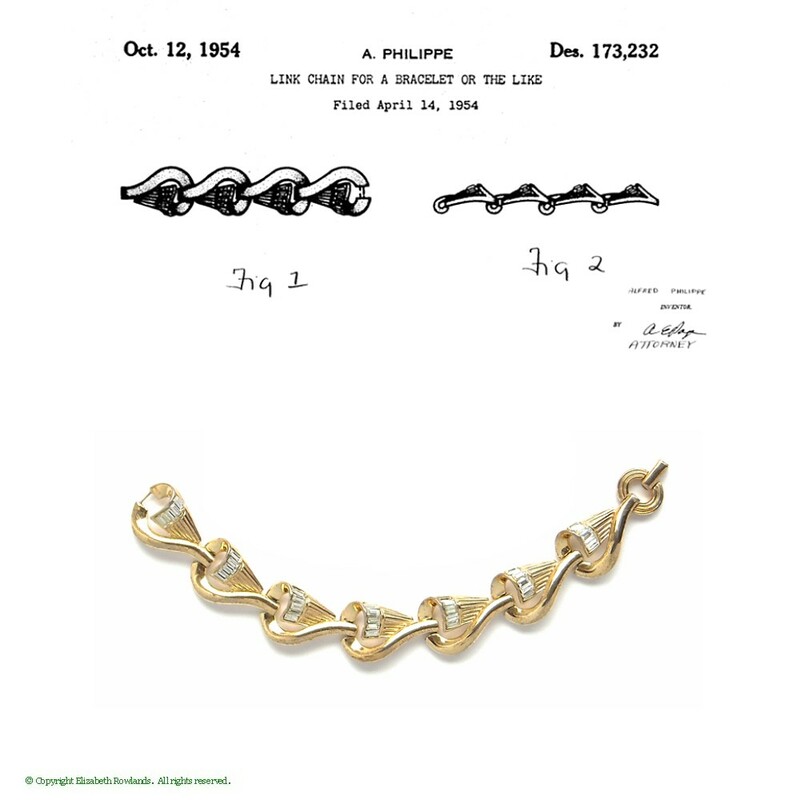 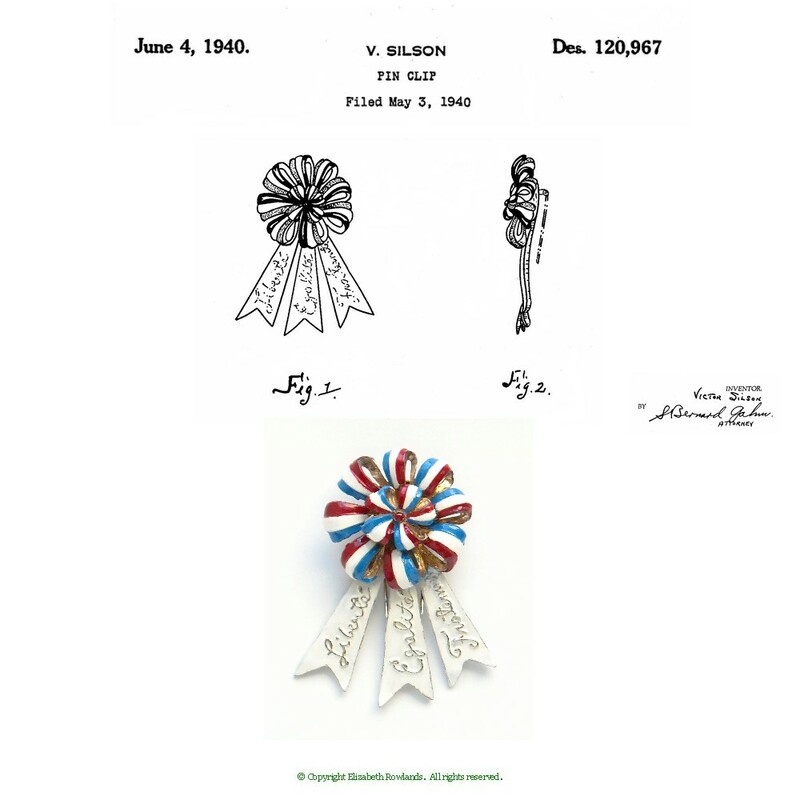 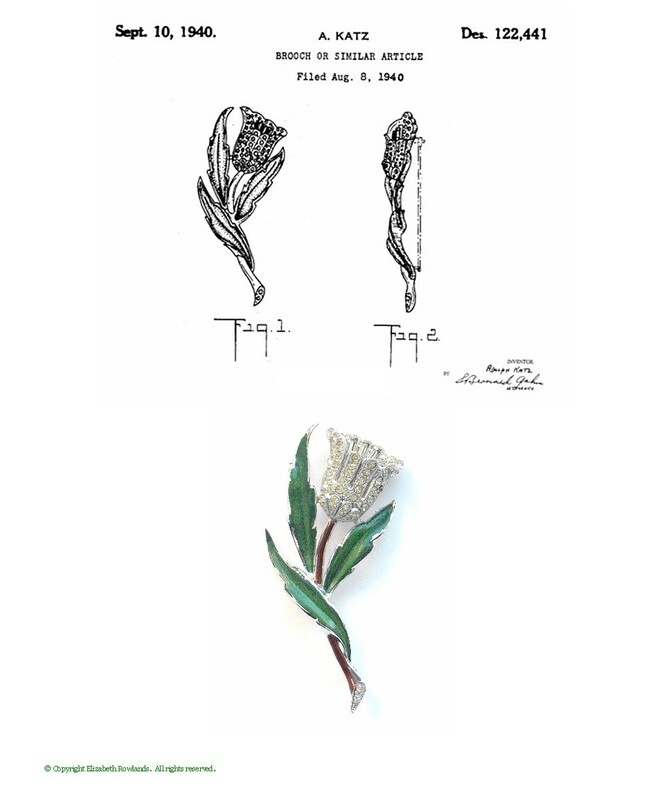 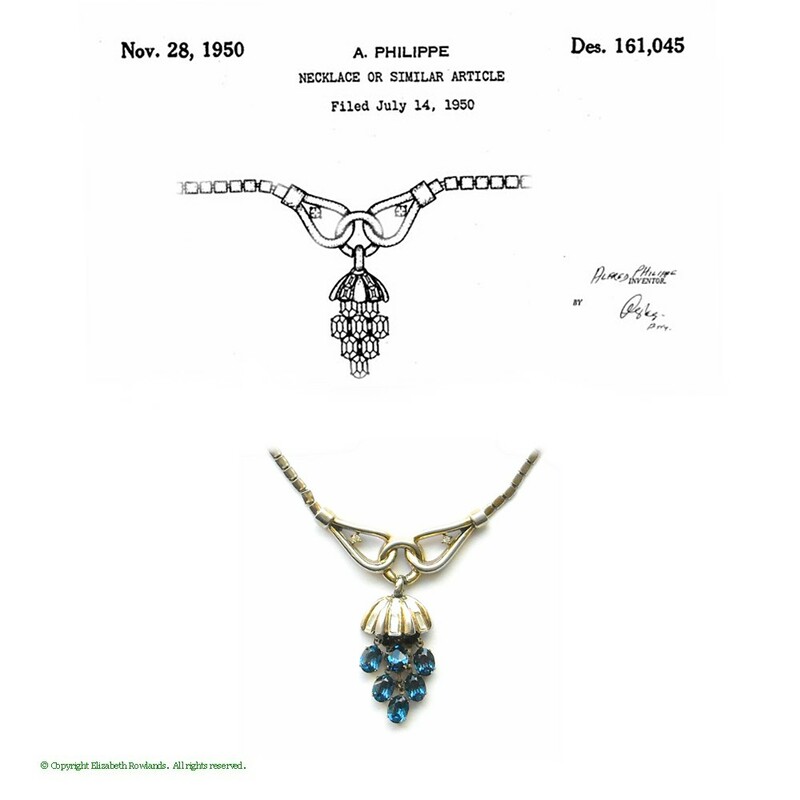 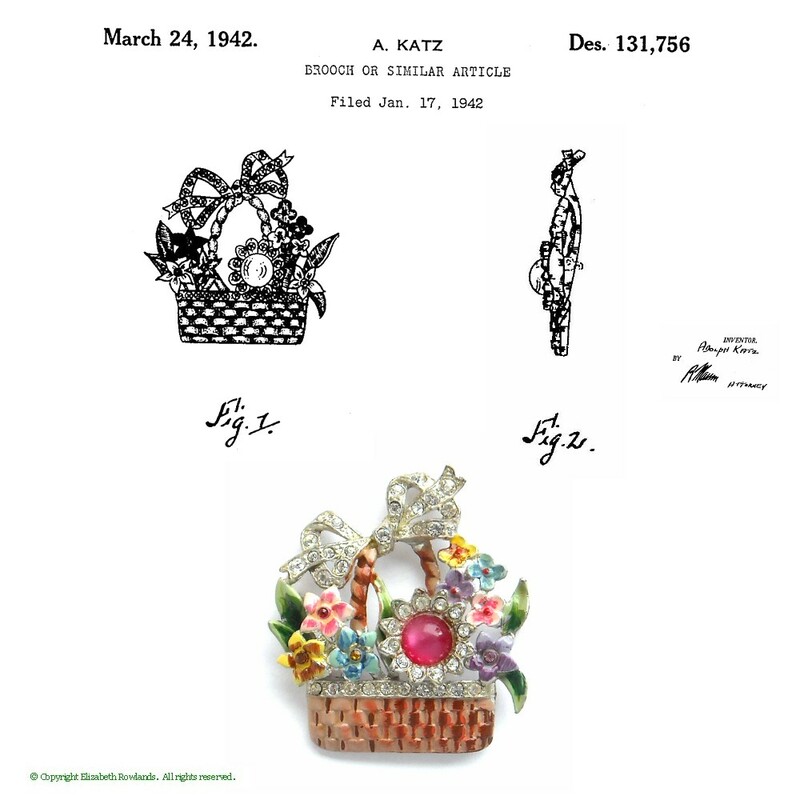 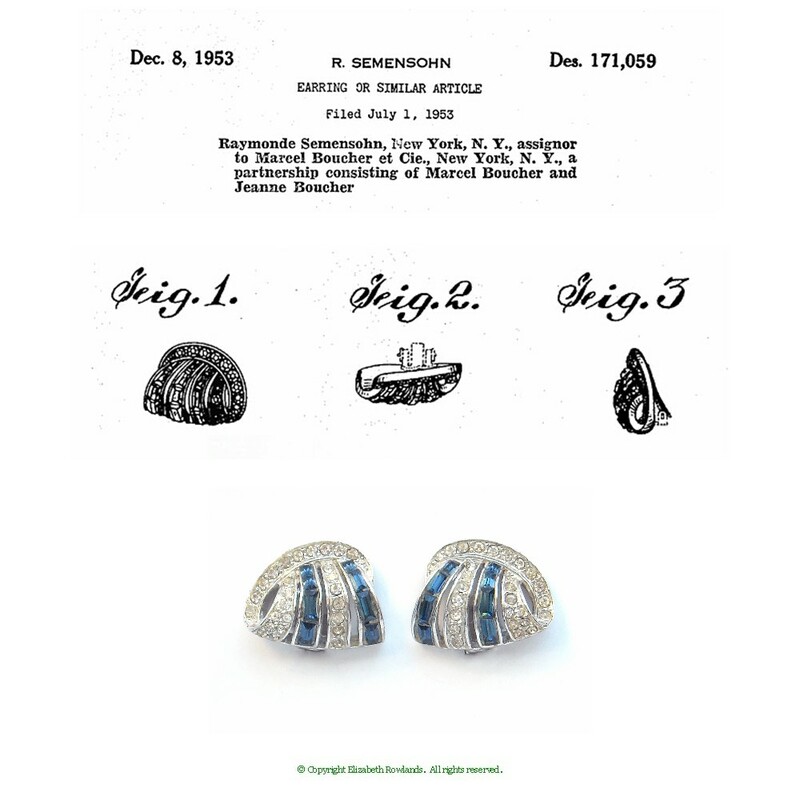 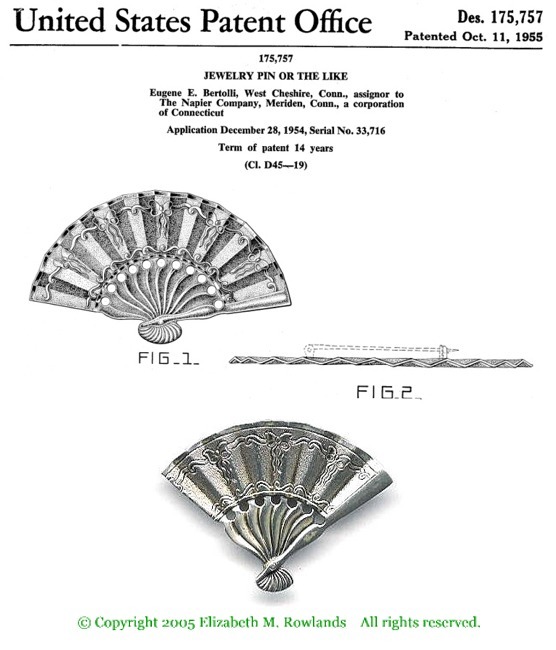 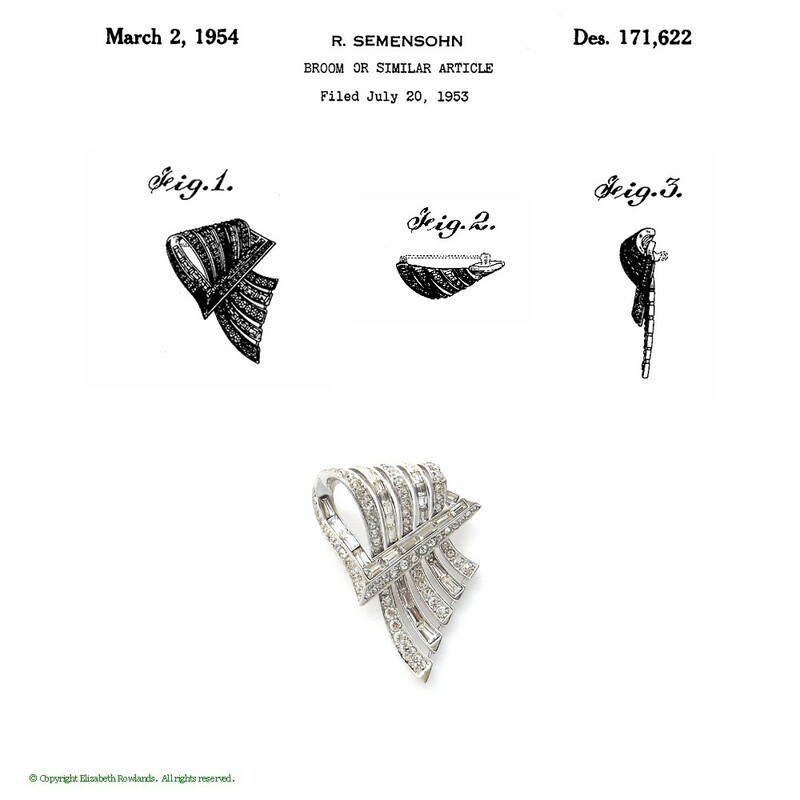 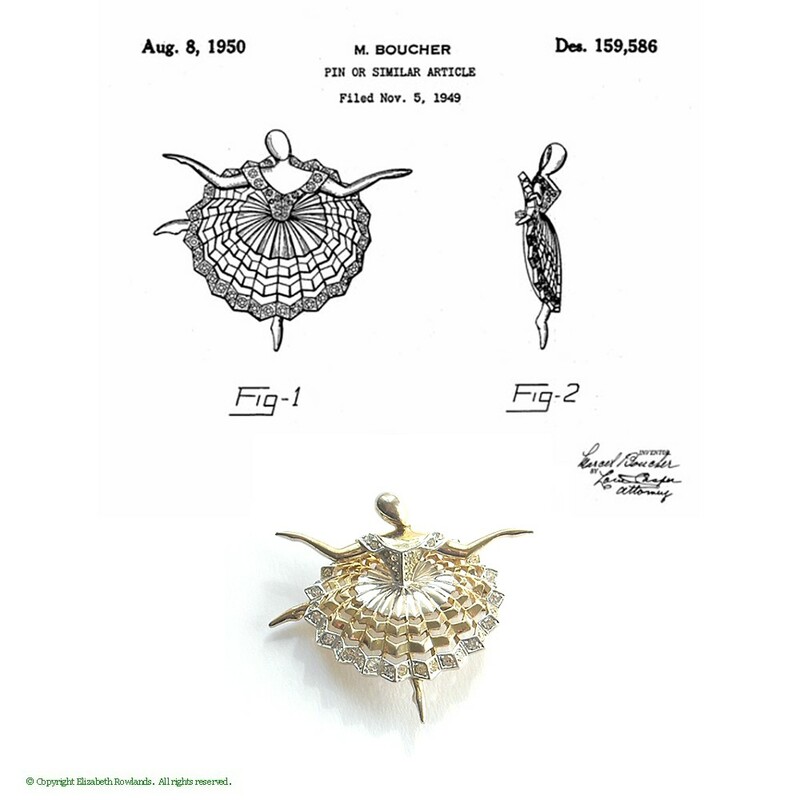 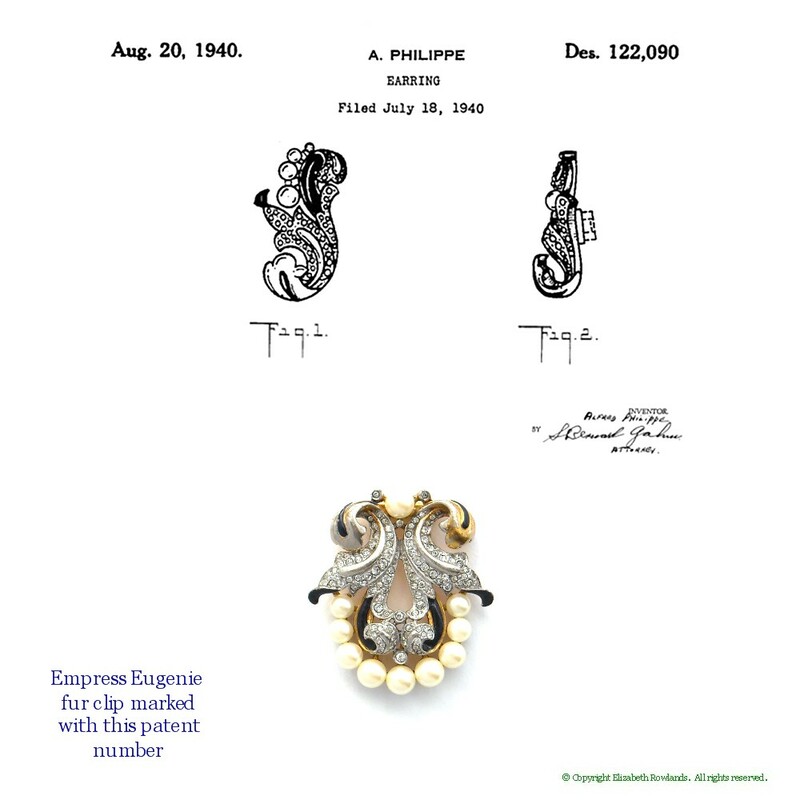 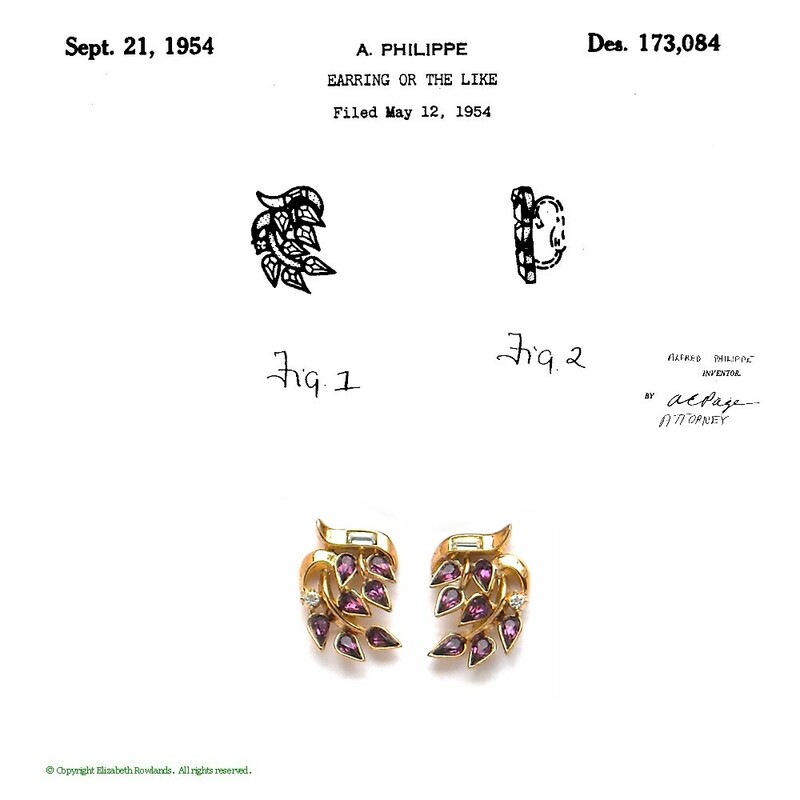 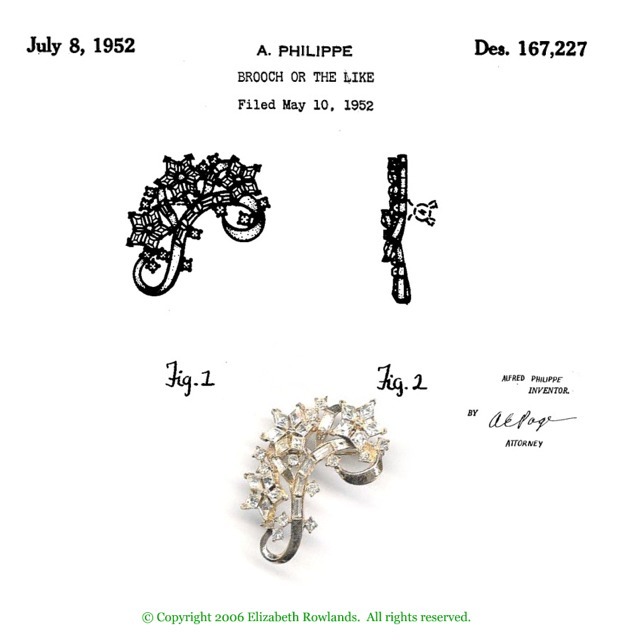 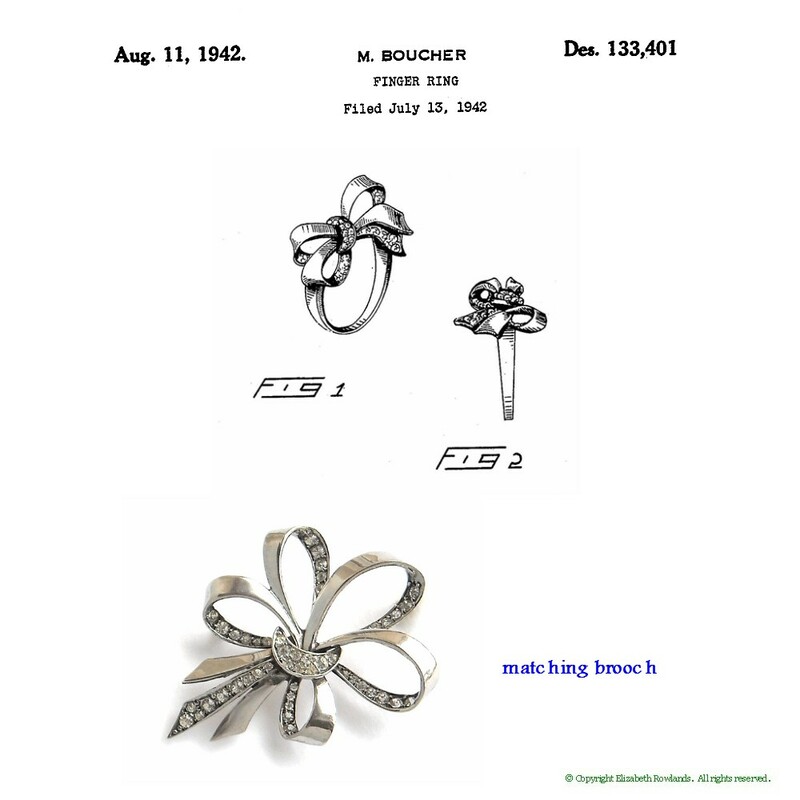 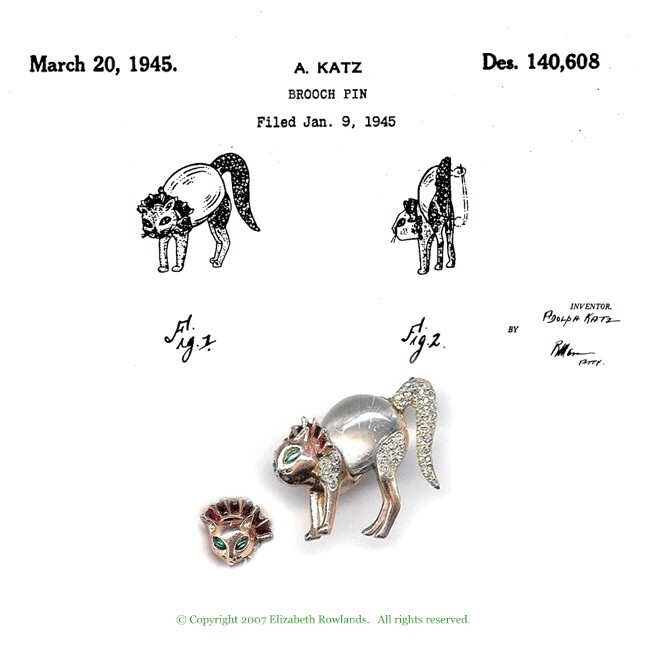 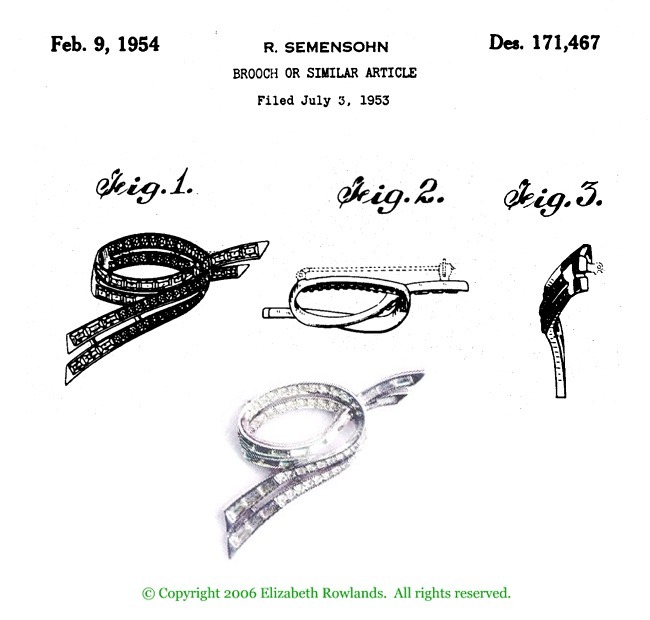 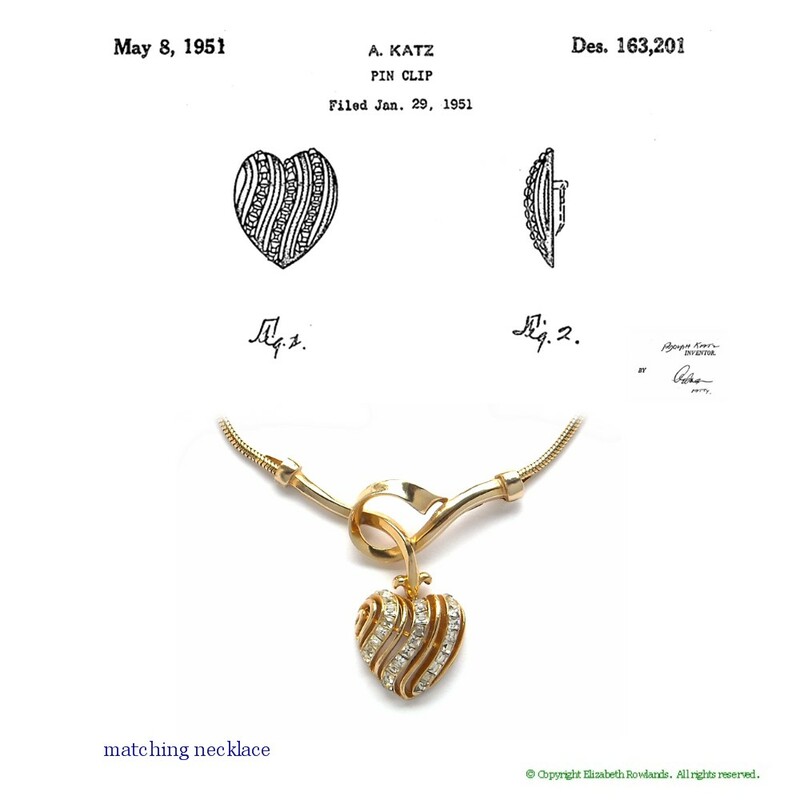 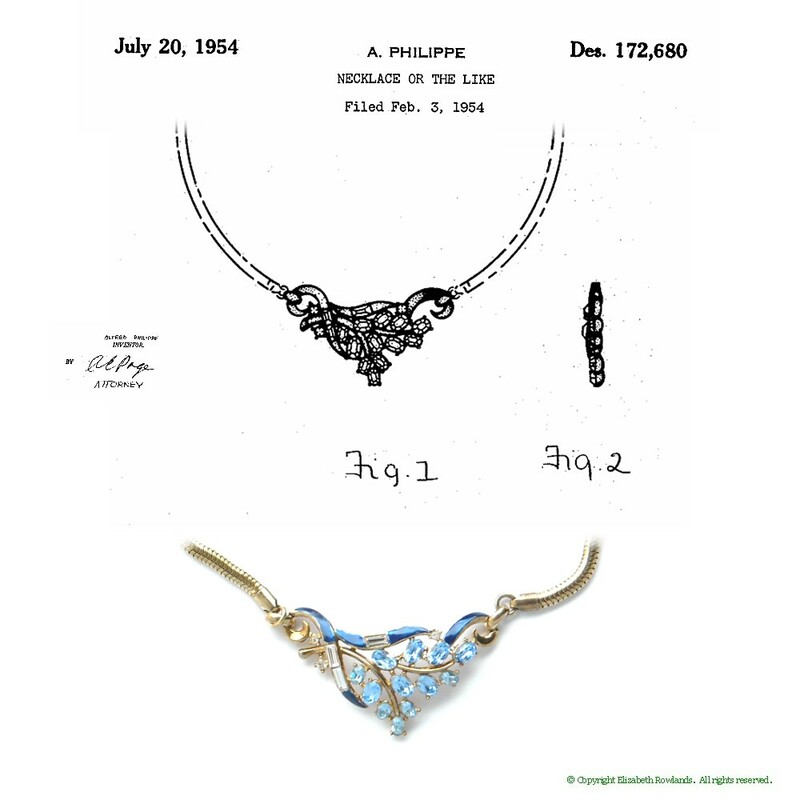 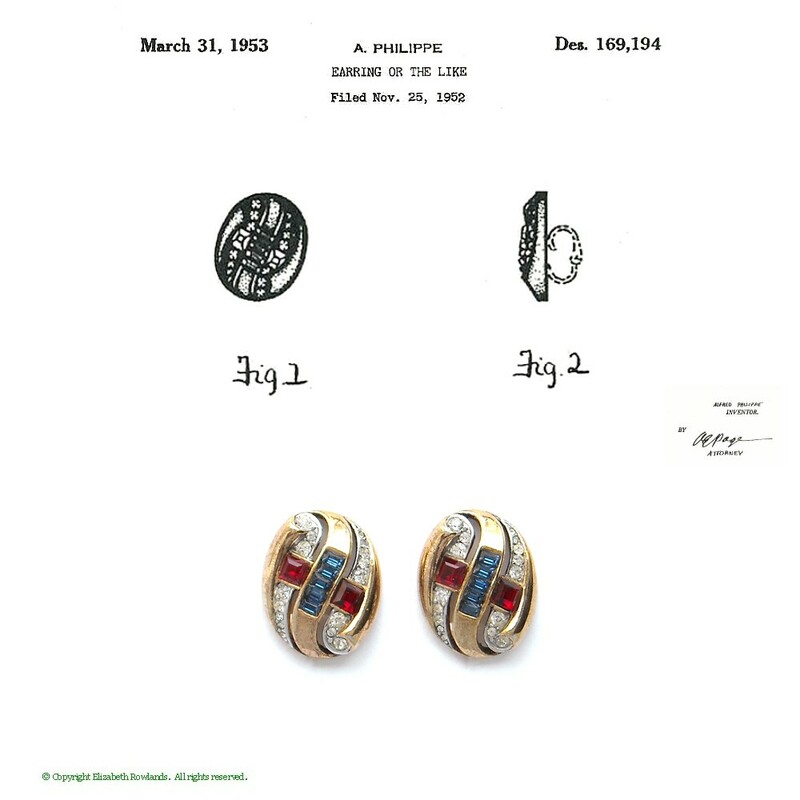 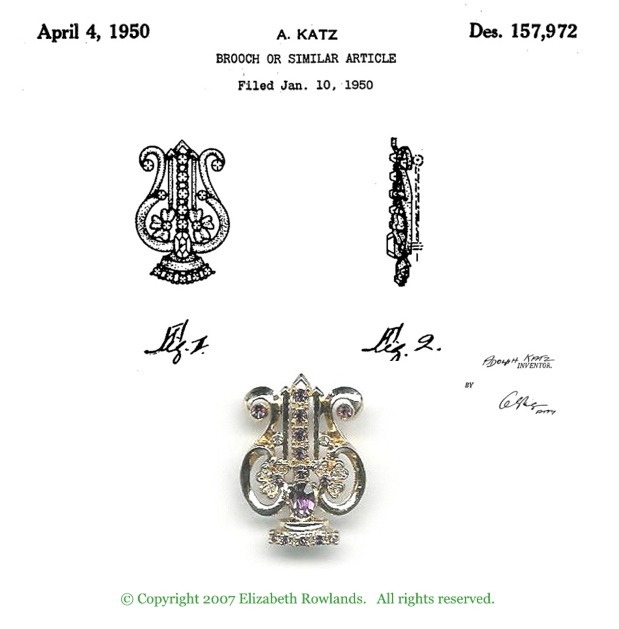 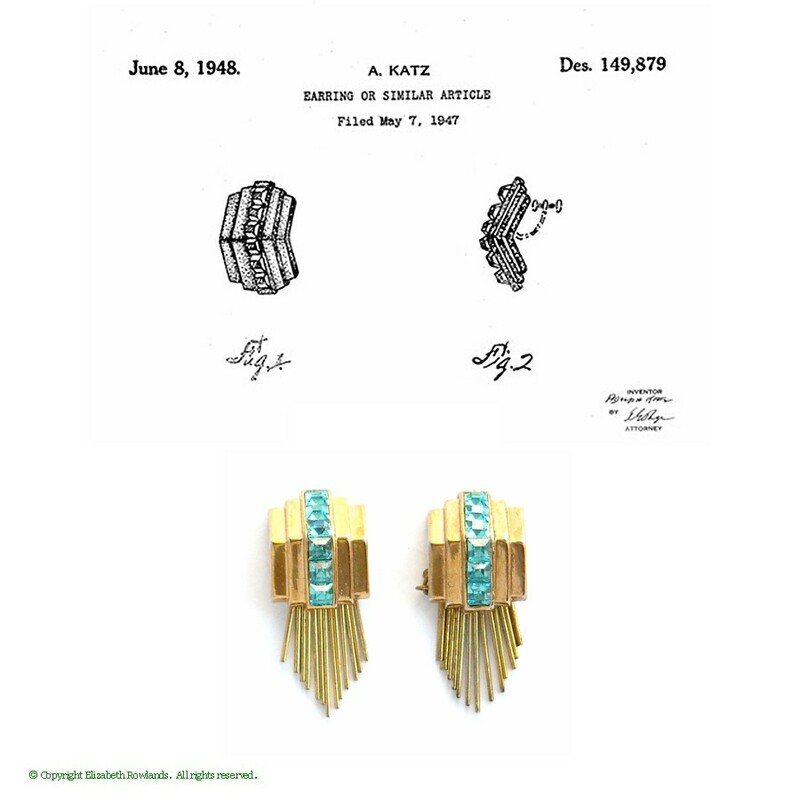 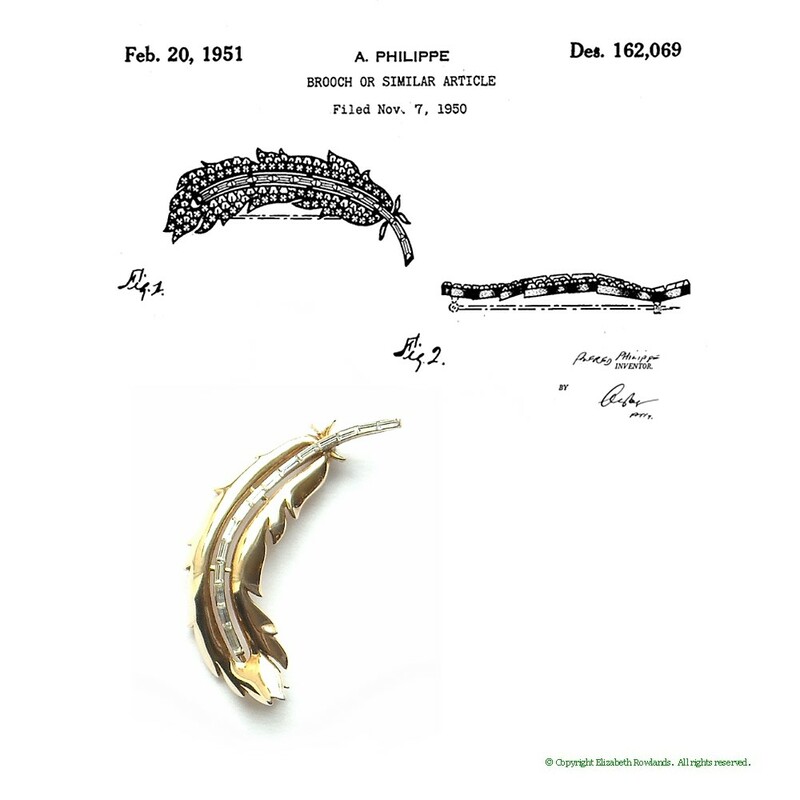 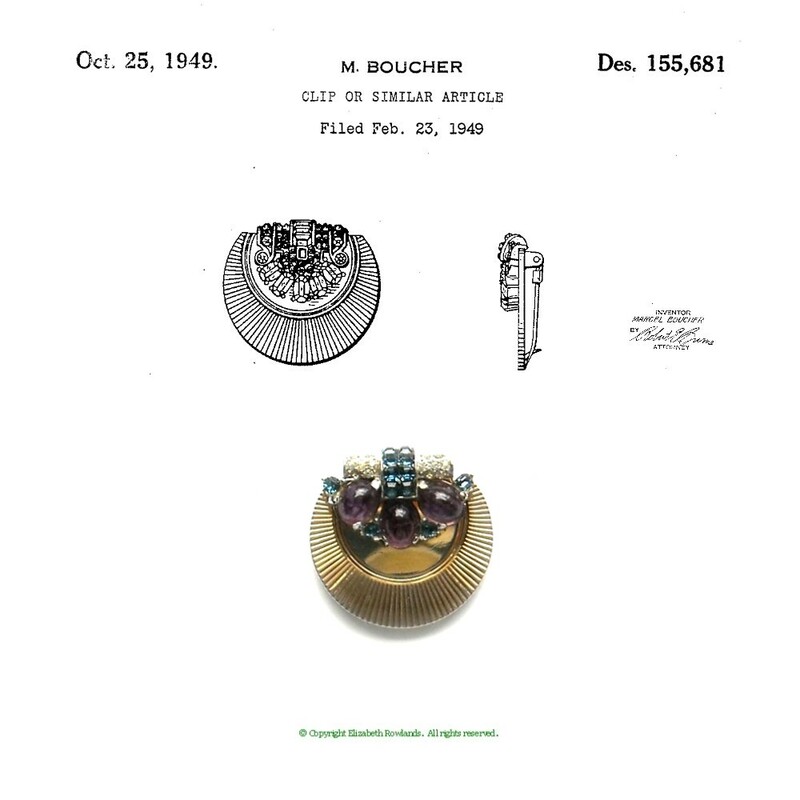 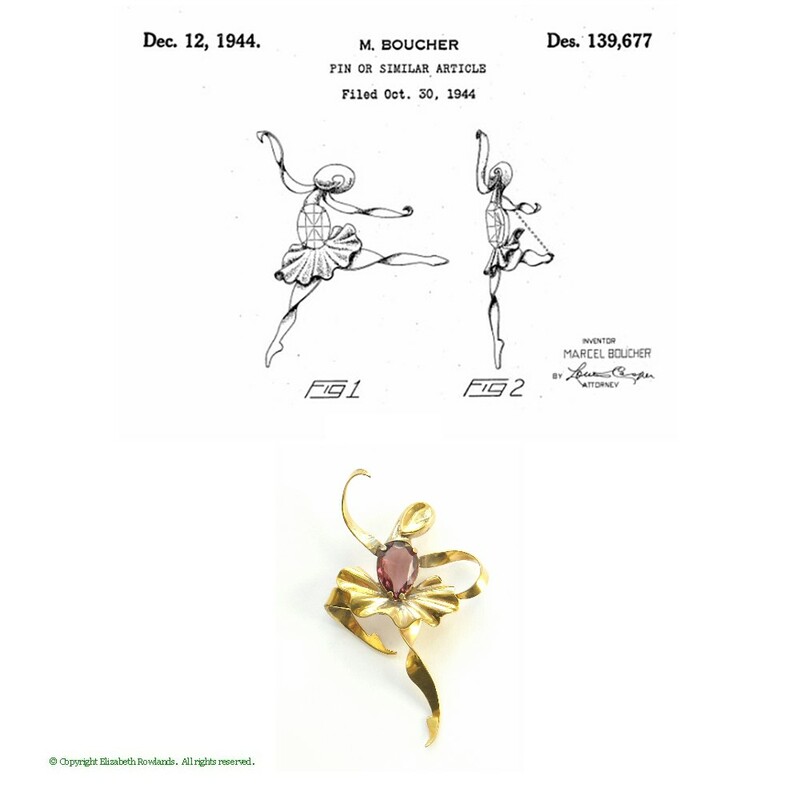 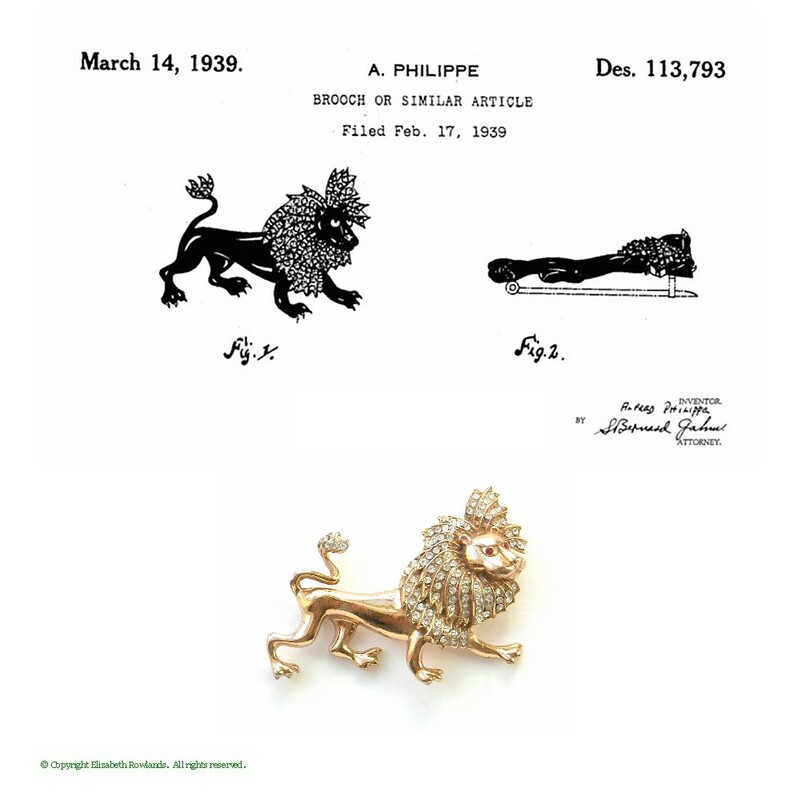 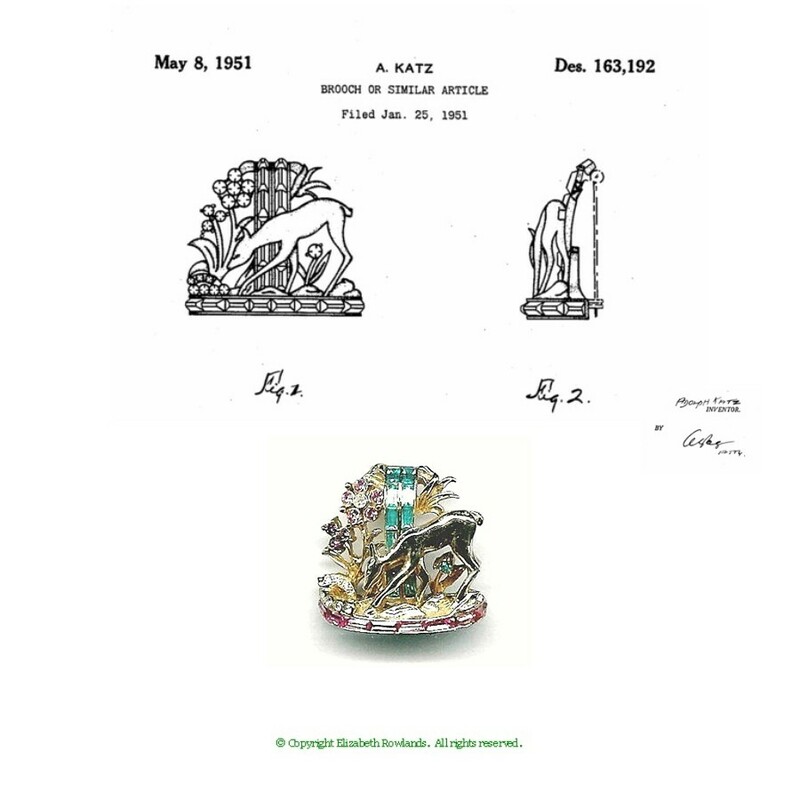 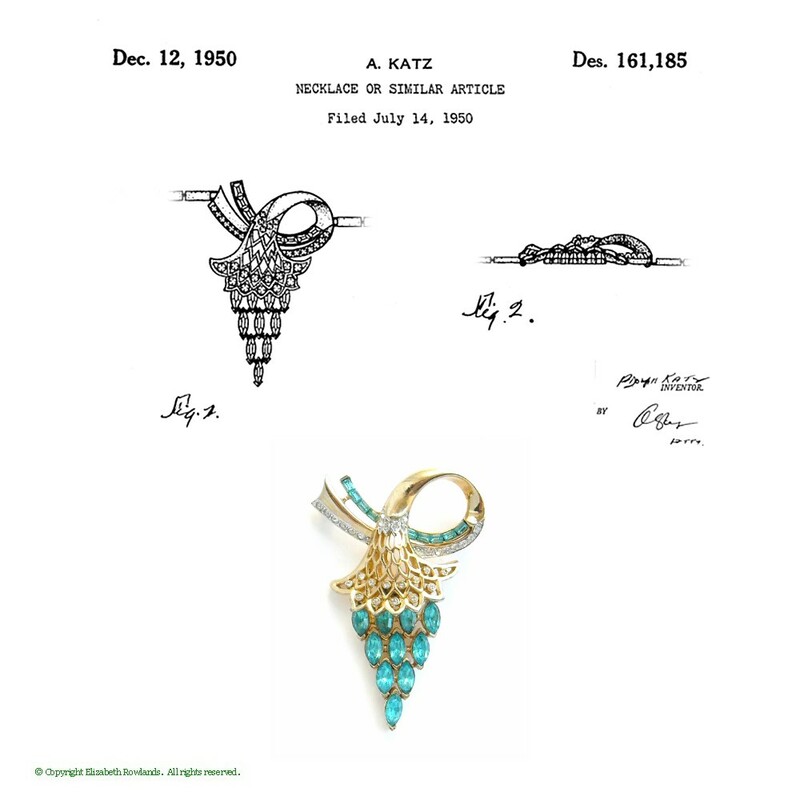 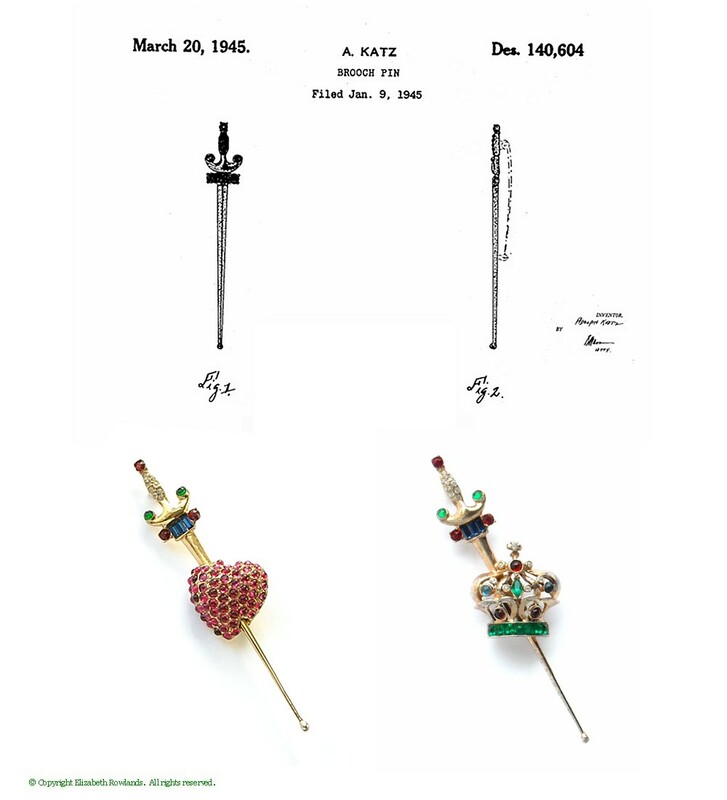 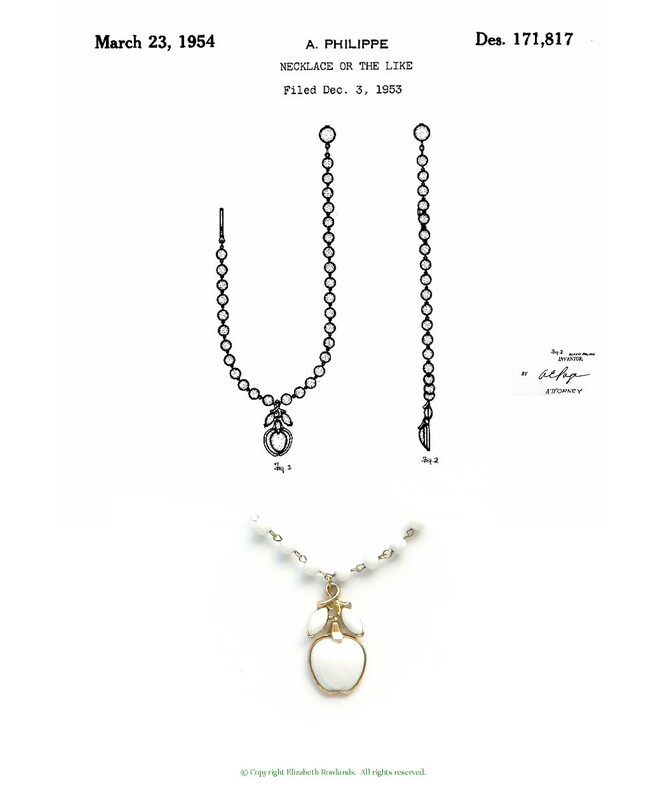 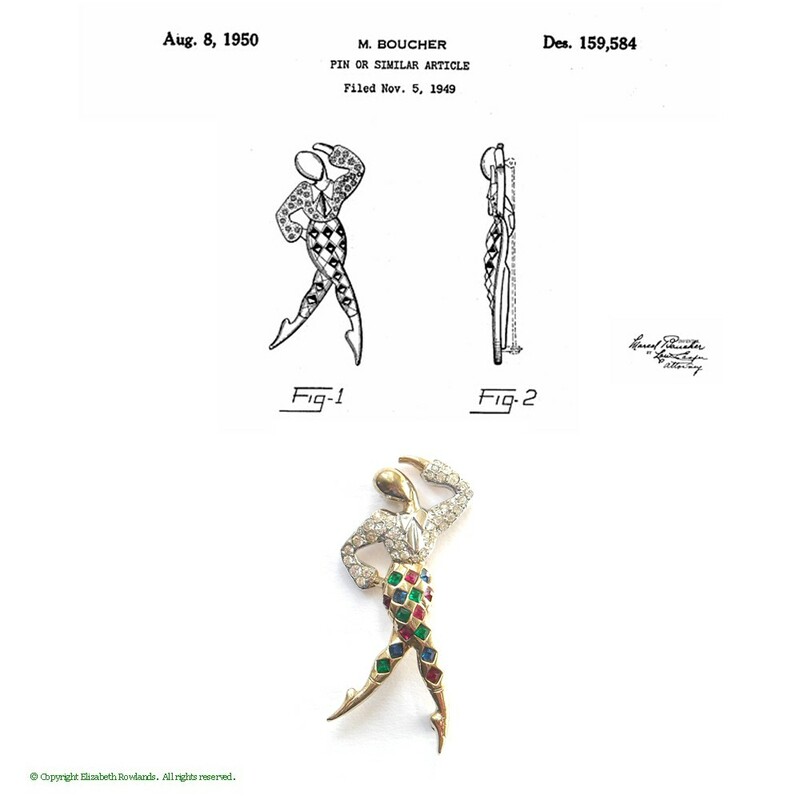 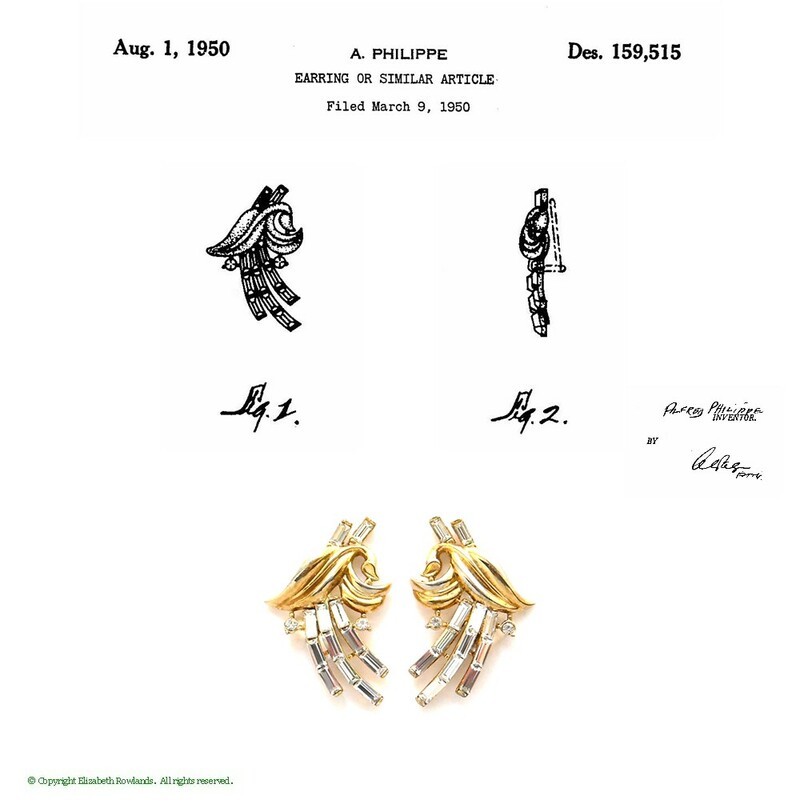 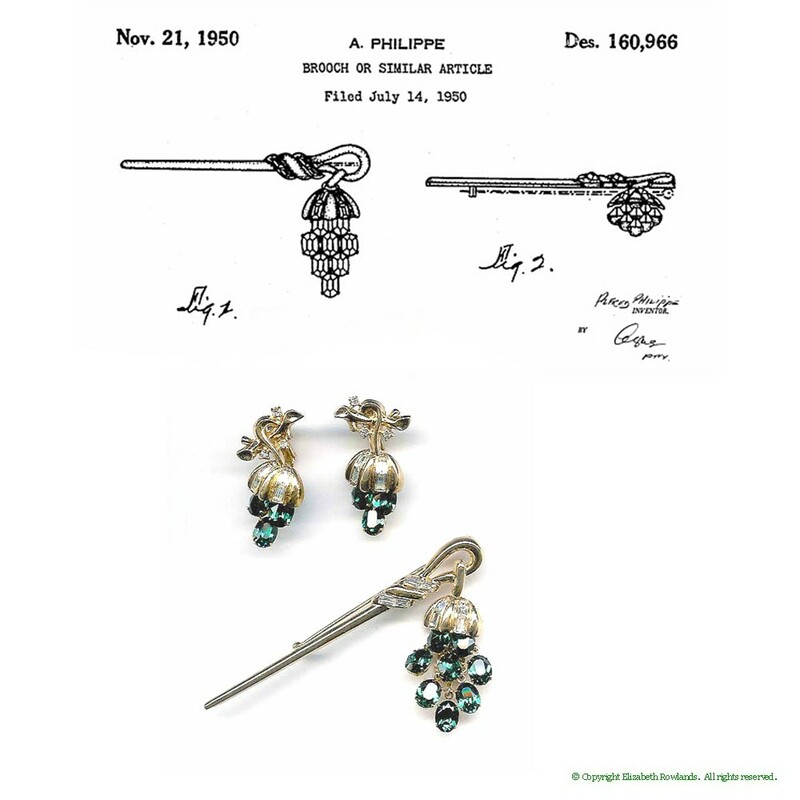 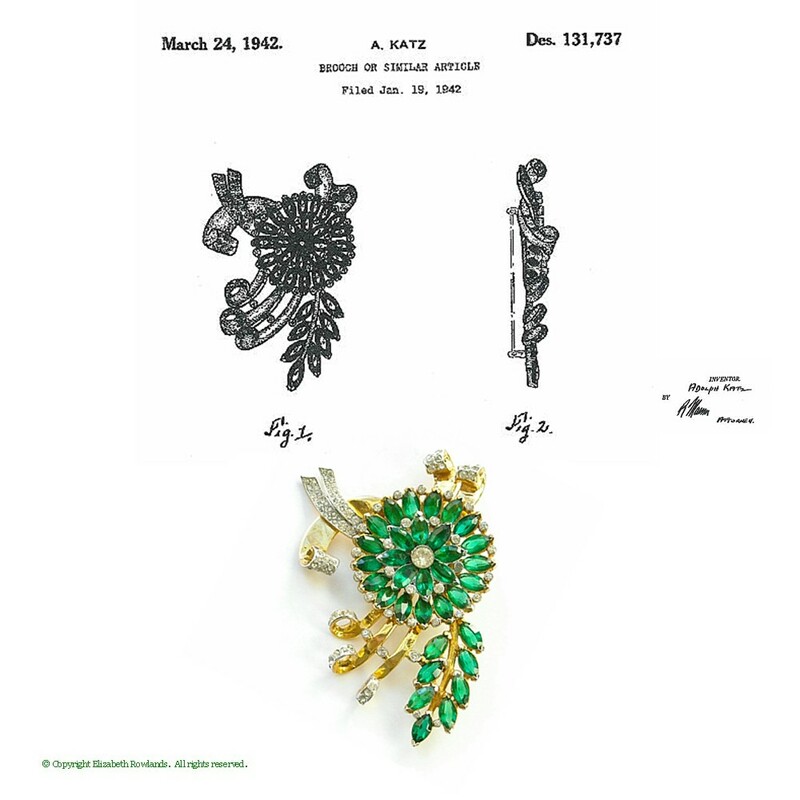 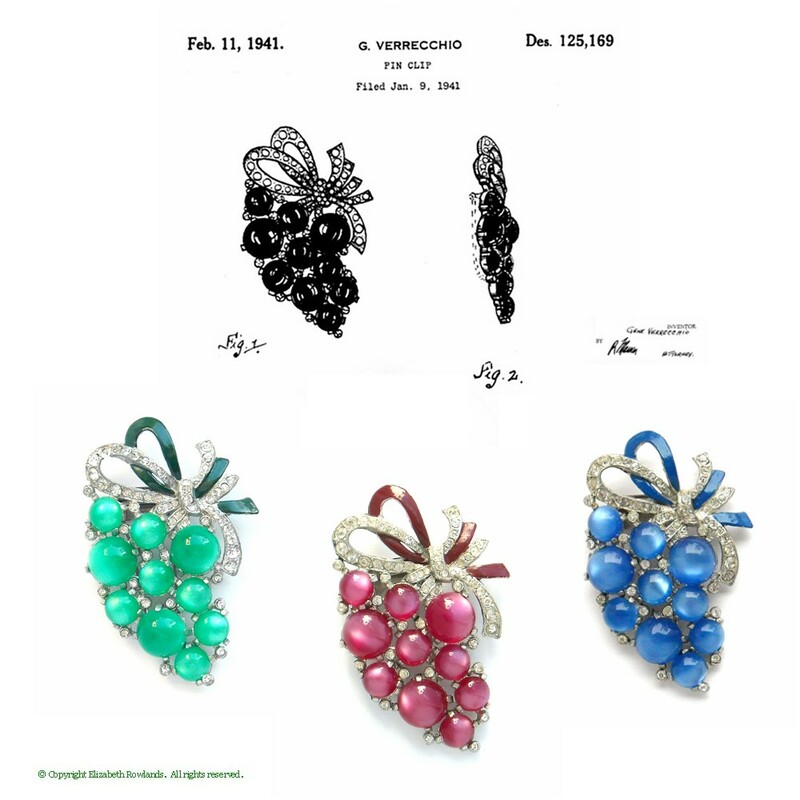 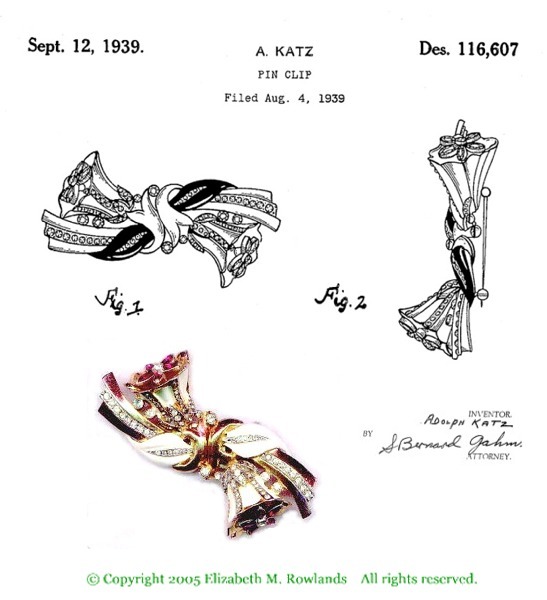 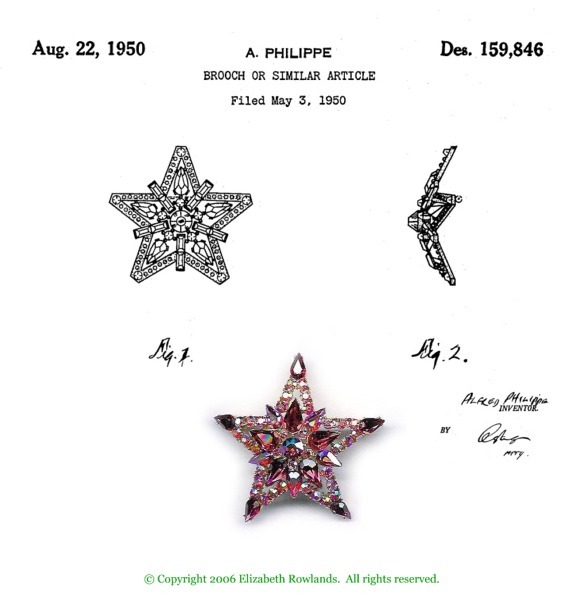 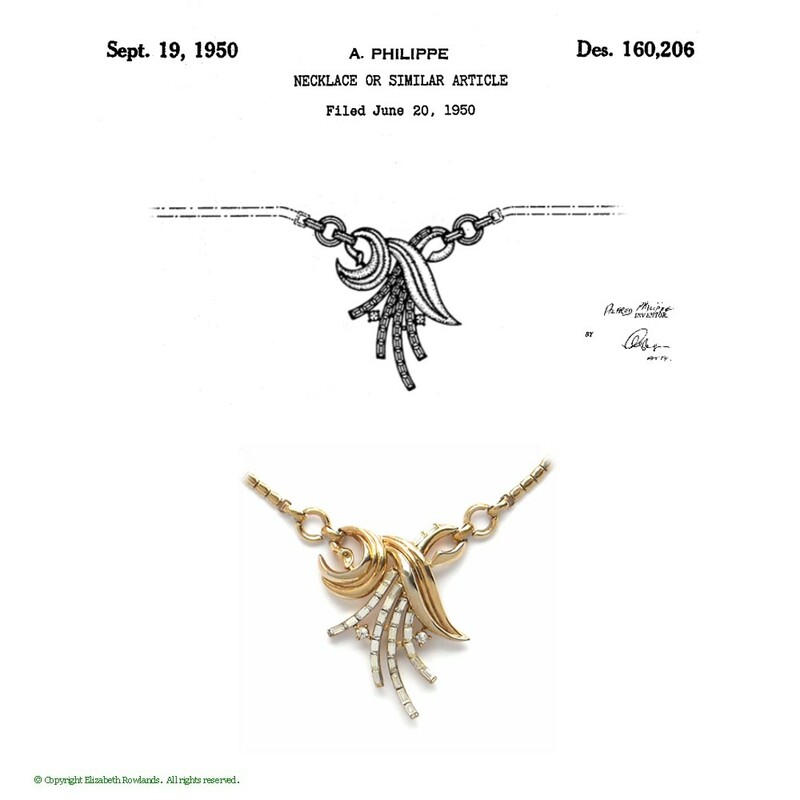 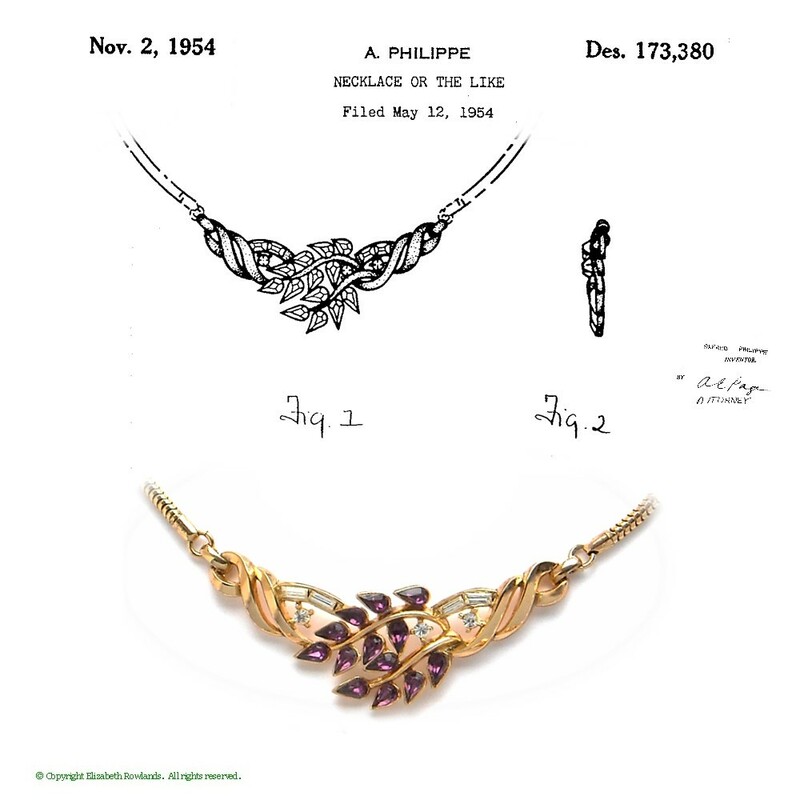 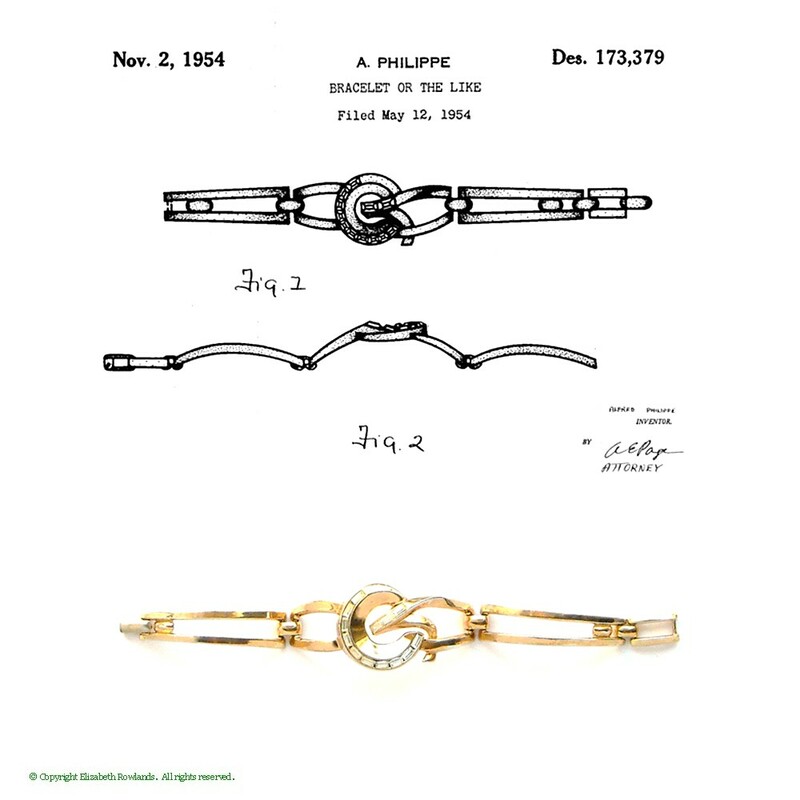 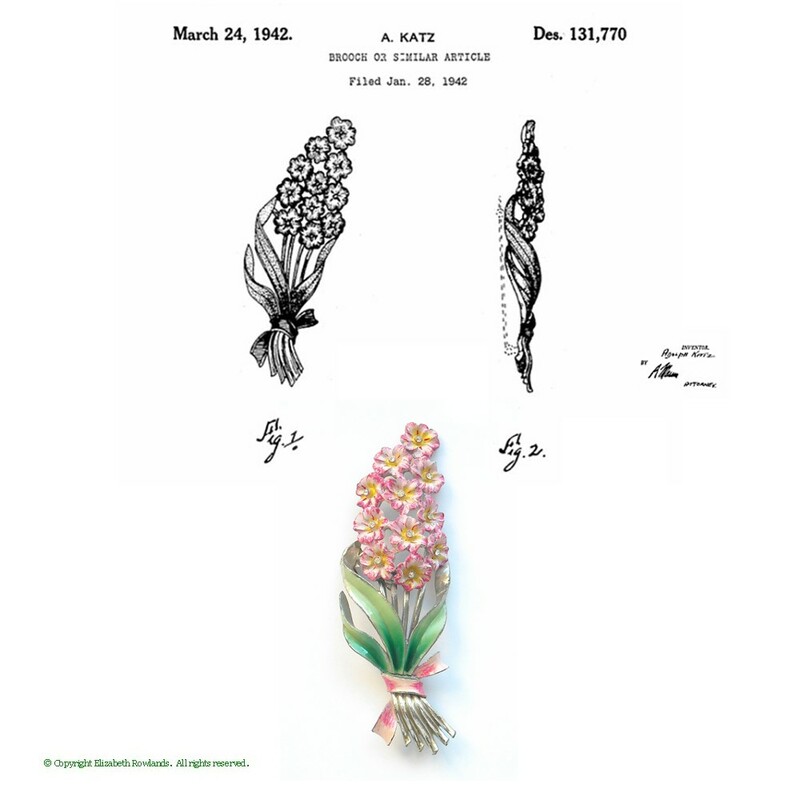 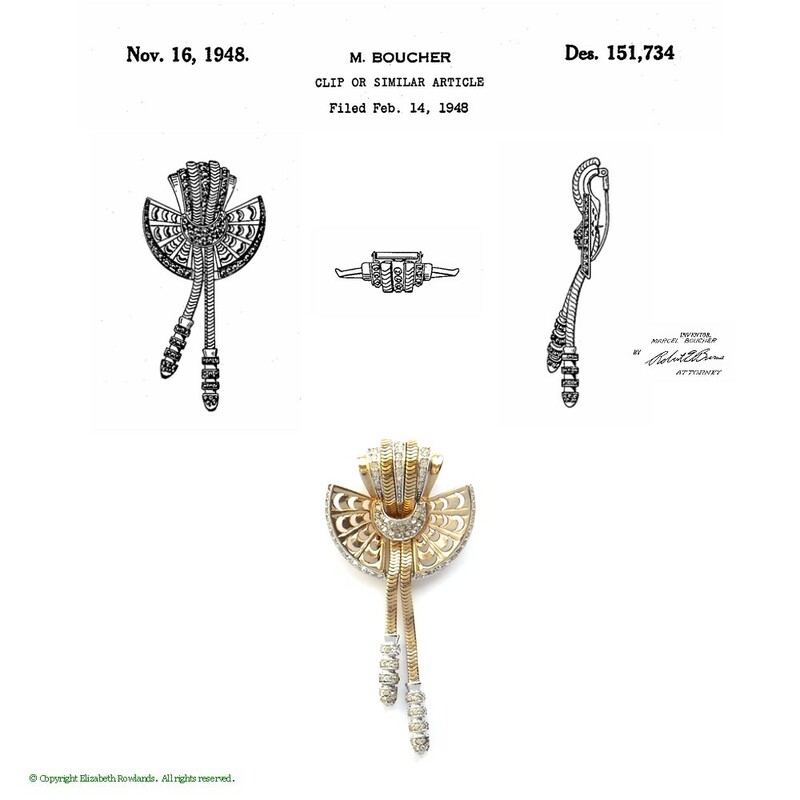 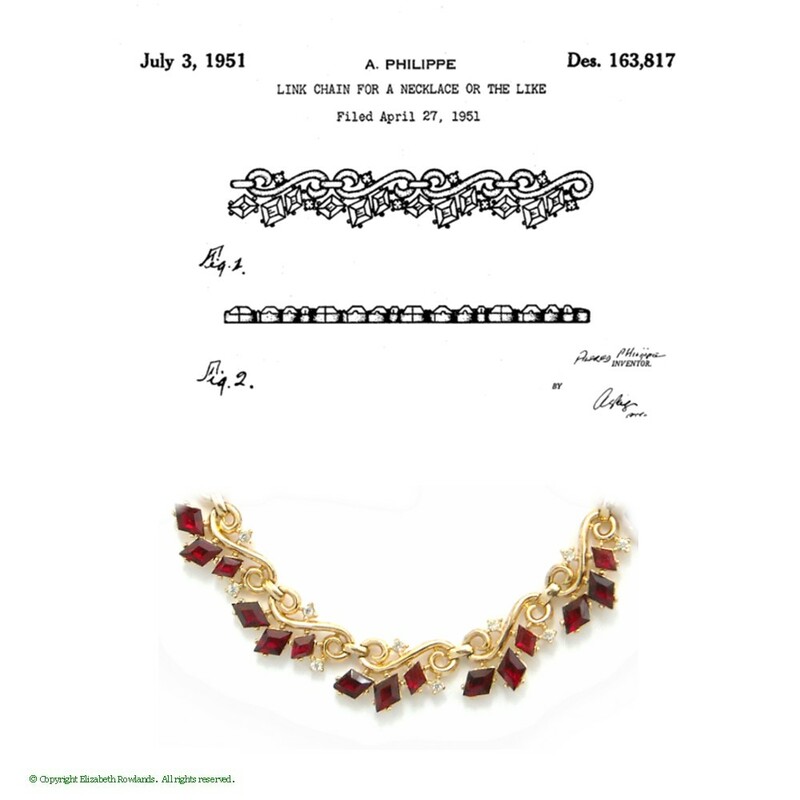 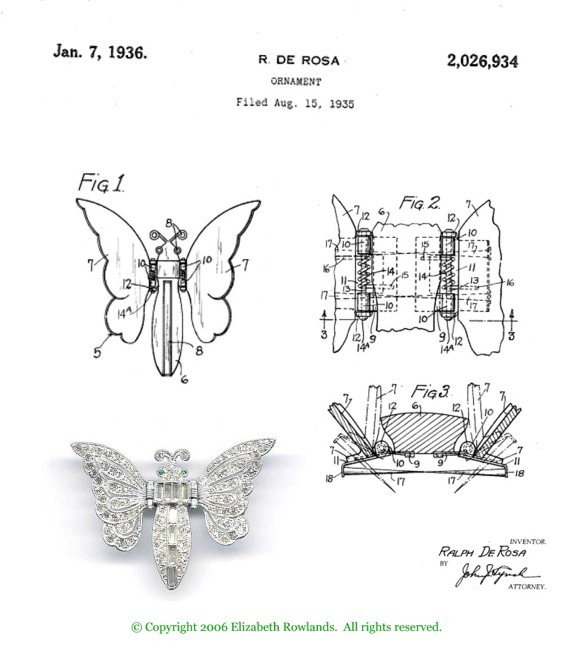 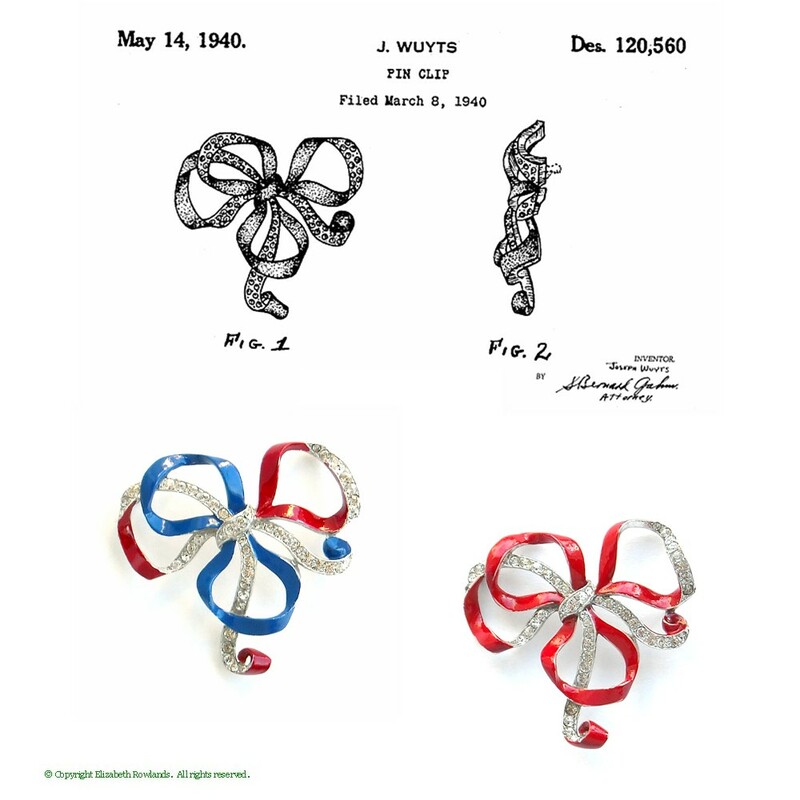 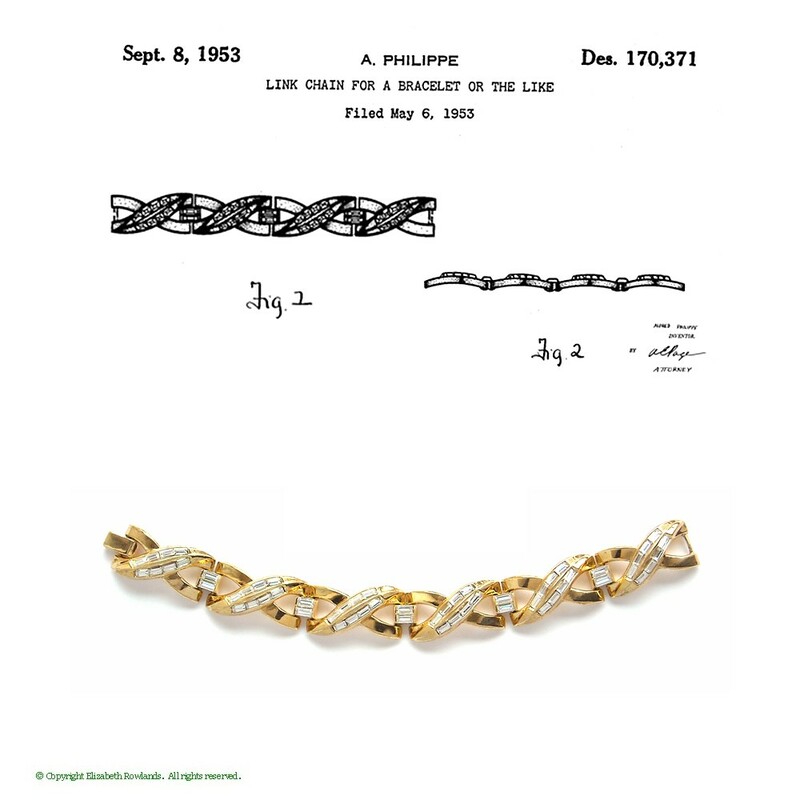 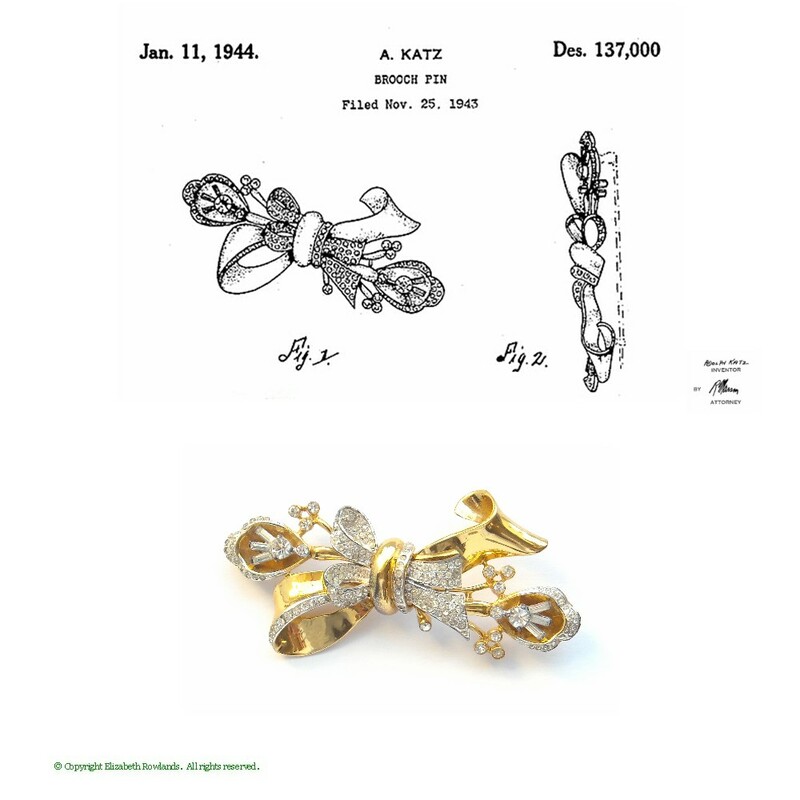 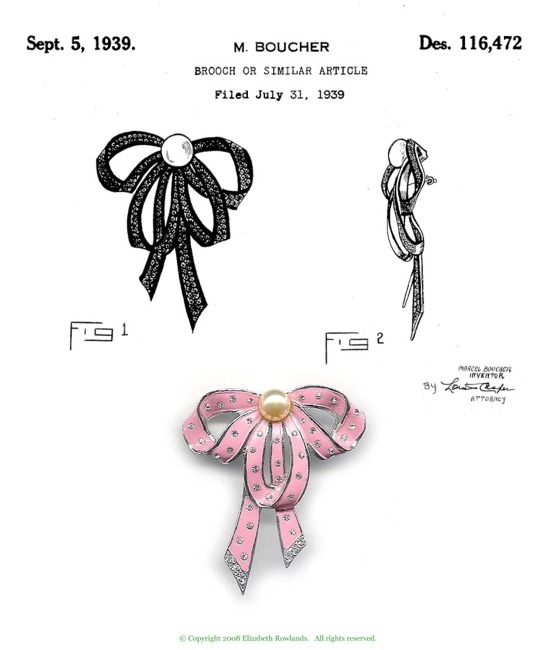 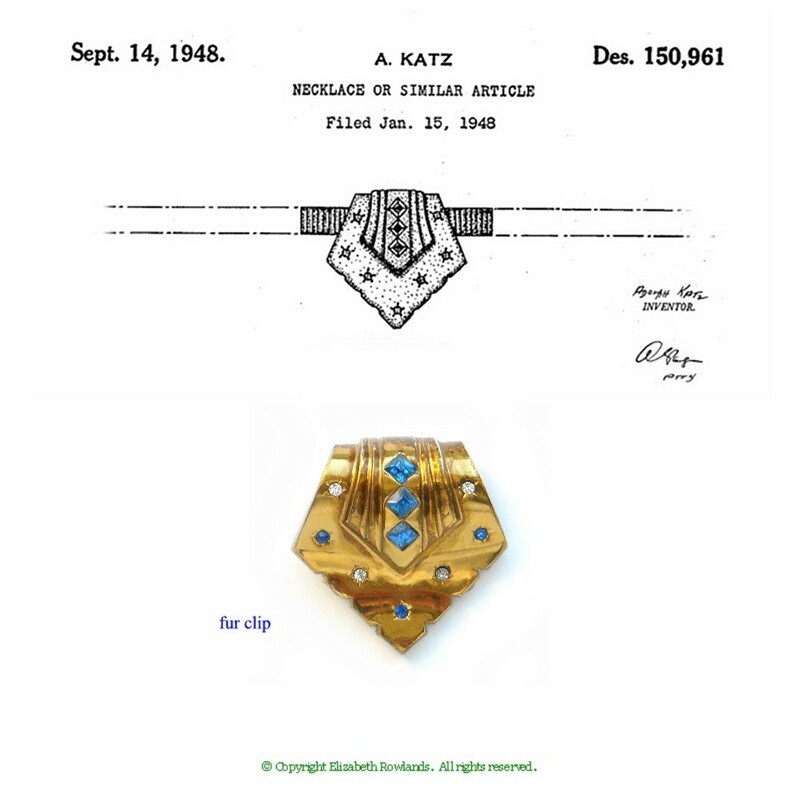 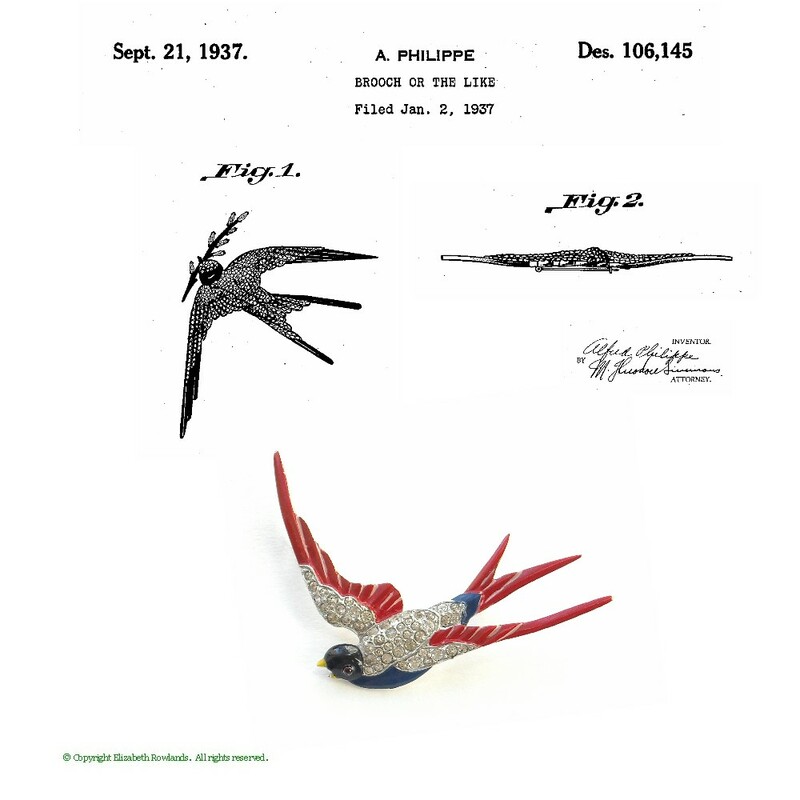 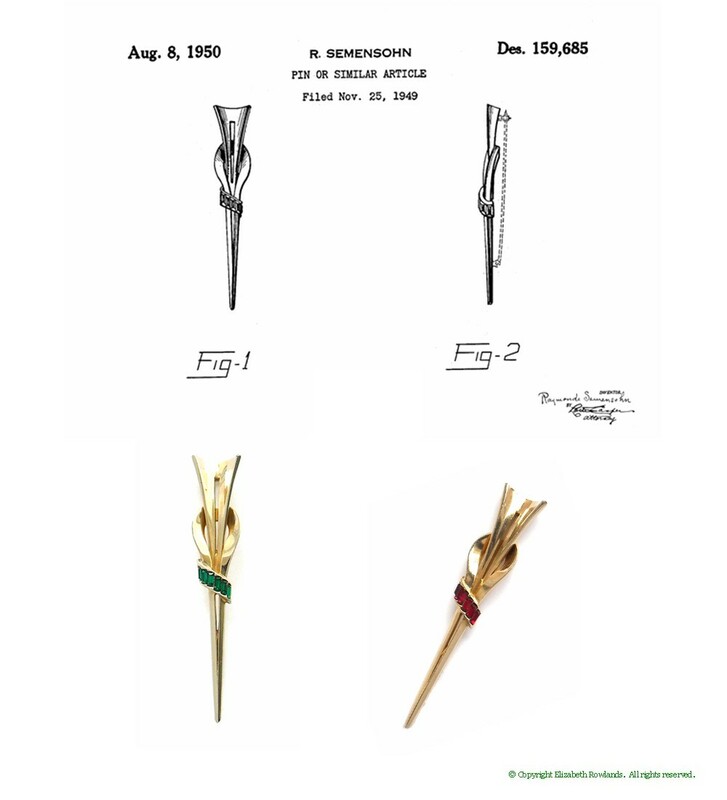 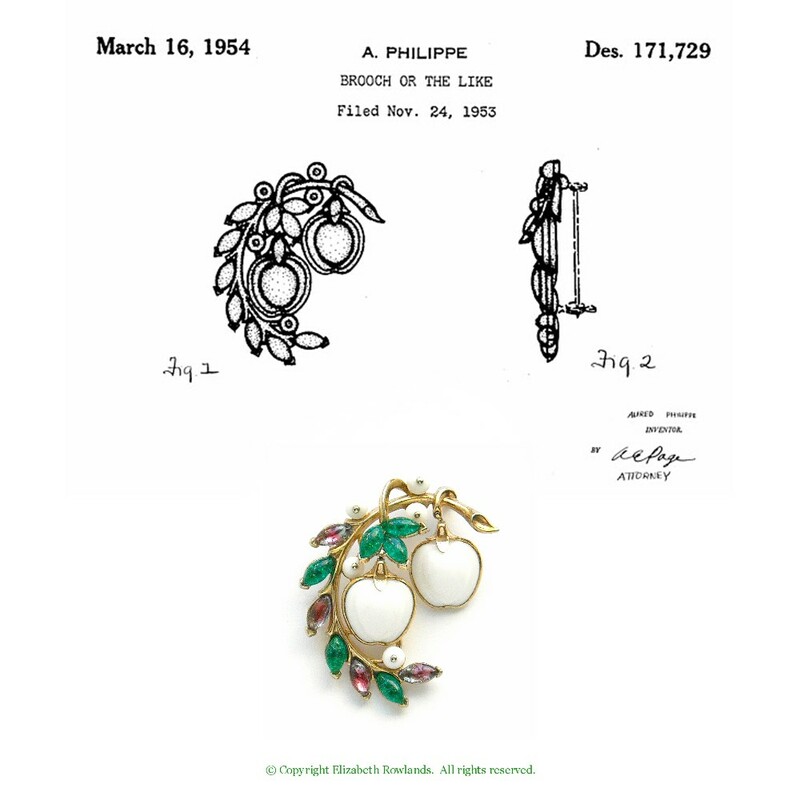 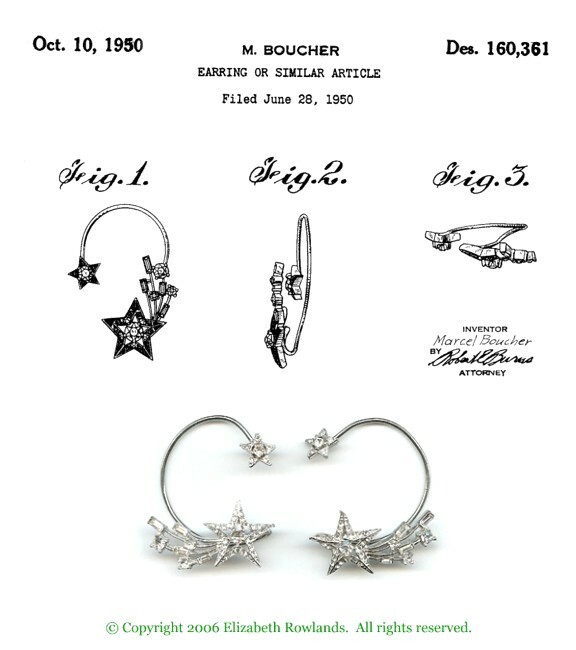 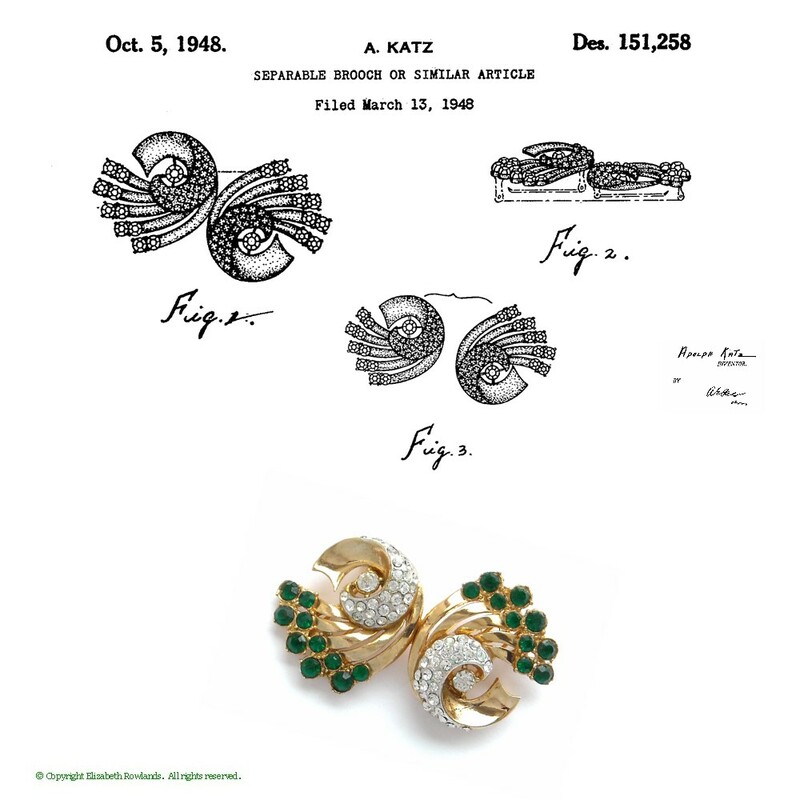 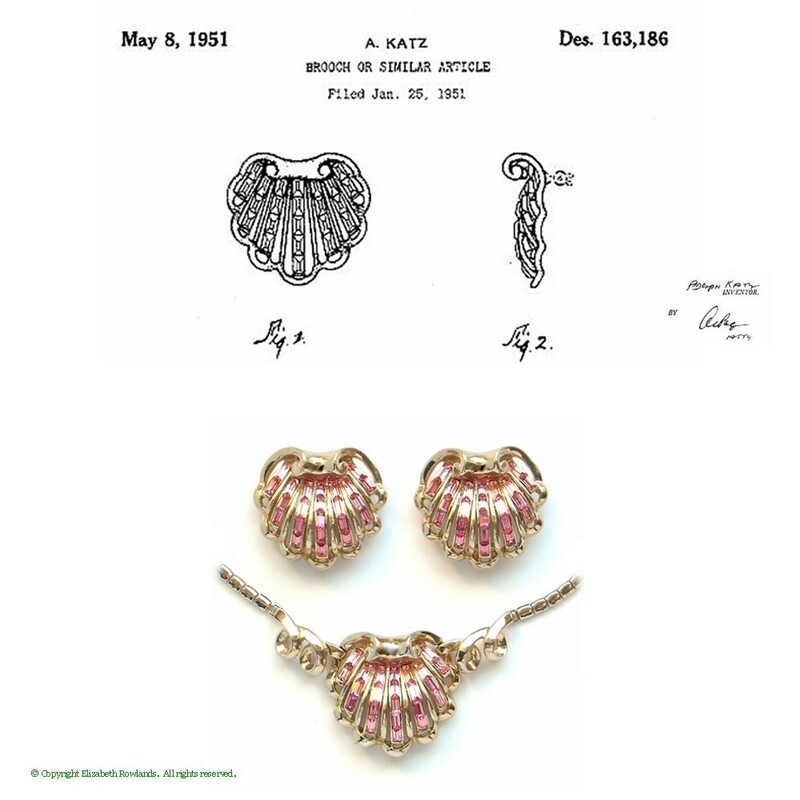 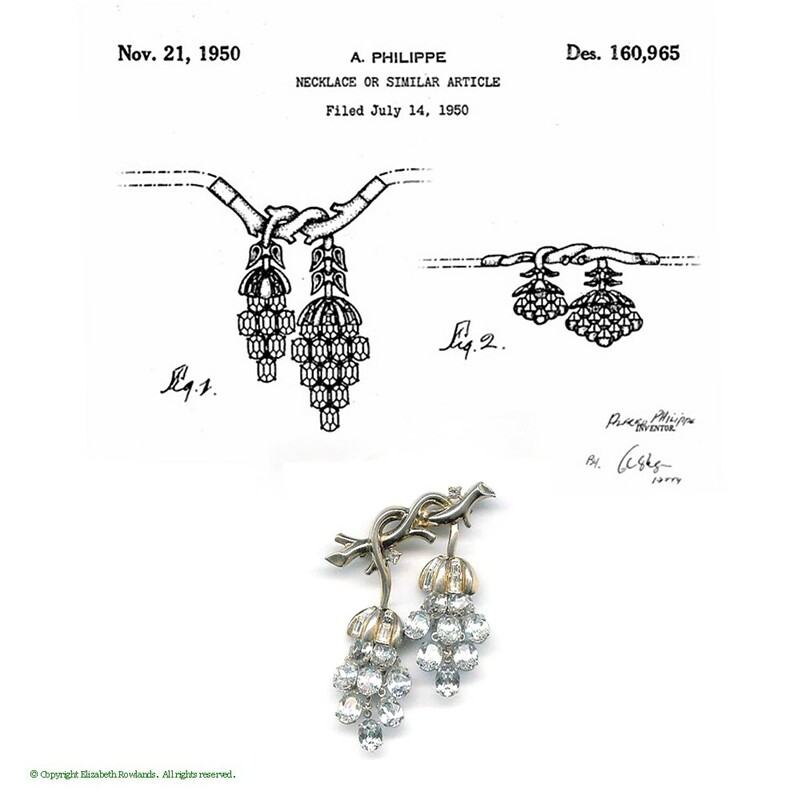 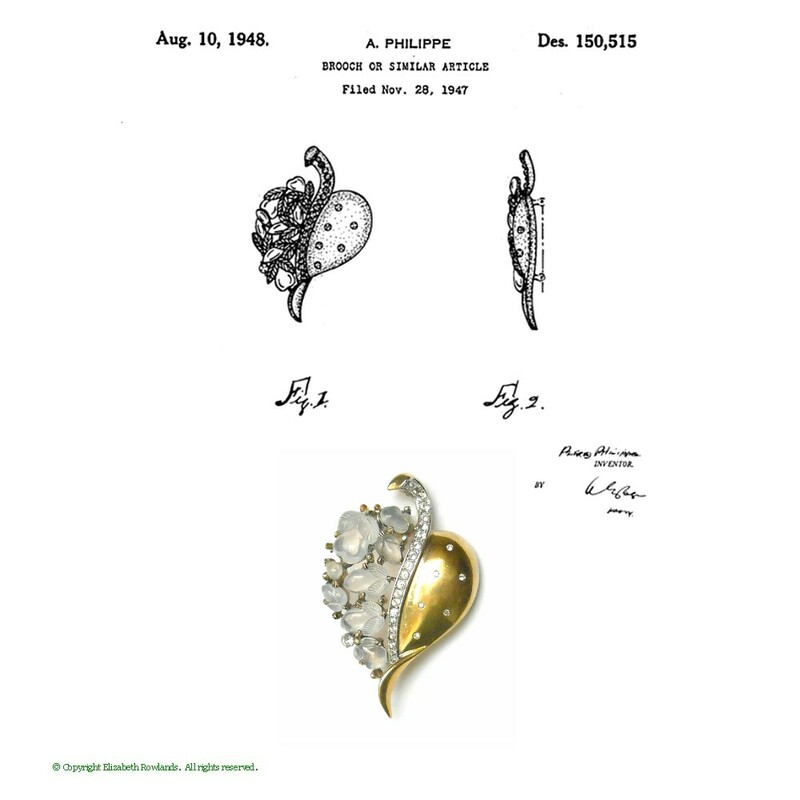 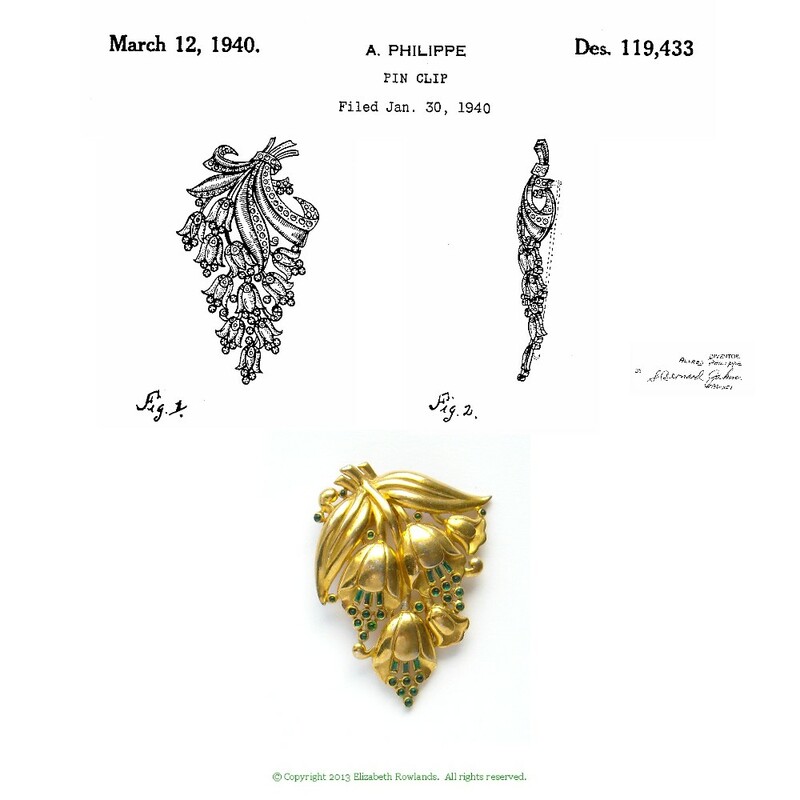 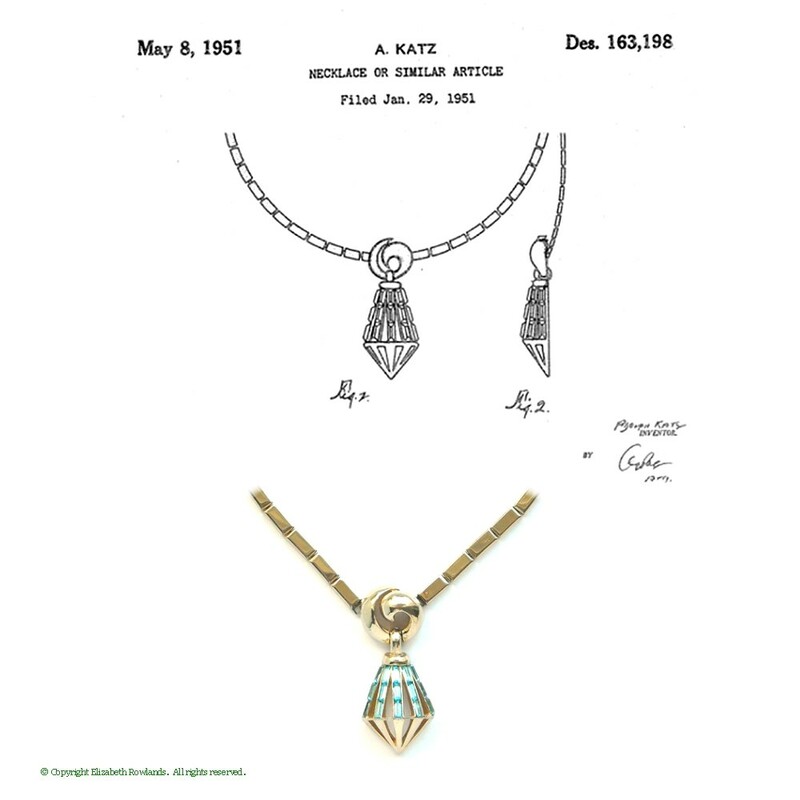 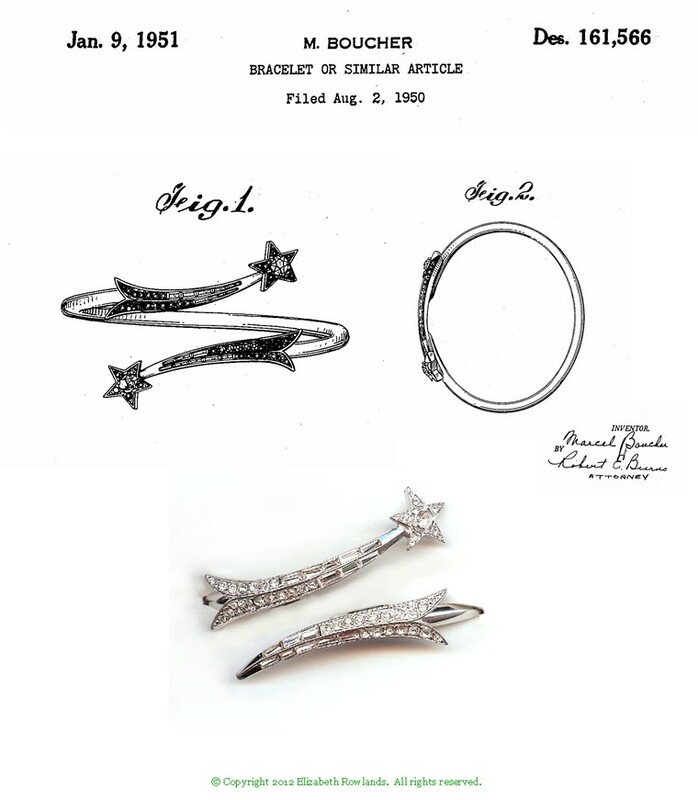 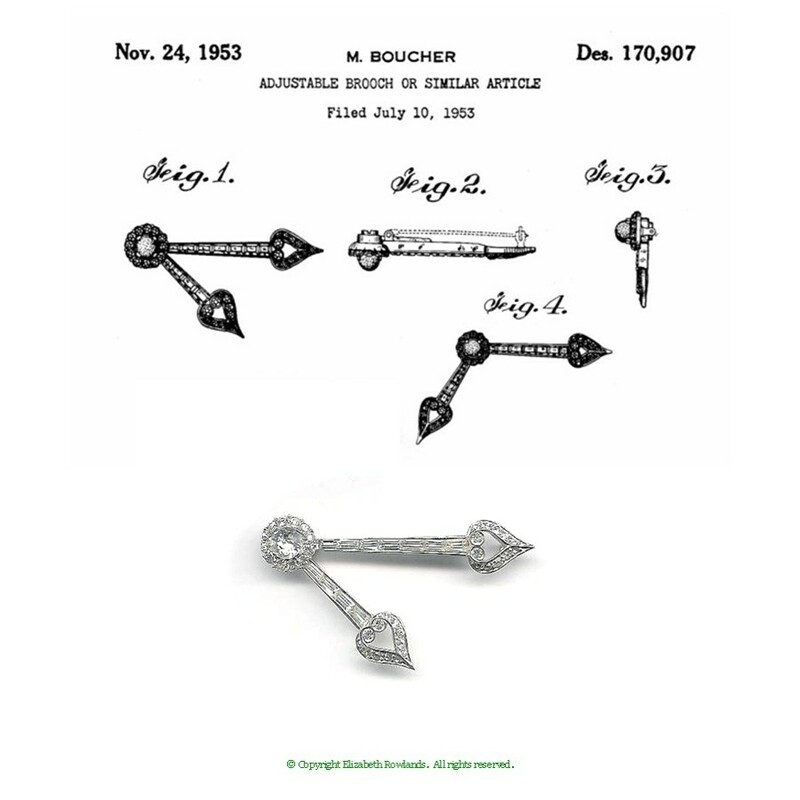 Patents are a great resource for dating vintage jewelry. 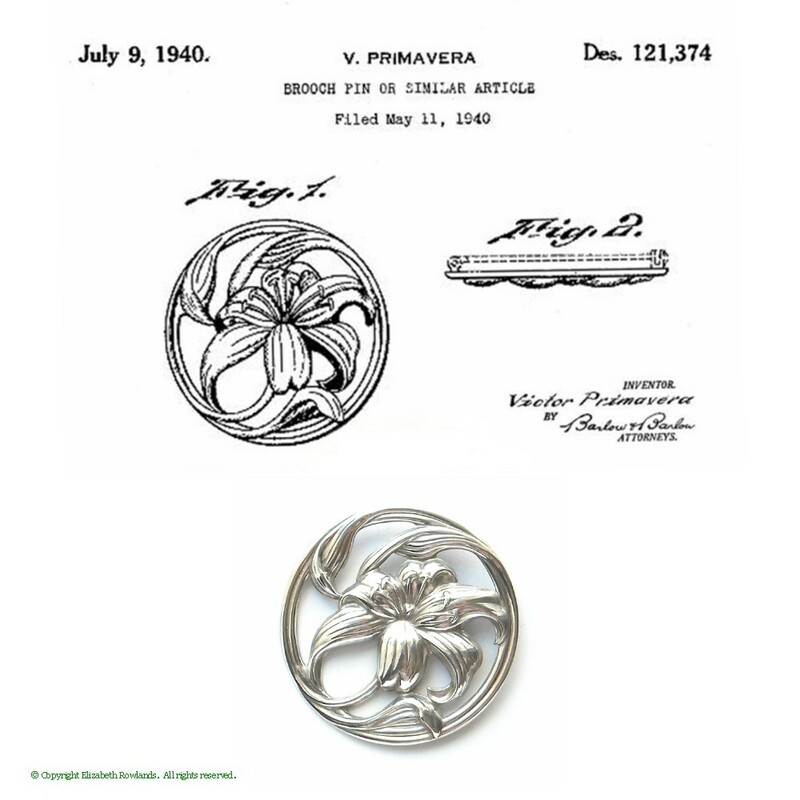 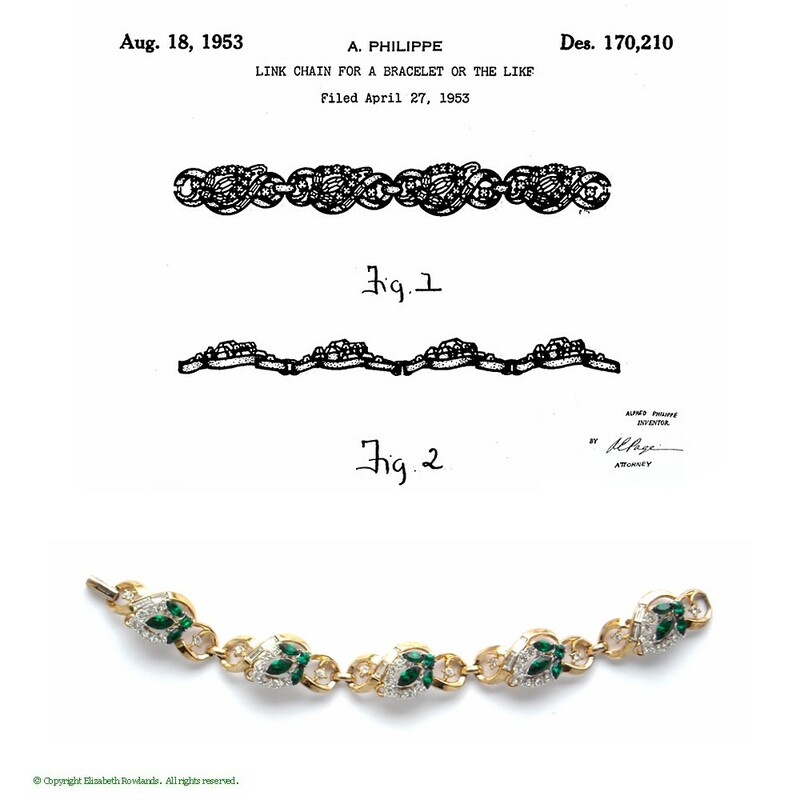 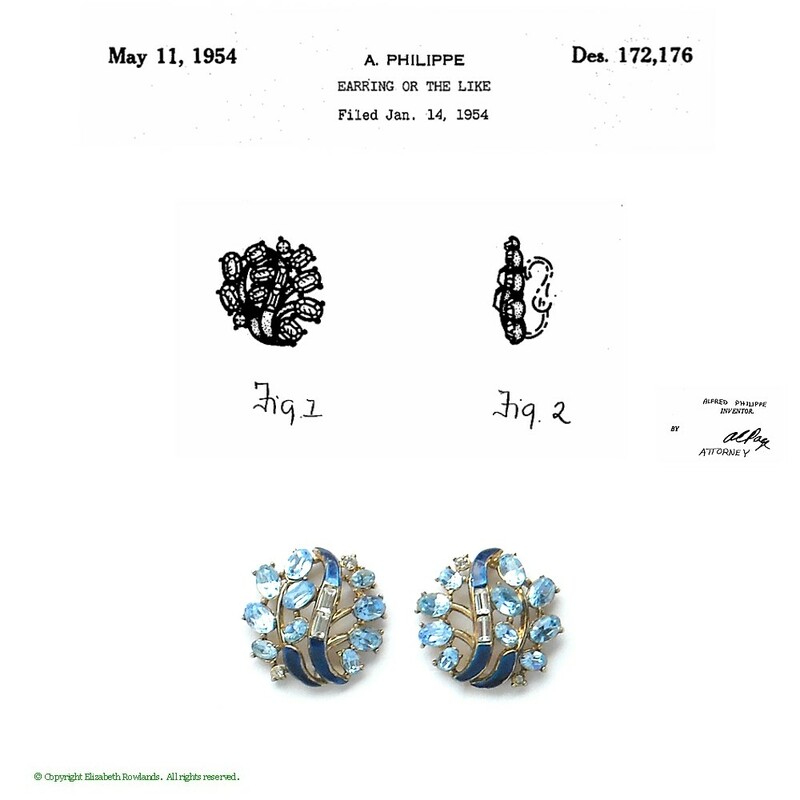 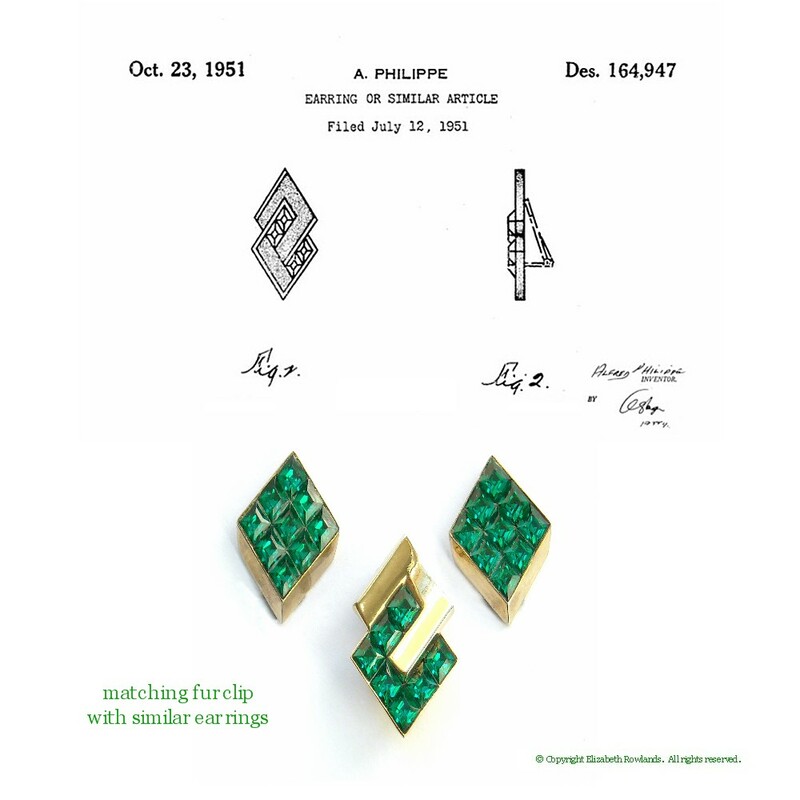 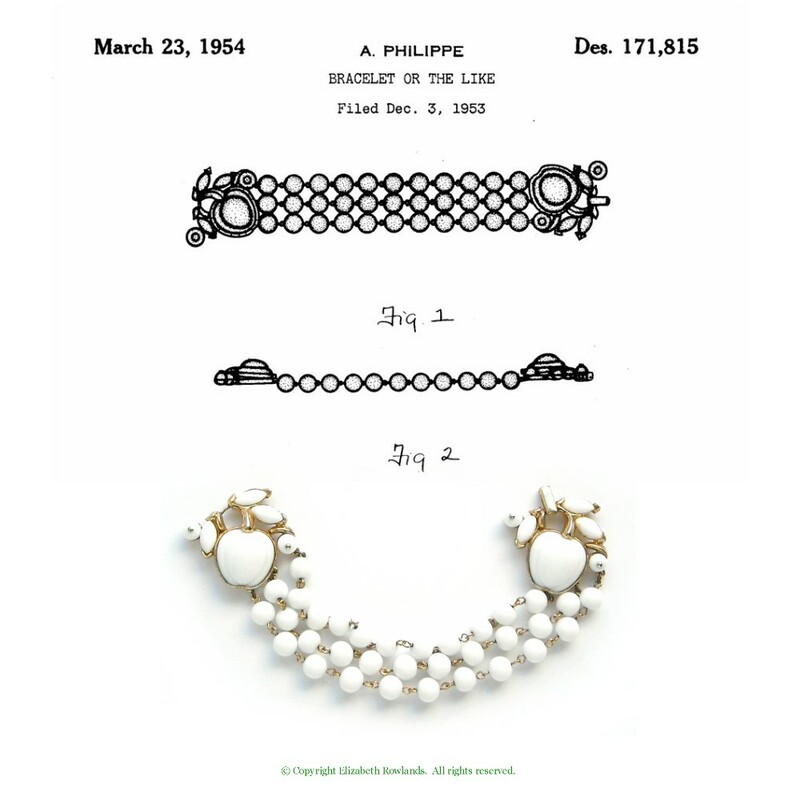 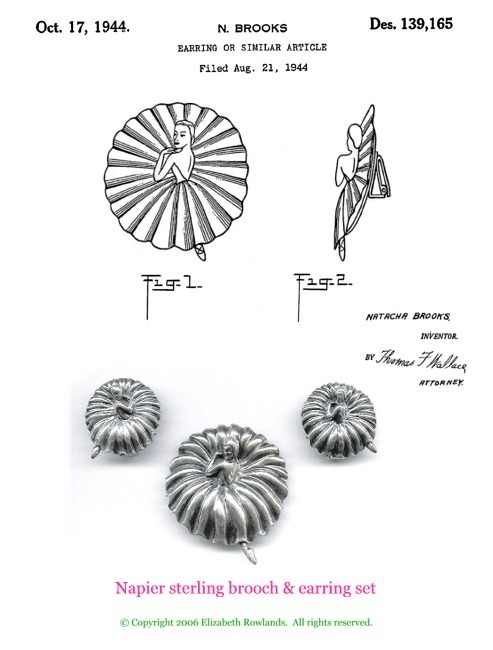 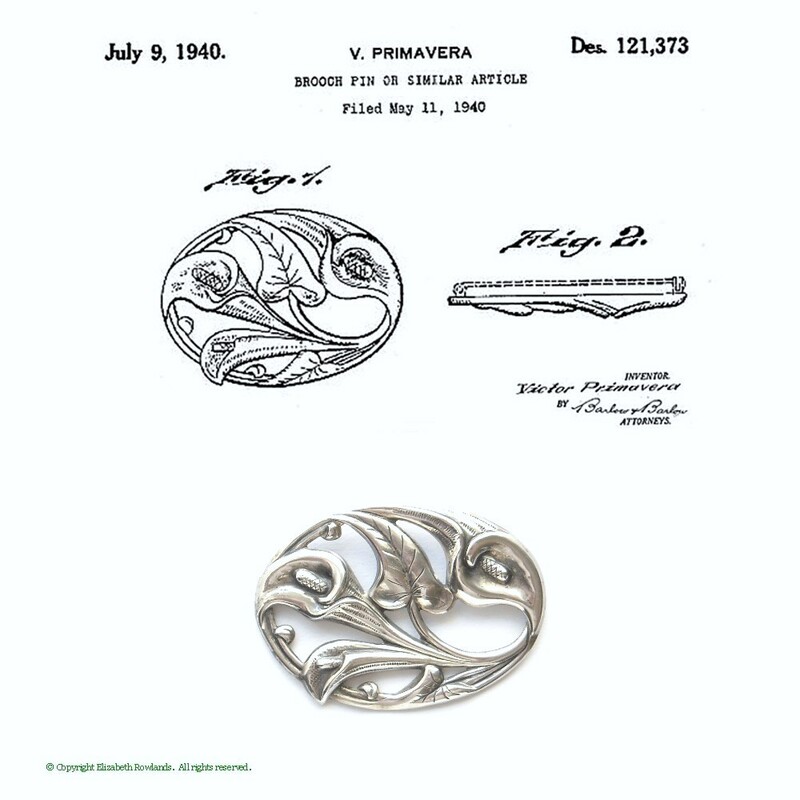 After a successful lawsuit from Trifari in the early 1950s, jewelry makers could protect their designs under copyright laws rather than patenting the designs. 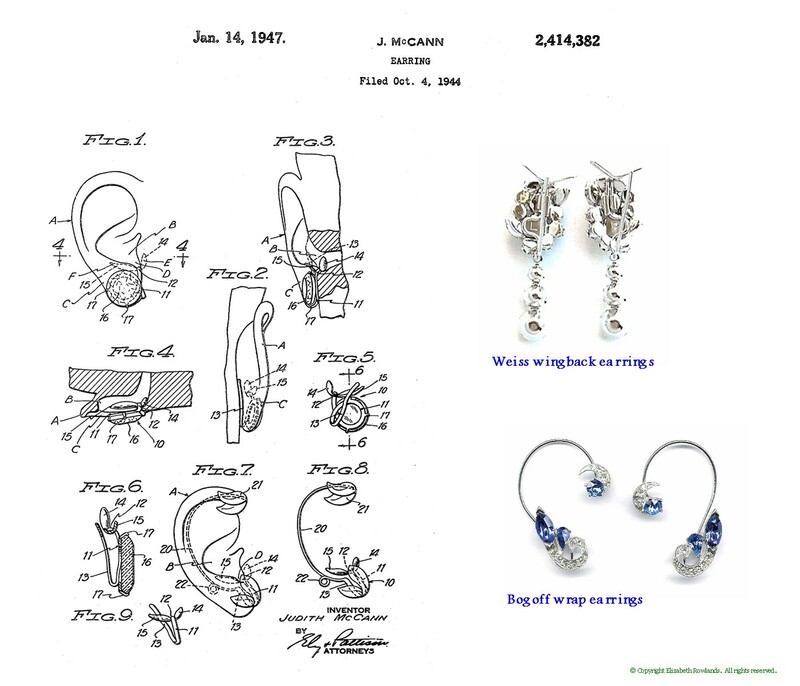 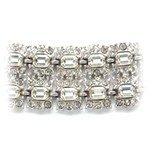 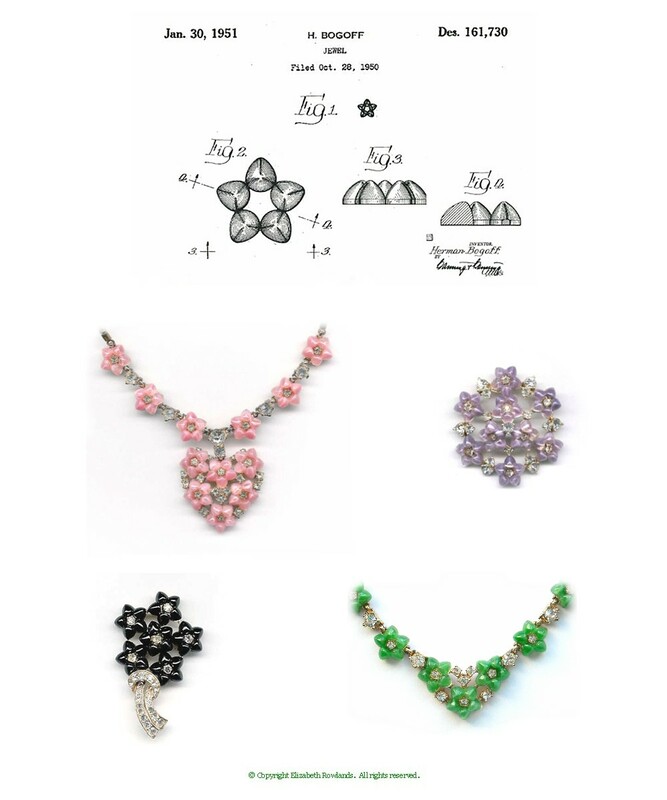 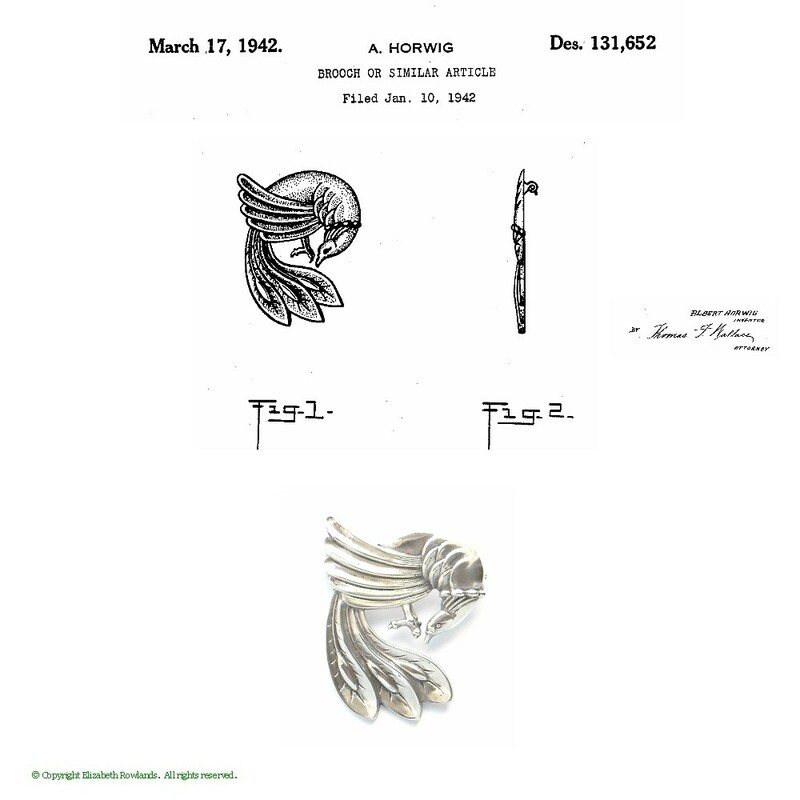 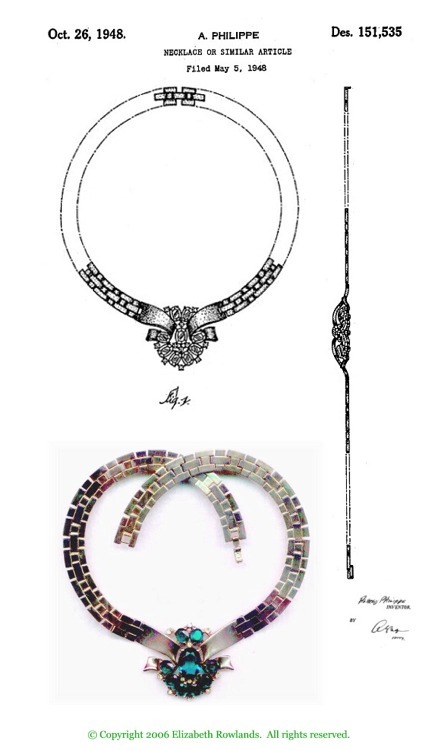 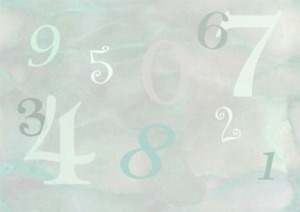 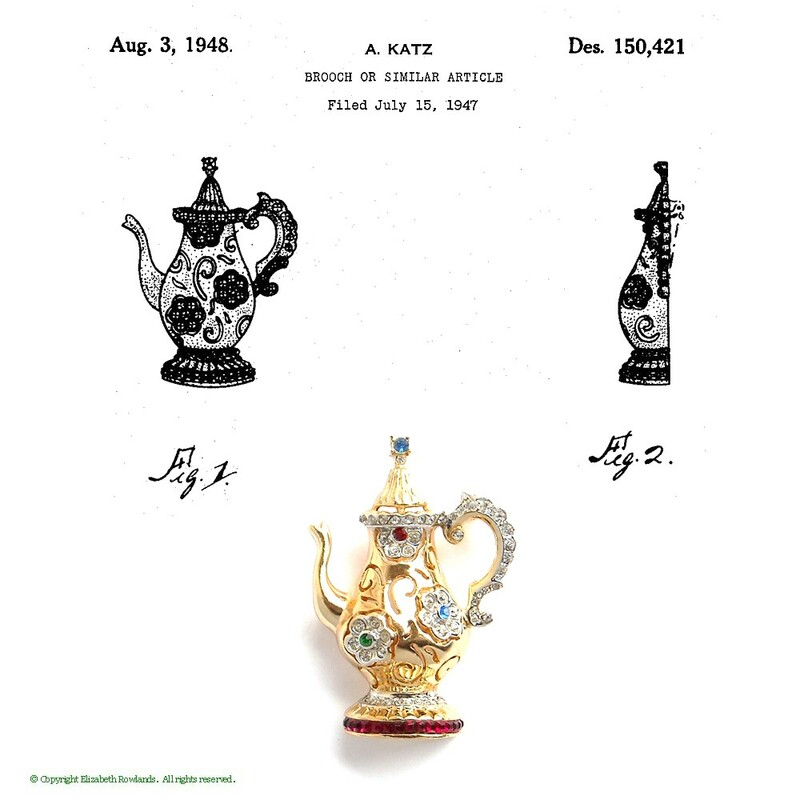 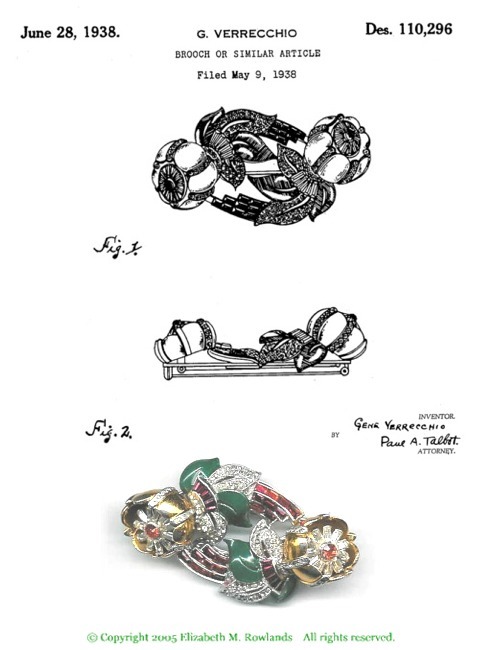 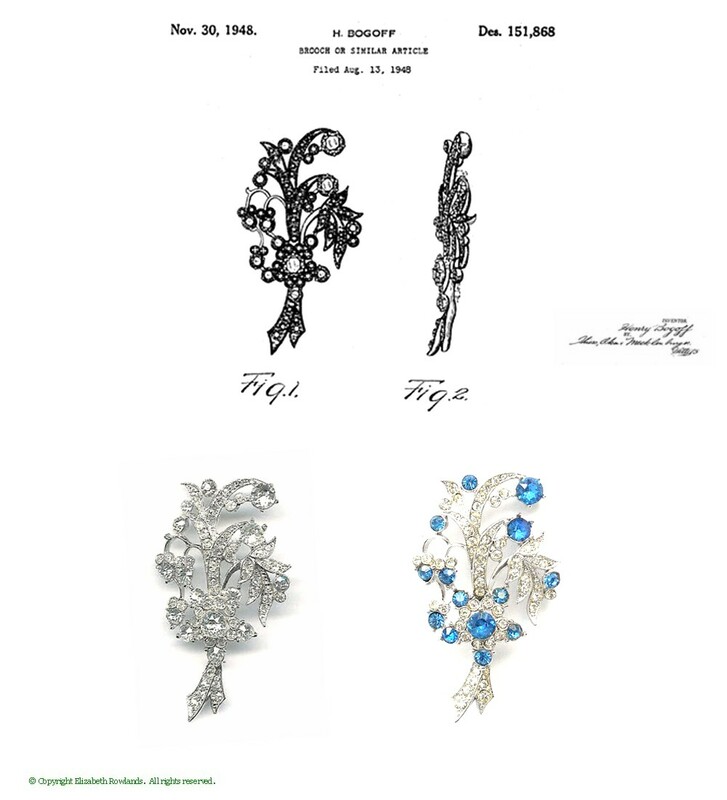 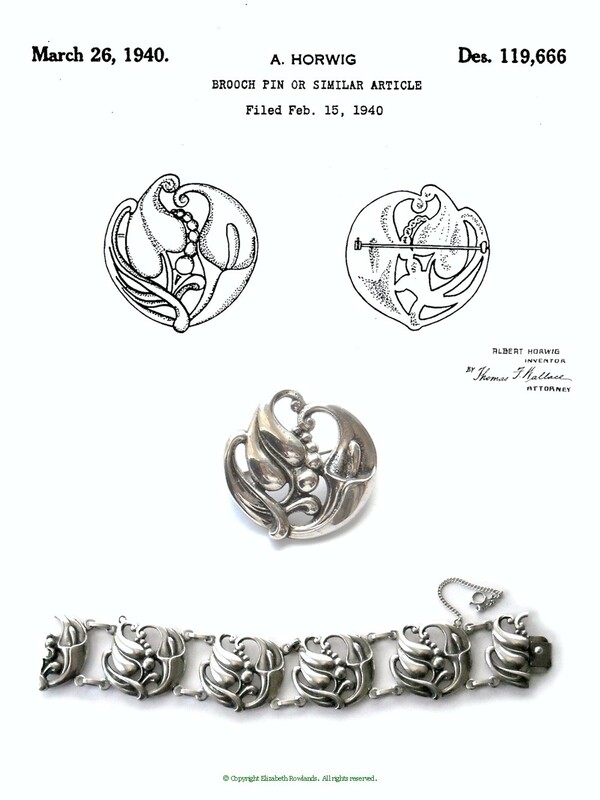 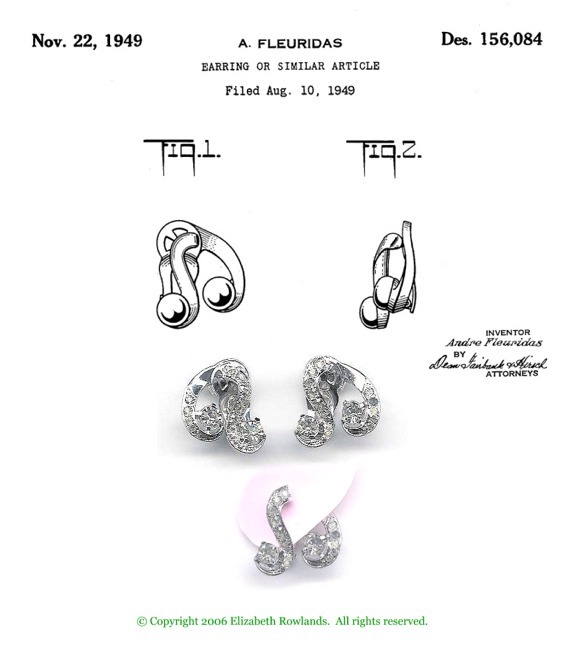 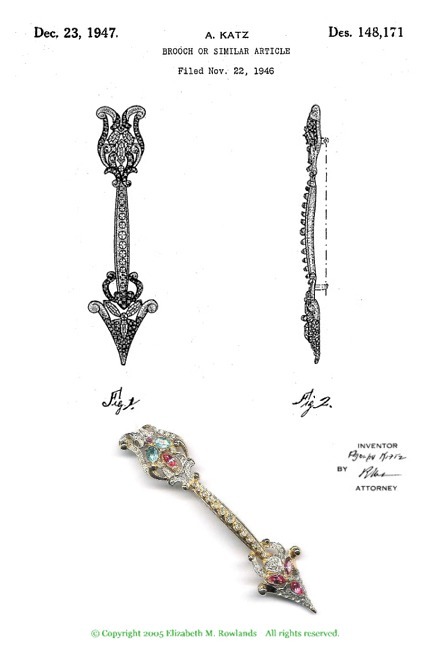 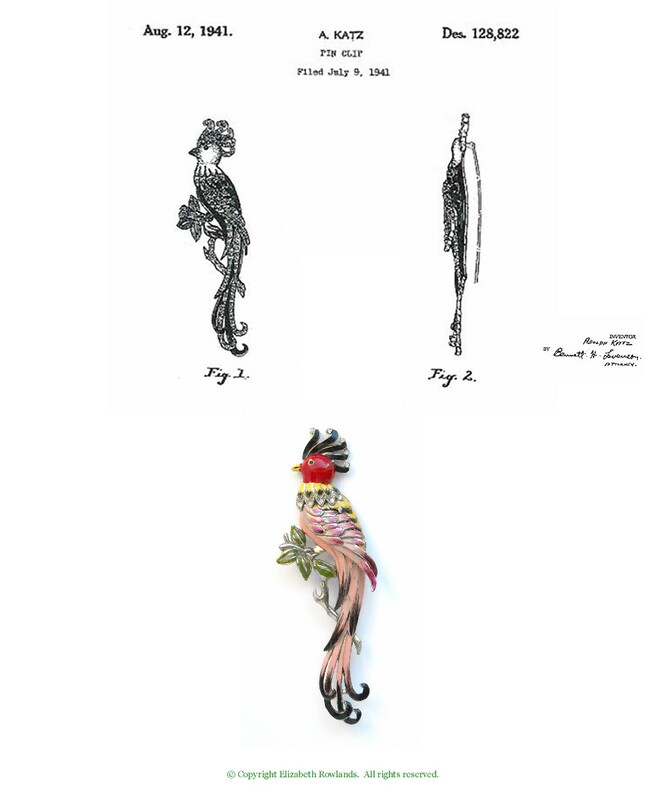 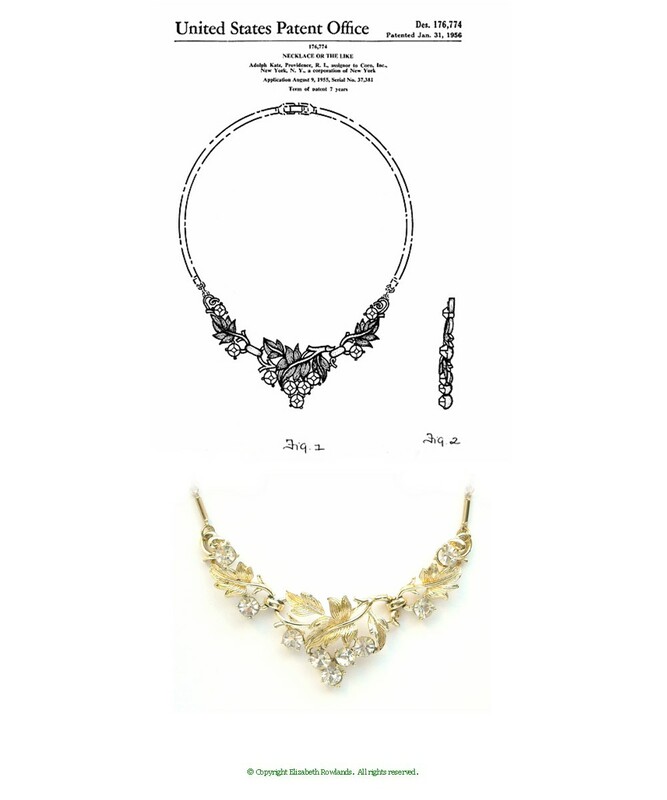 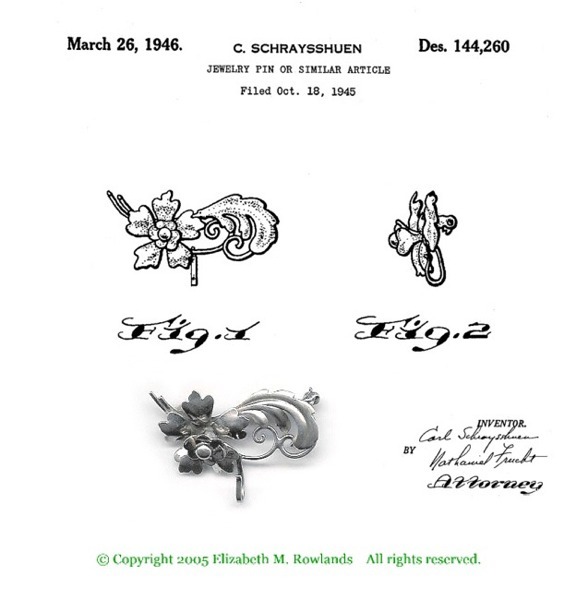 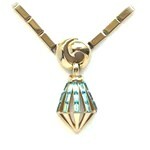 The Scarecrow has been researching jewelry patents for us, and they're presented here with images of the actual pieces. 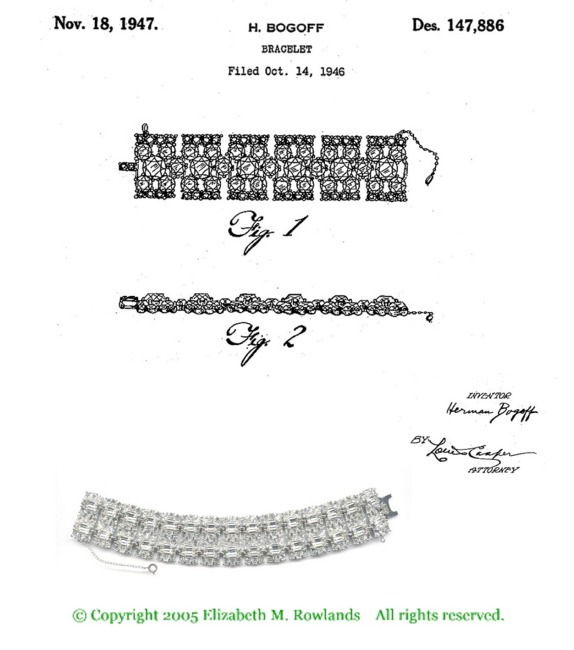 Click on the image to see the patent.